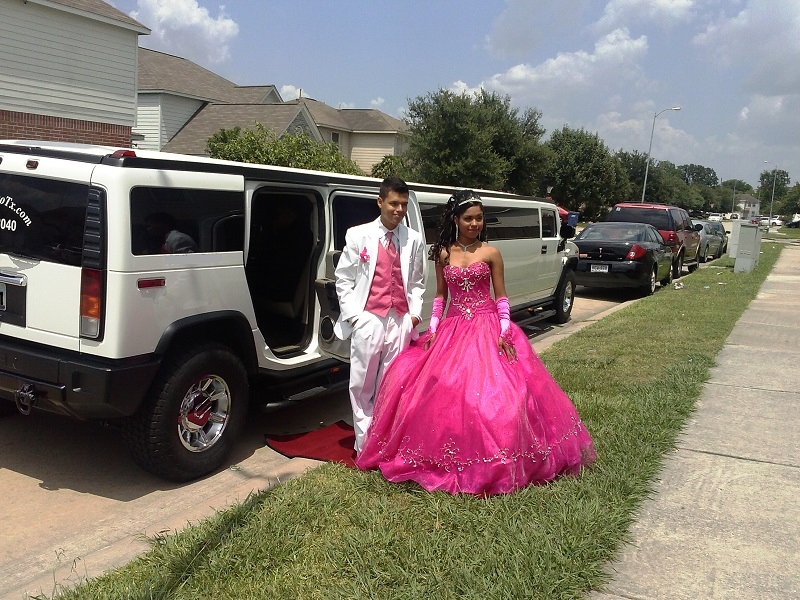 Houston Limo Services for, PROM, QUINCEANERA, WEDDING, BACHELOR, BACHELORETTE parties, Night Out, Birthdays, SWEET 16 and 21st BIRTH DAY. 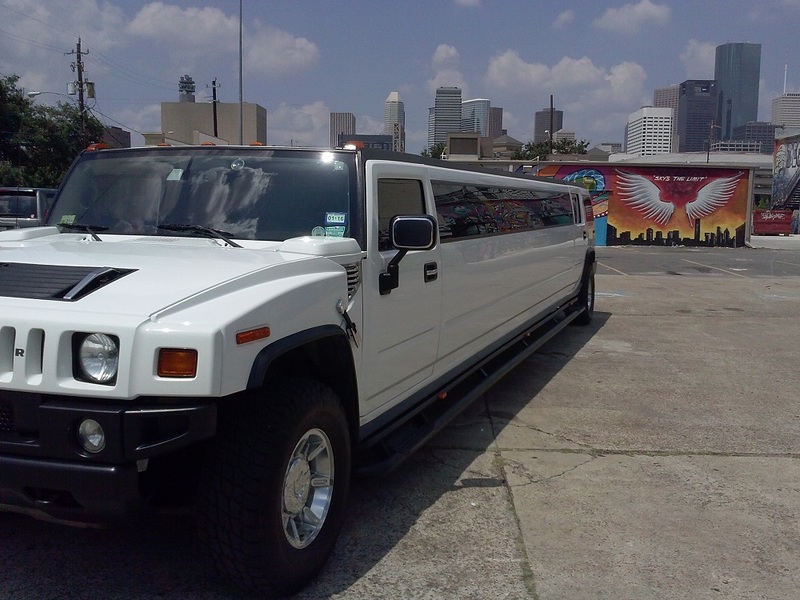 Offering: Mercedes, Party Bus , Porsche, Mercedes Jet Door , Hummer H2, Mercedes Merlot , Hummer H3, Mini Party Bus, and “Pink Dream Limo” , “Pink Orchid Limo”. 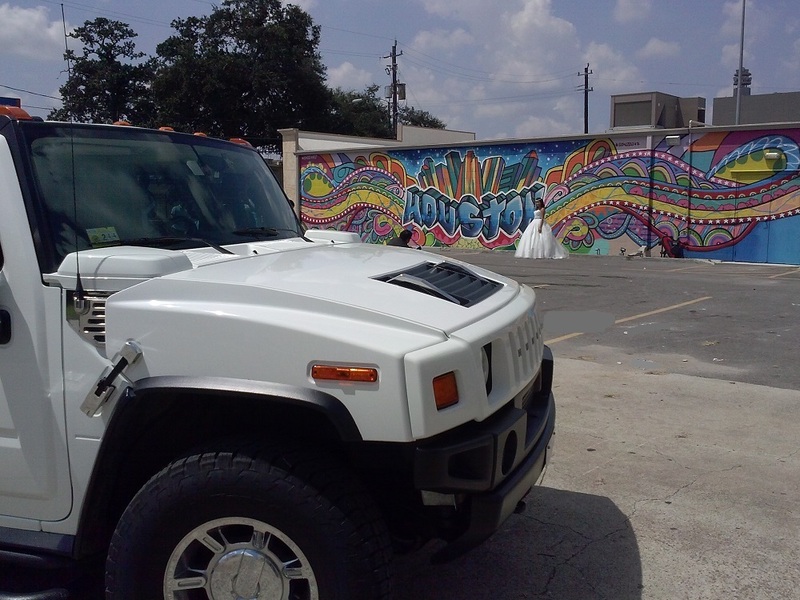 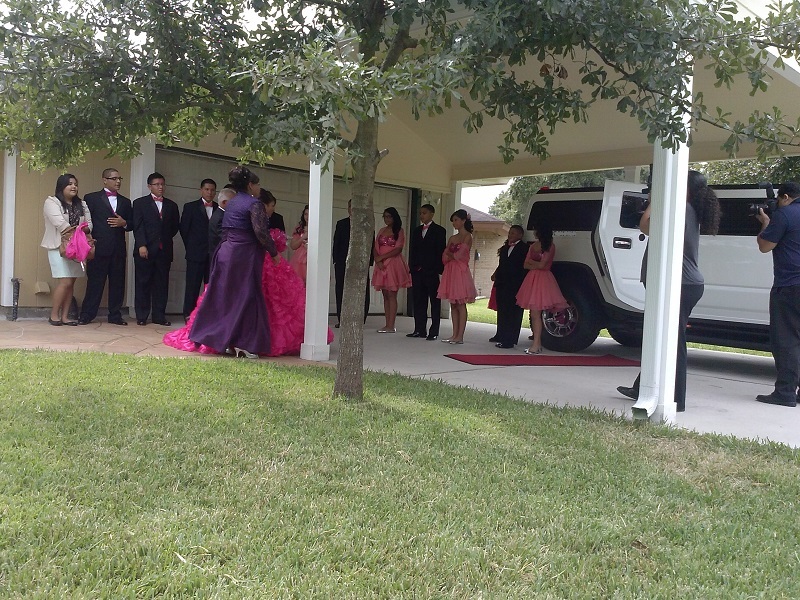 Hummer Limo drove all the way to Texas City for us. 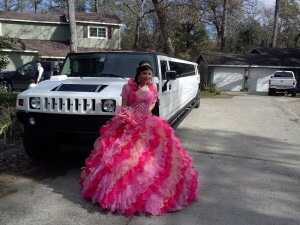 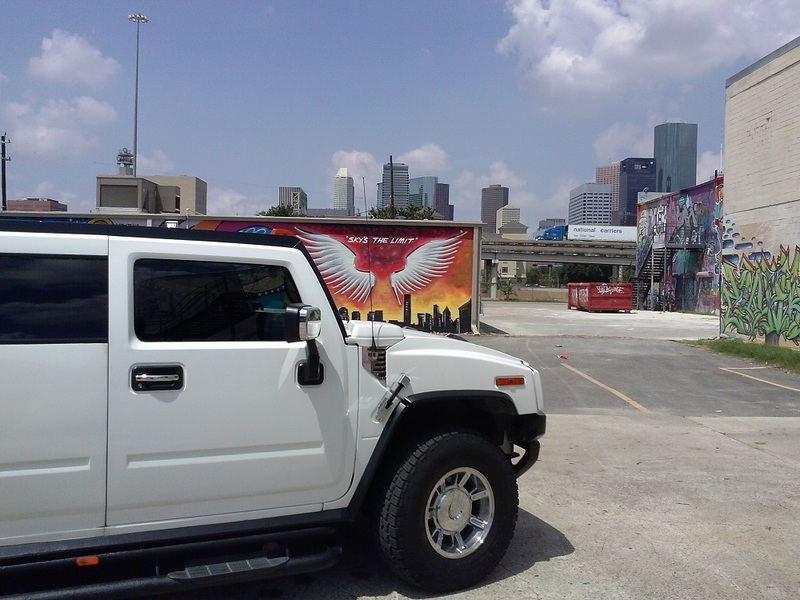 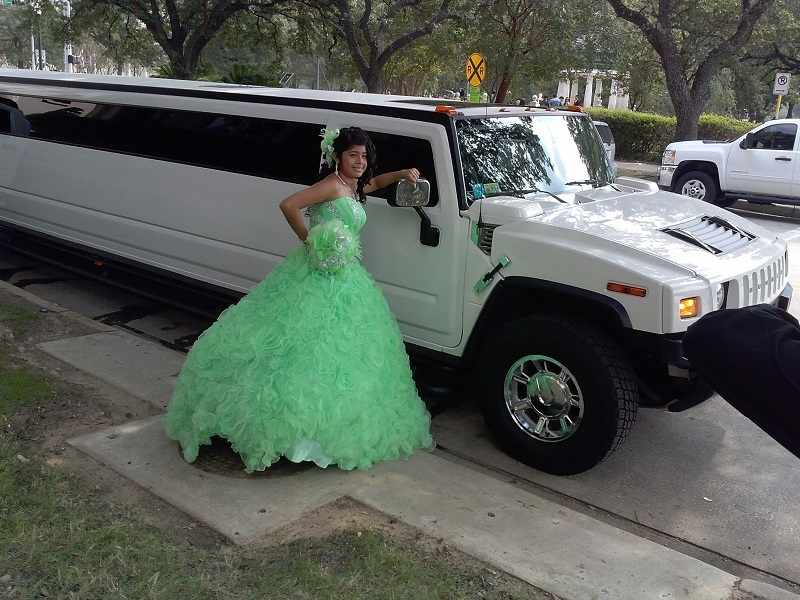 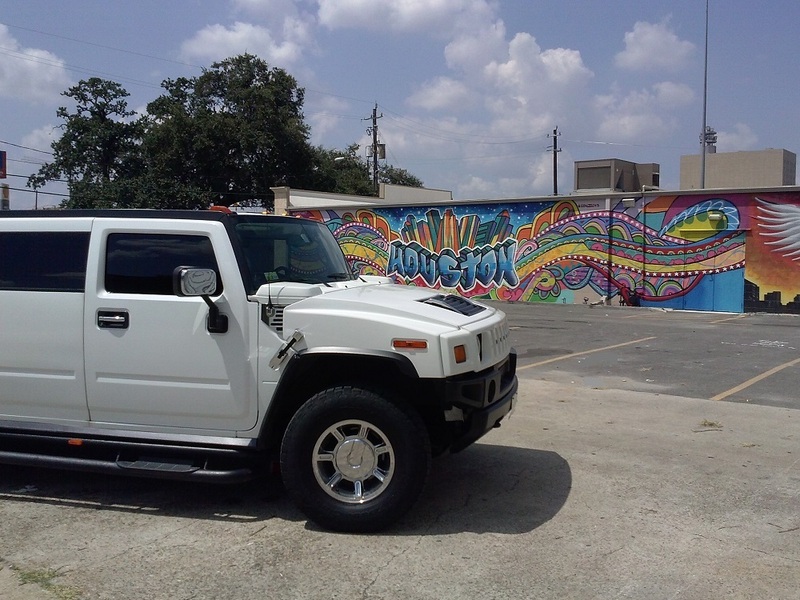 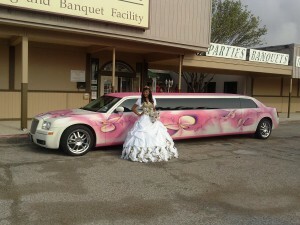 With www.bestlimotx.com you can have a most colorful and luxuries limousines in Houston for your Quinceanera party. 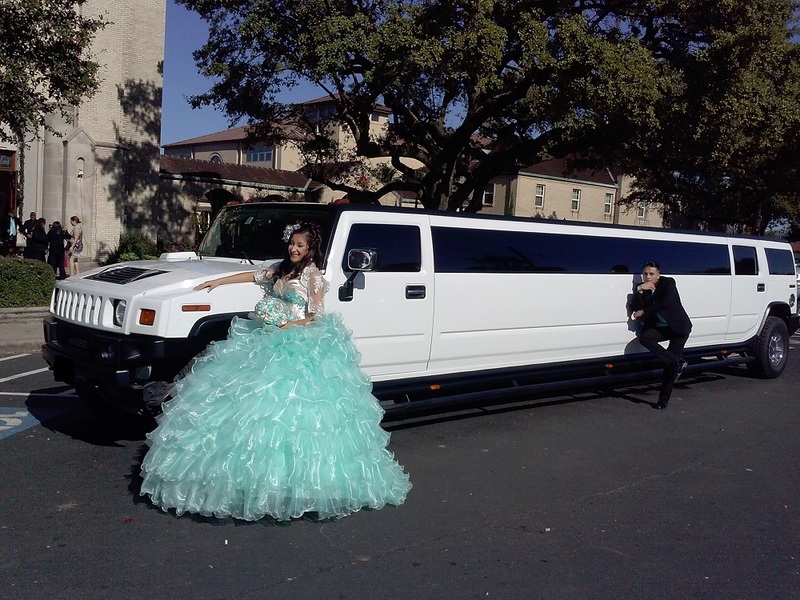 If you think about your renting Limousine for Quinceanera you will not miss out with your stretched limos rented from Best Limo TX. 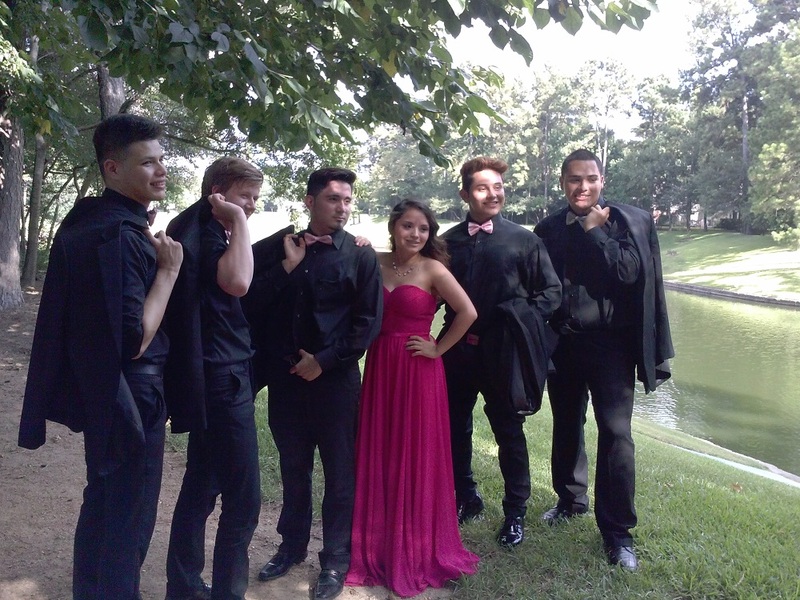 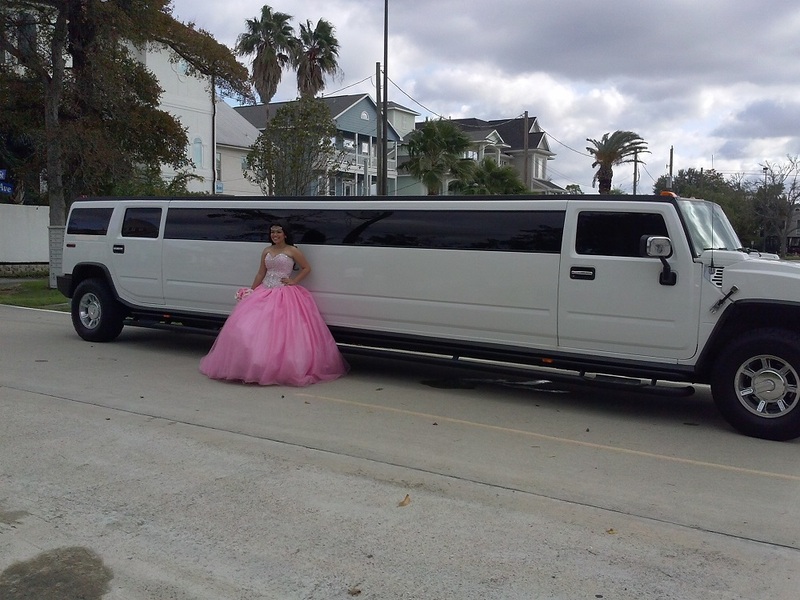 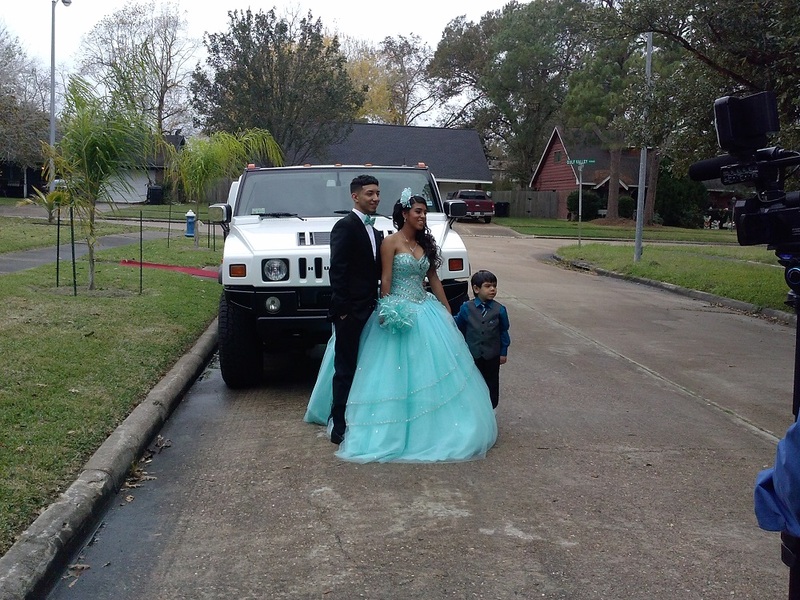 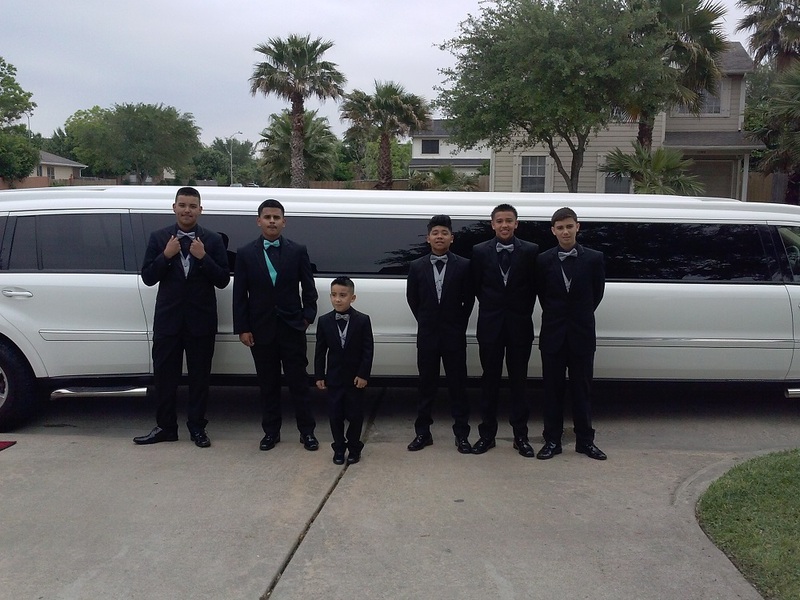 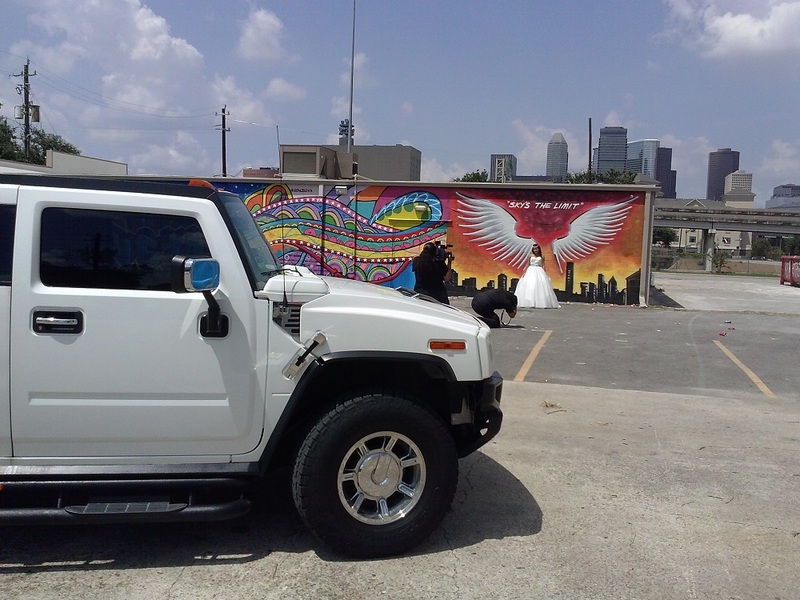 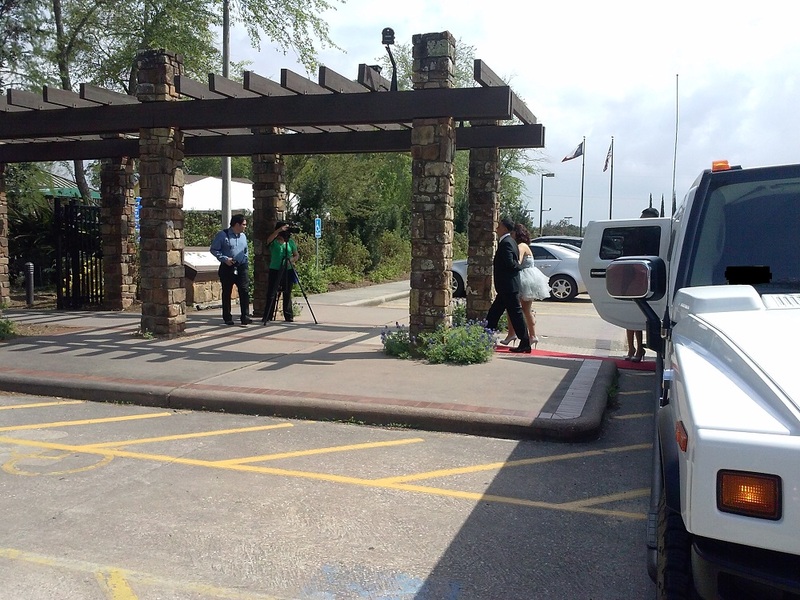 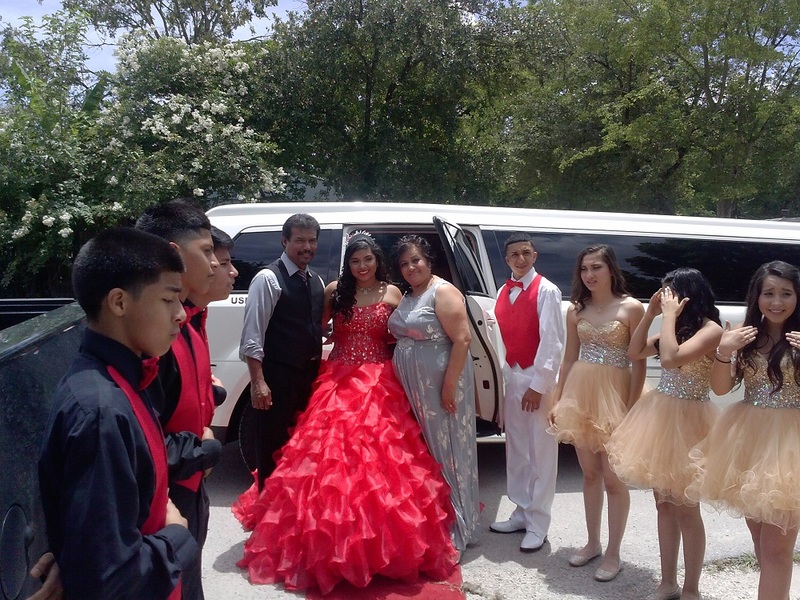 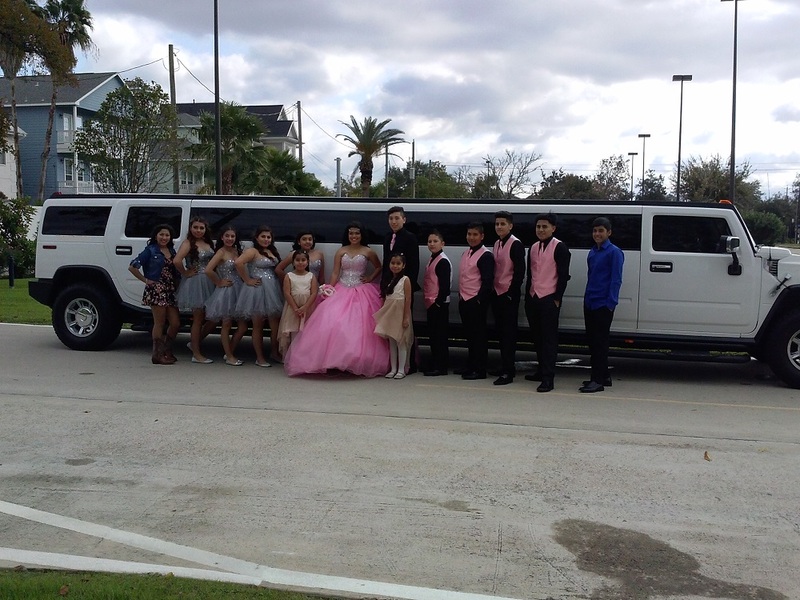 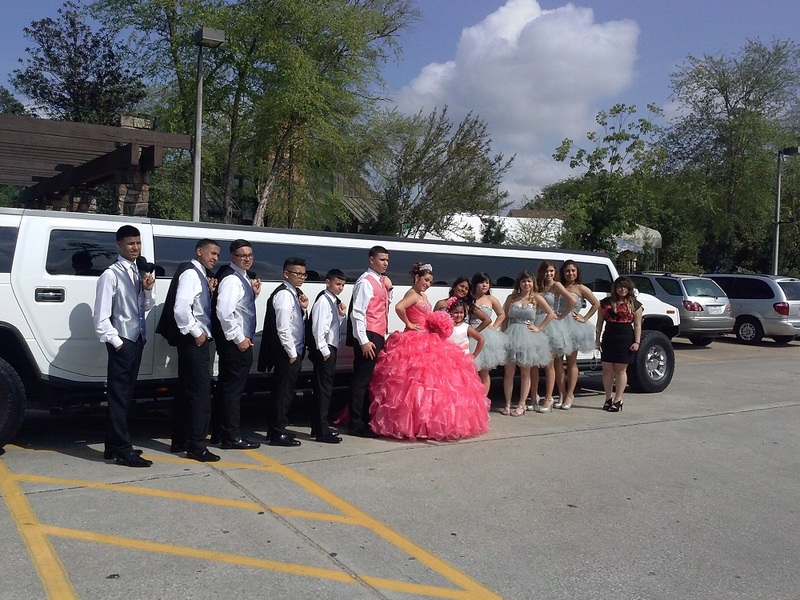 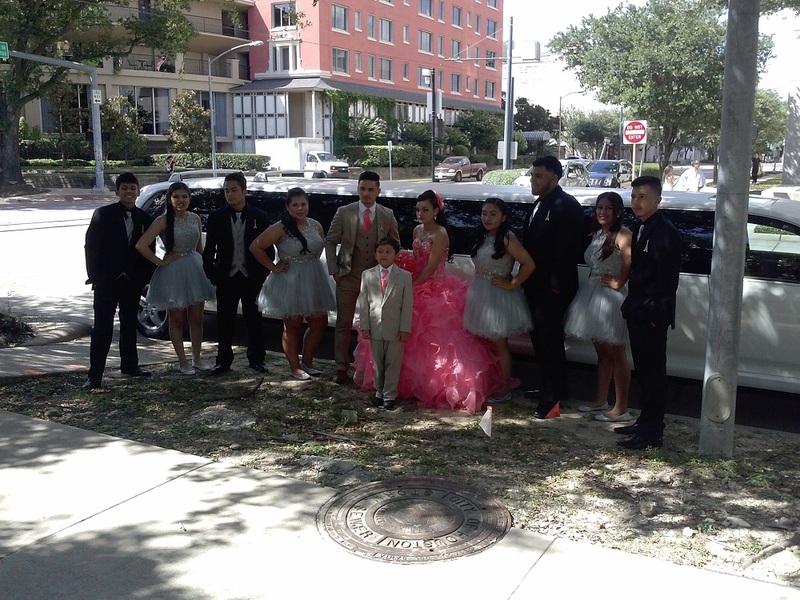 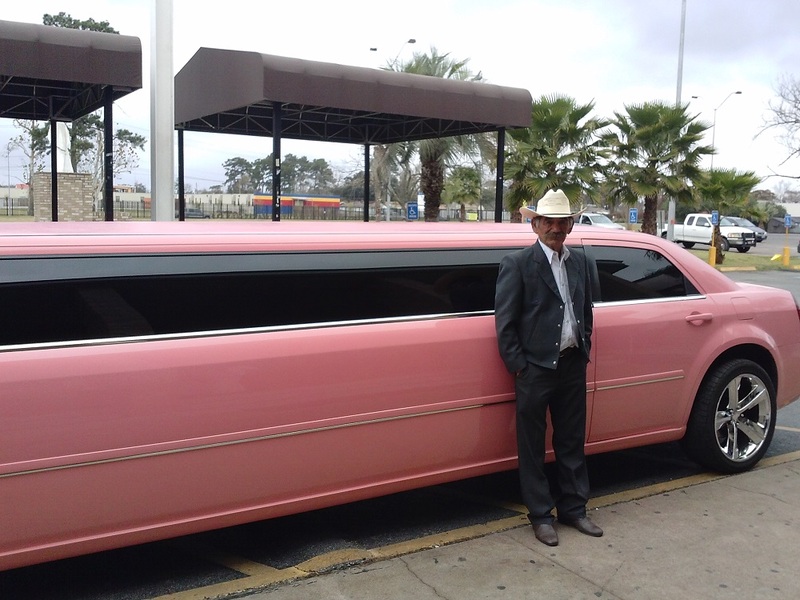 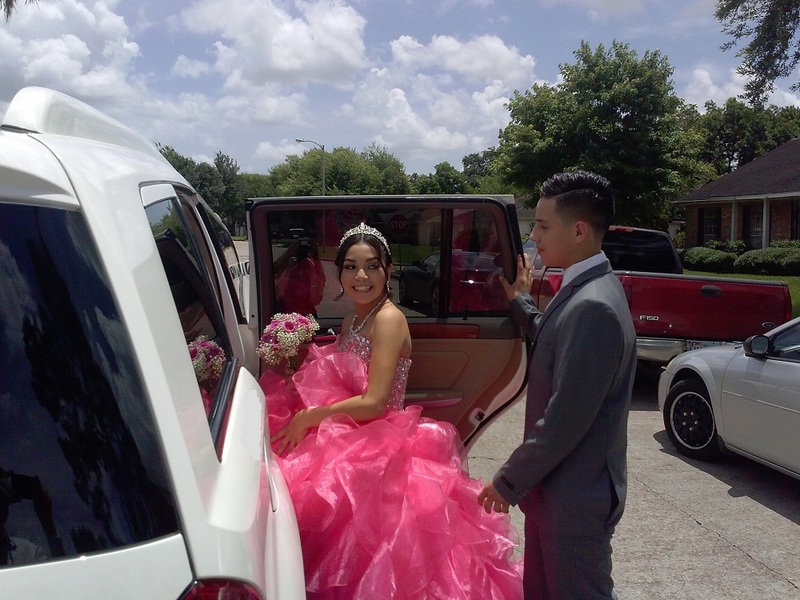 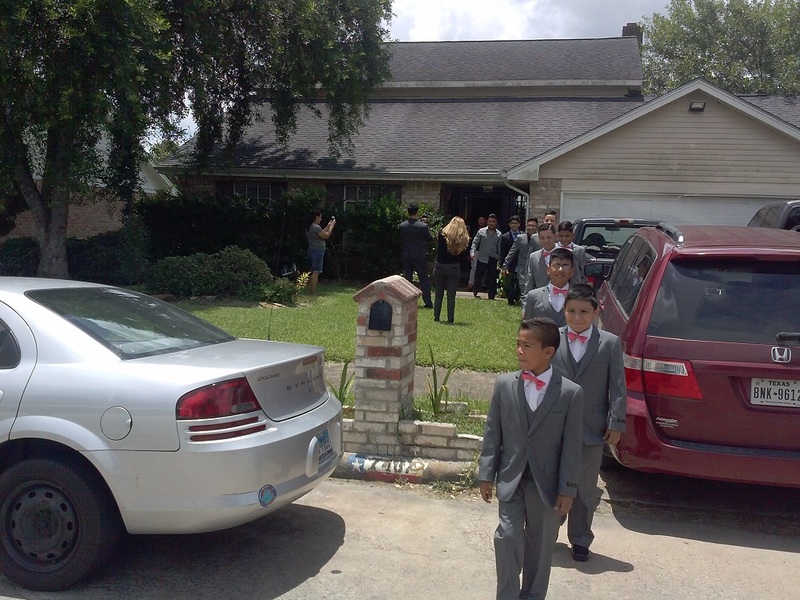 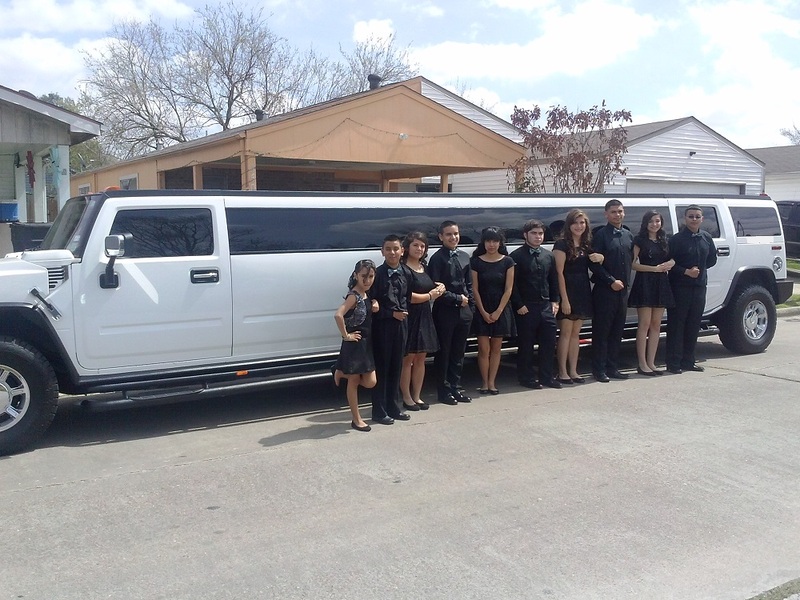 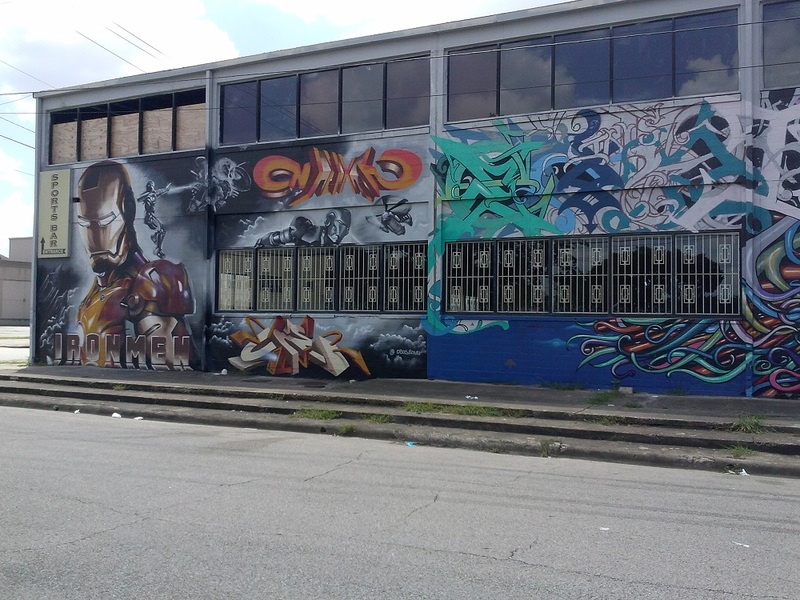 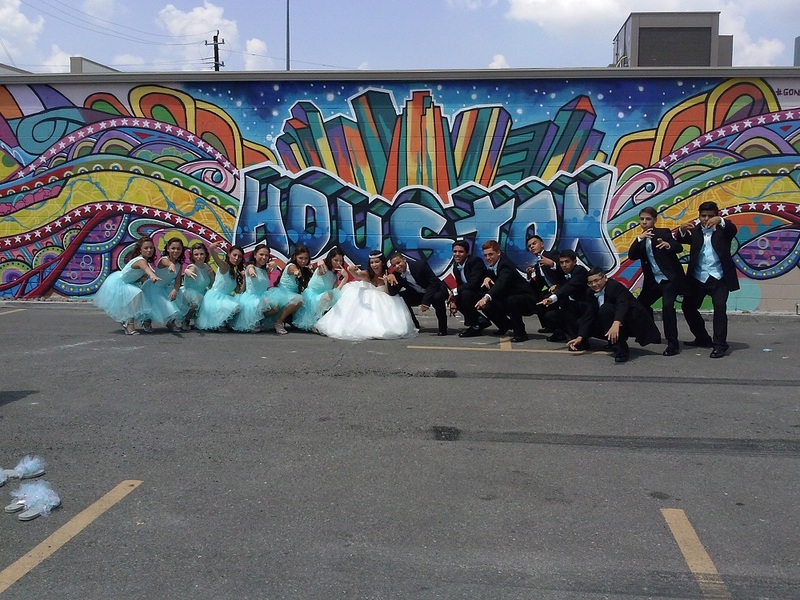 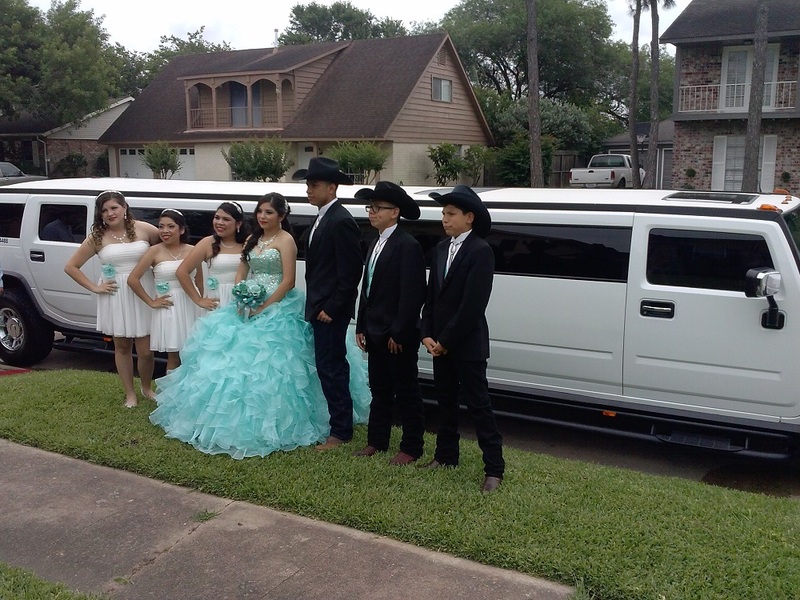 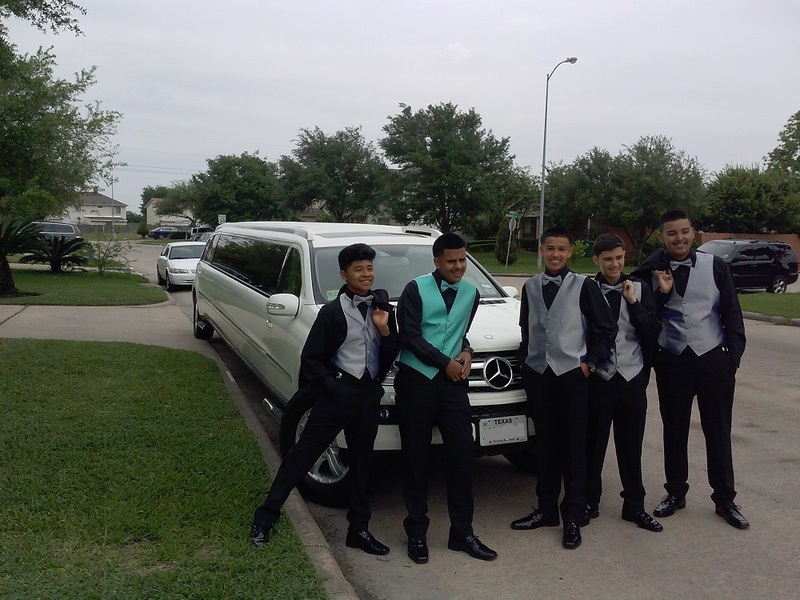 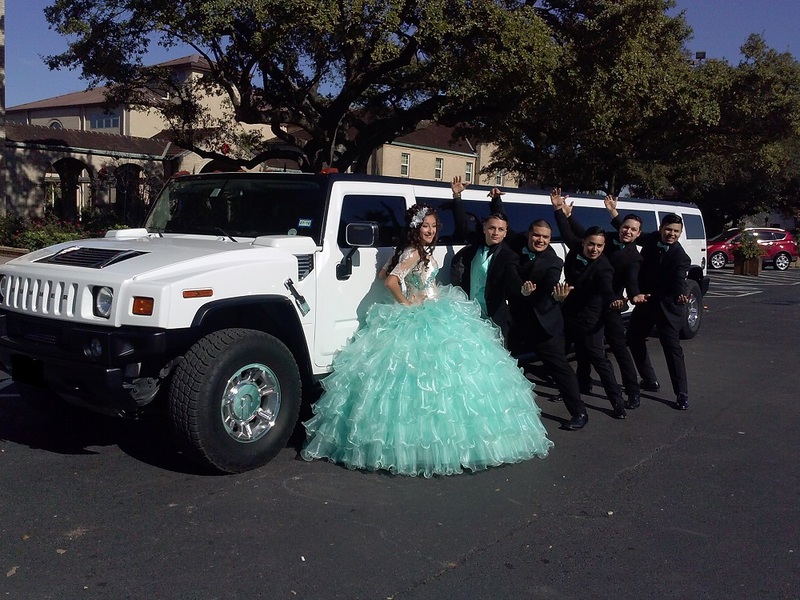 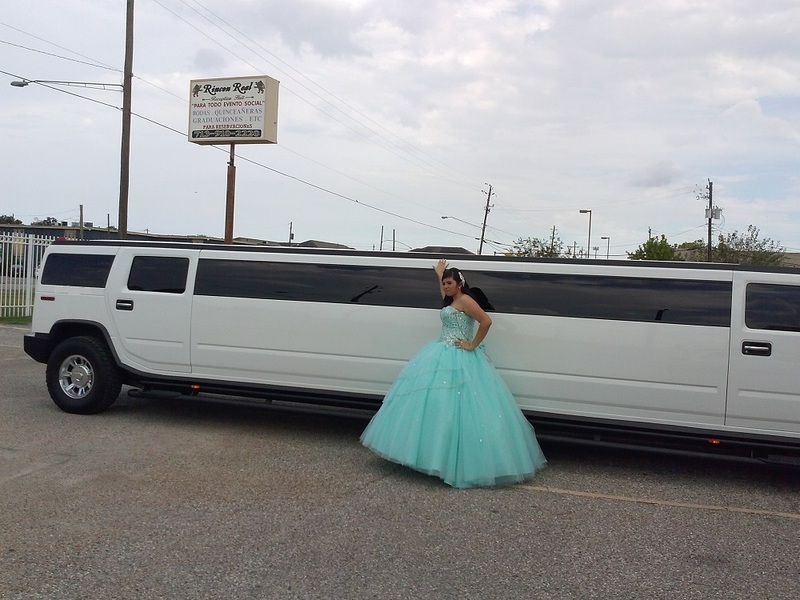 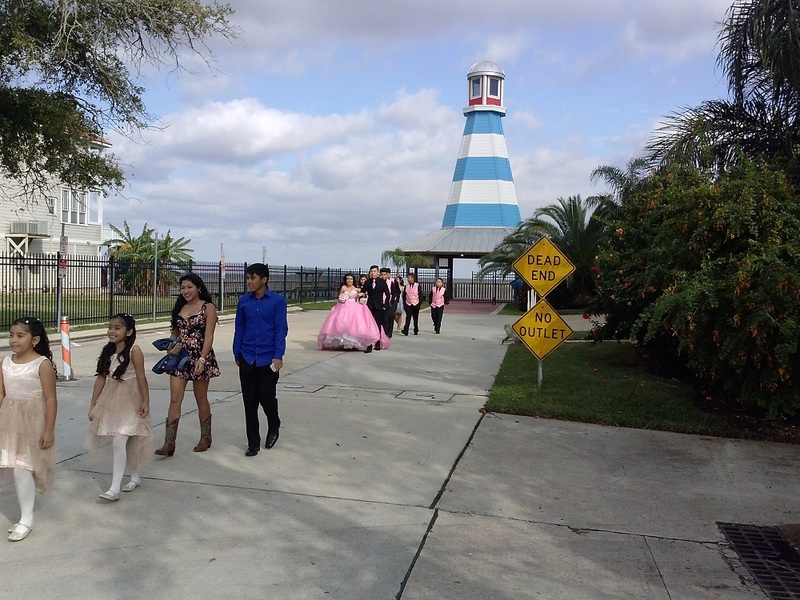 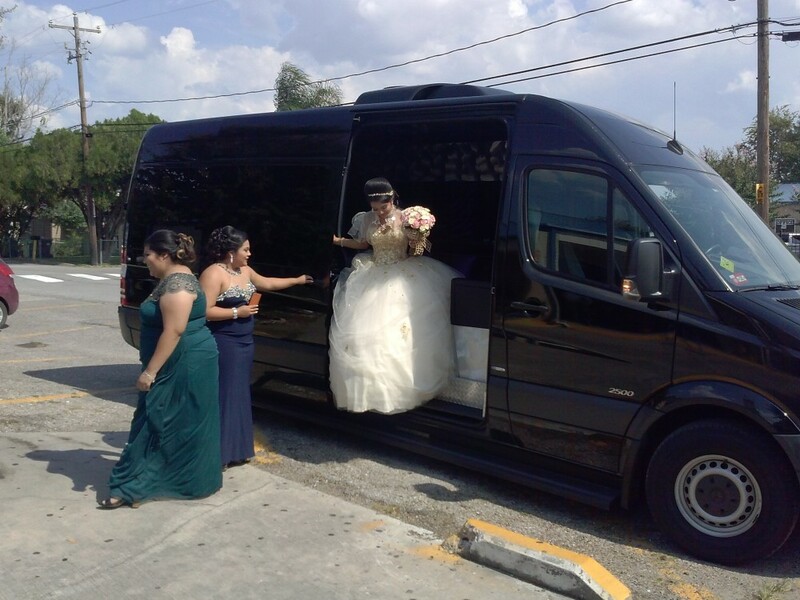 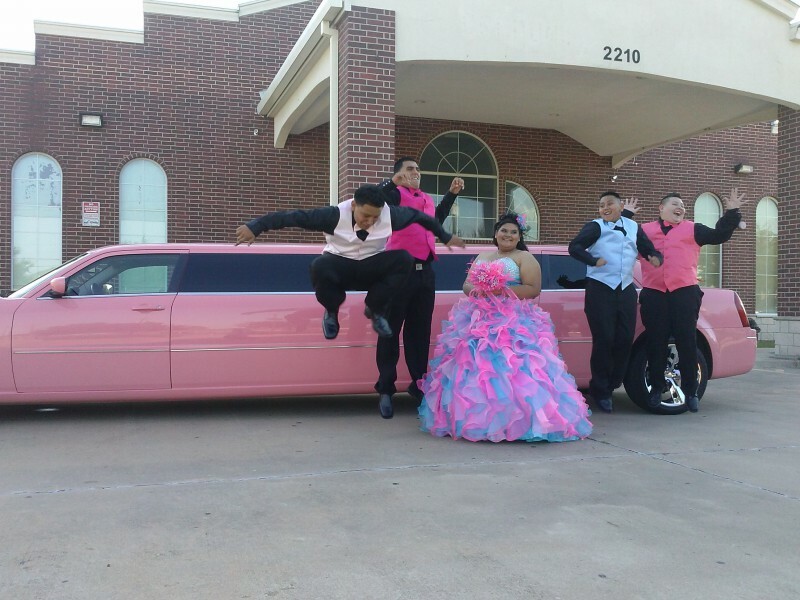 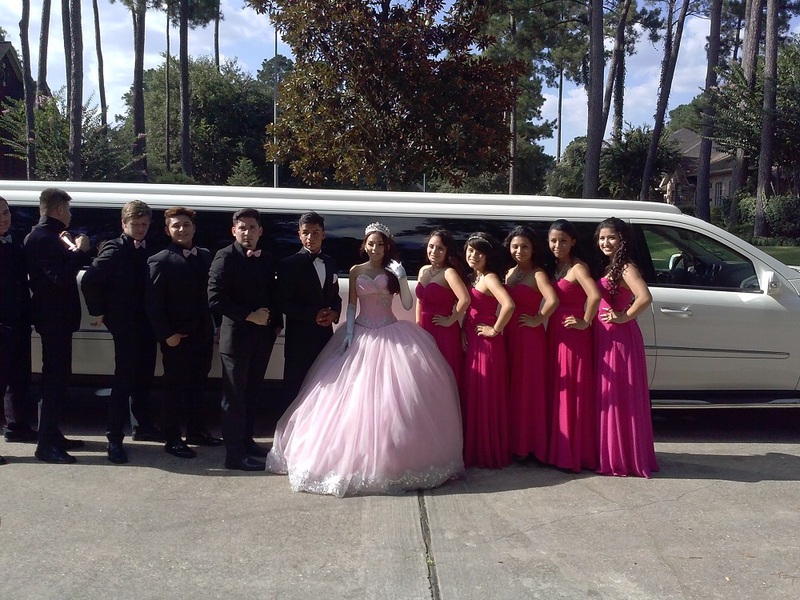 Your limo should be an addition to your colorful party, you deserve to have the best limo in Houston for the once in a life time Quinceanera party. 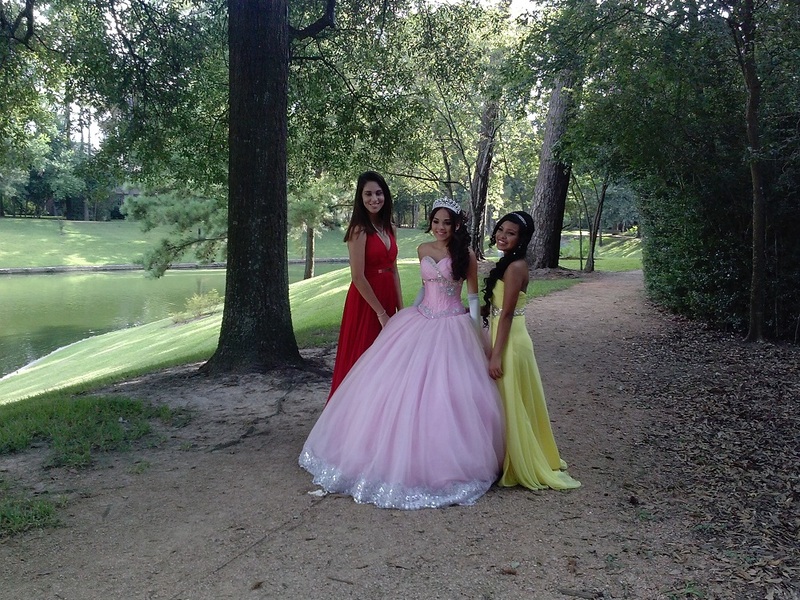 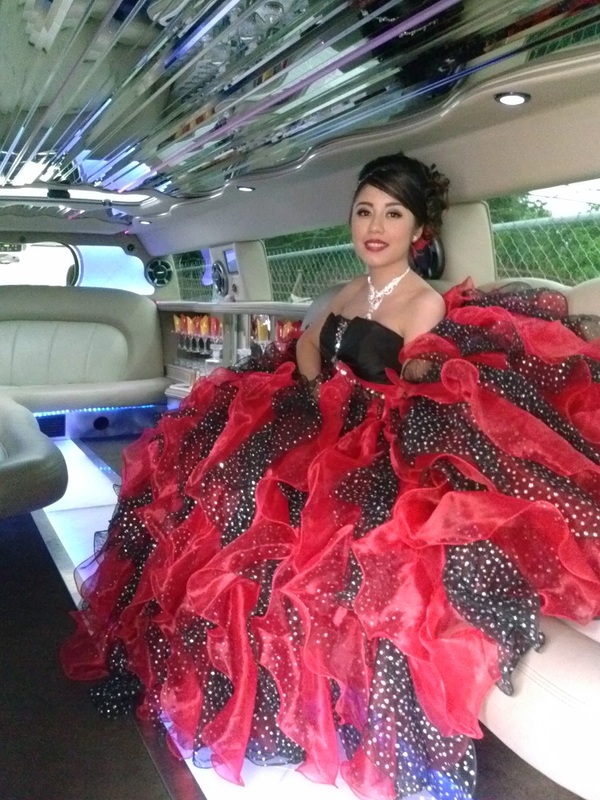 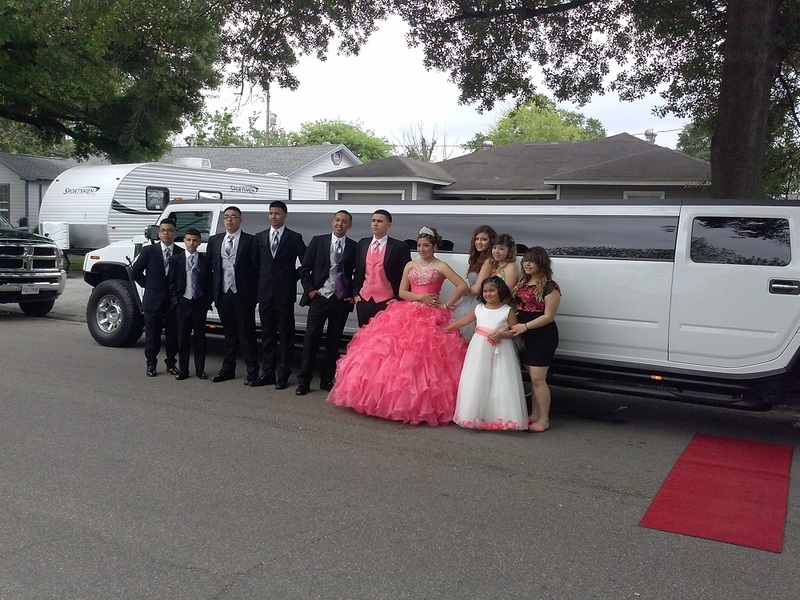 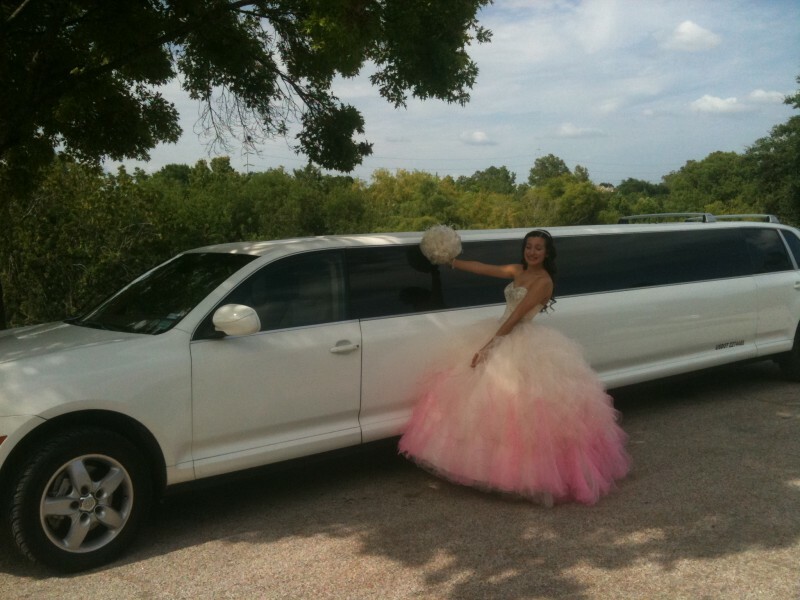 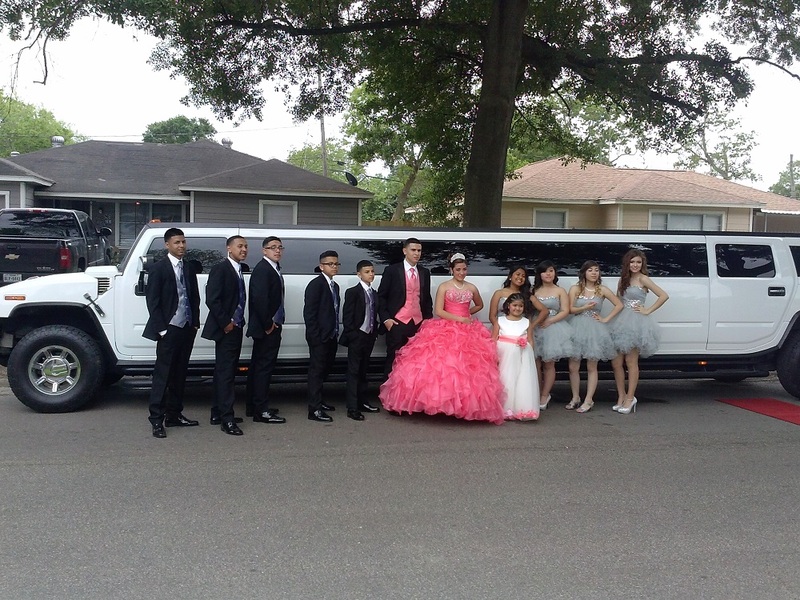 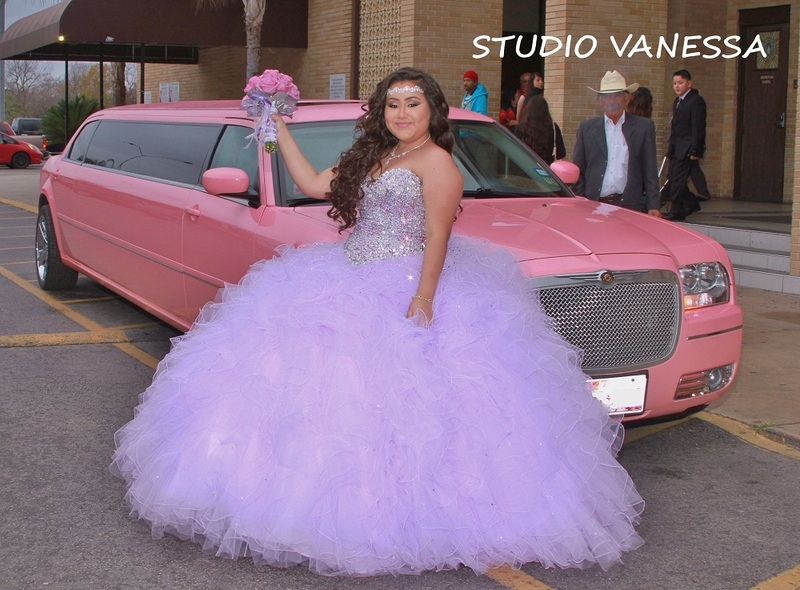 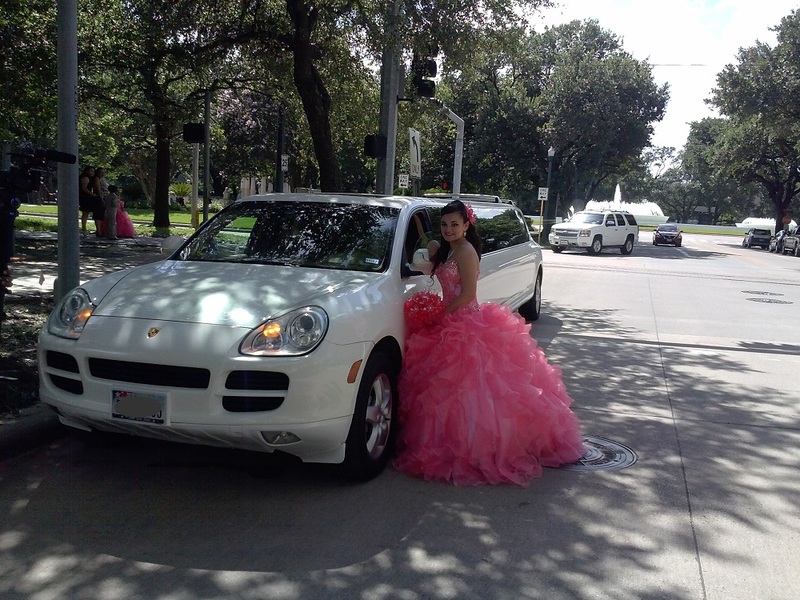 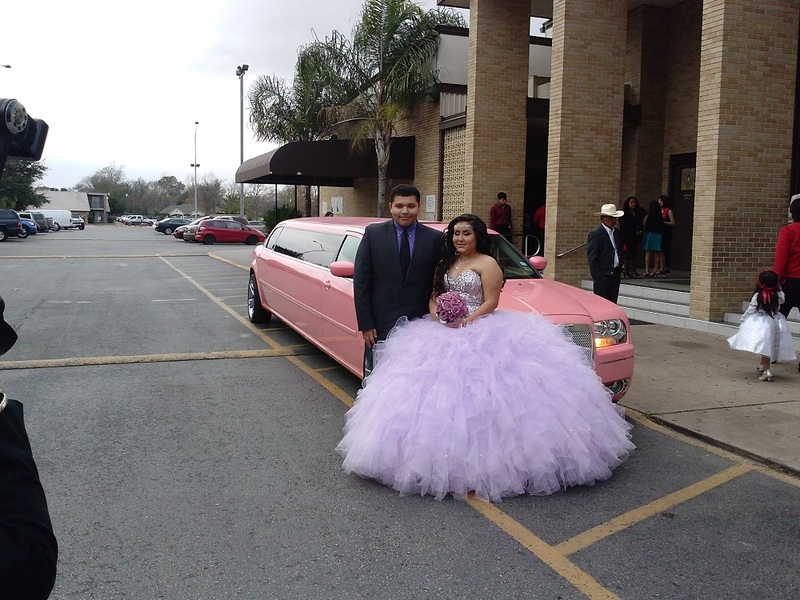 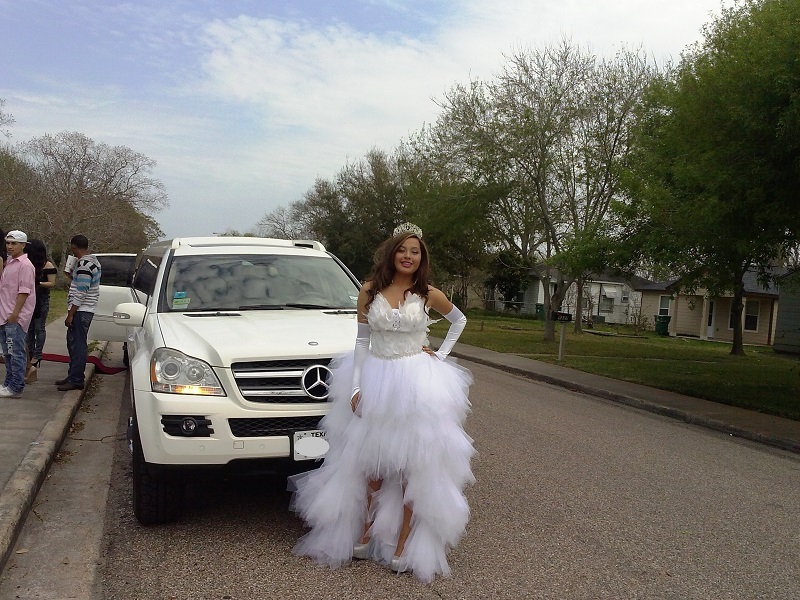 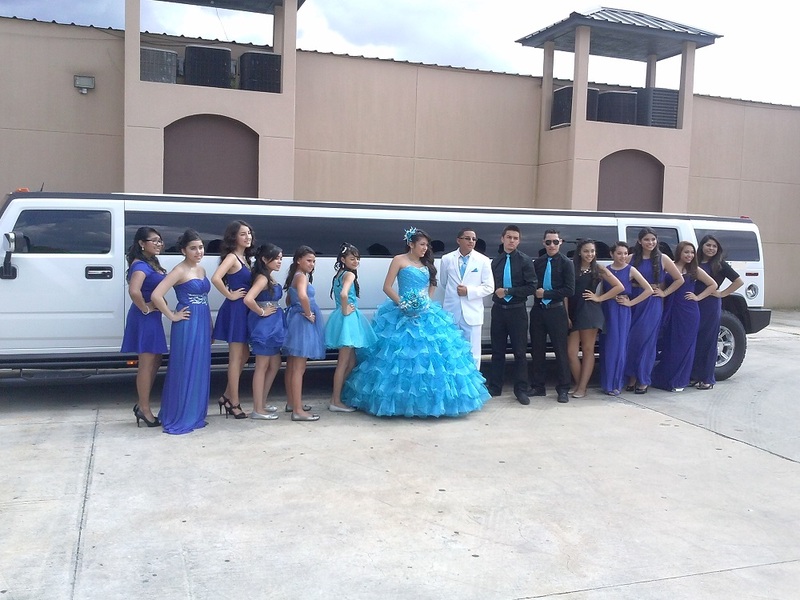 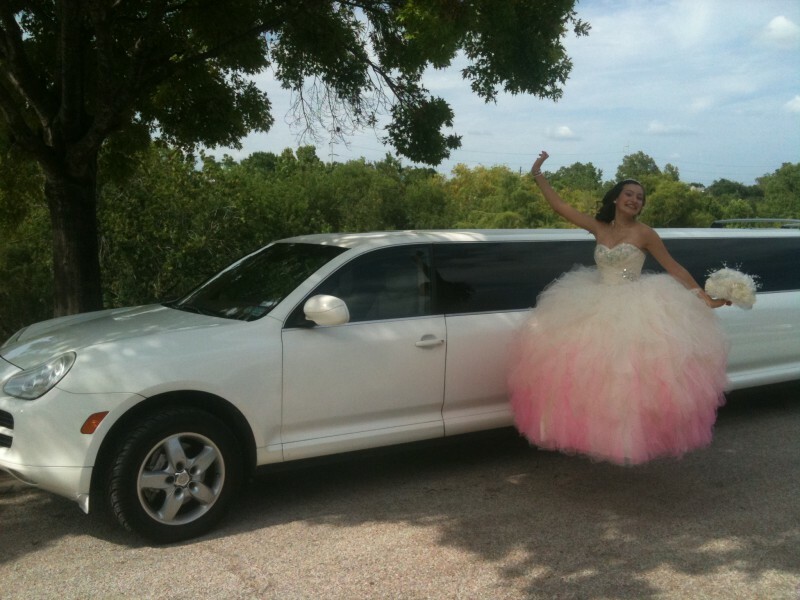 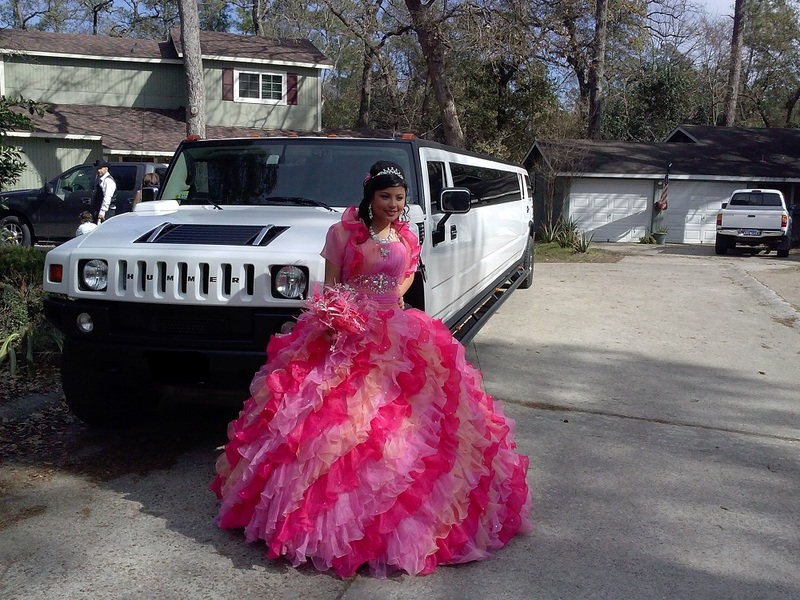 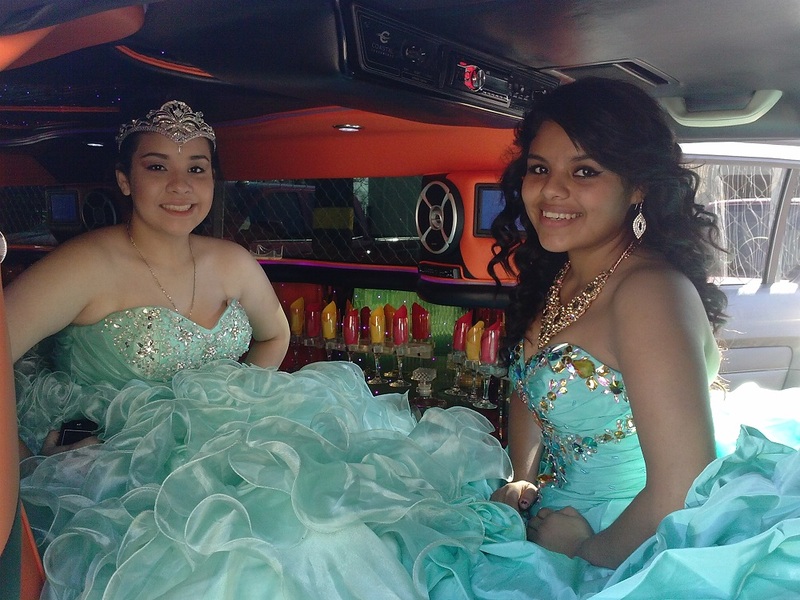 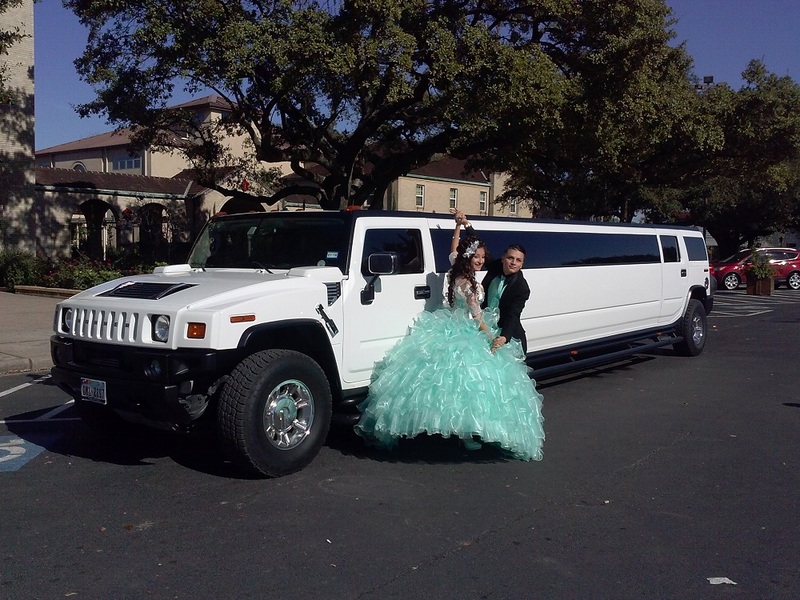 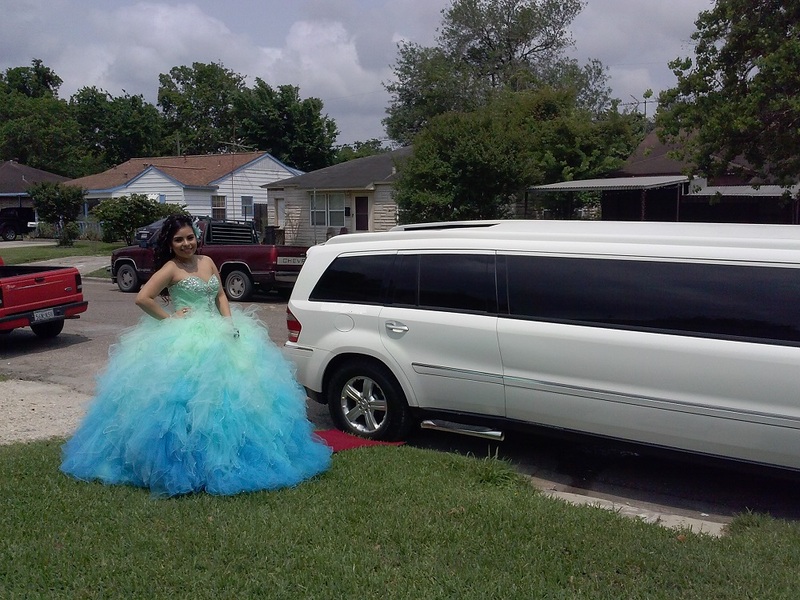 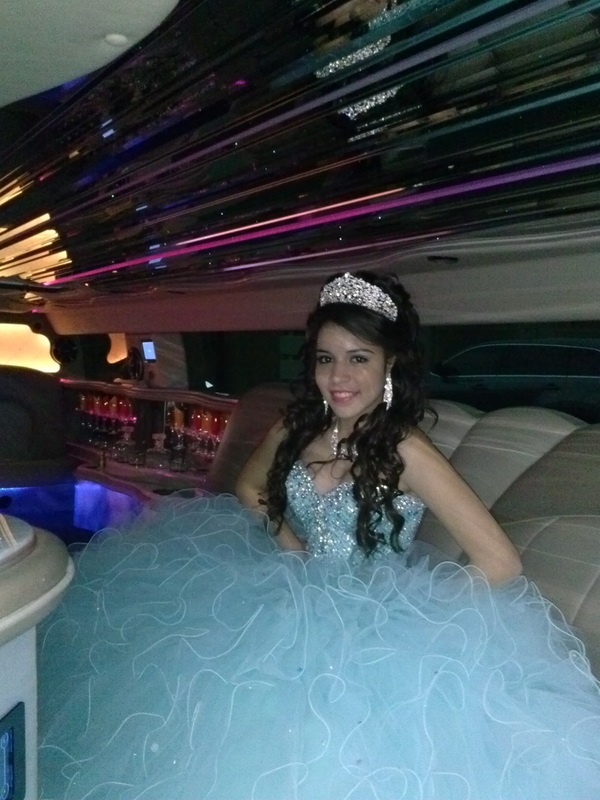 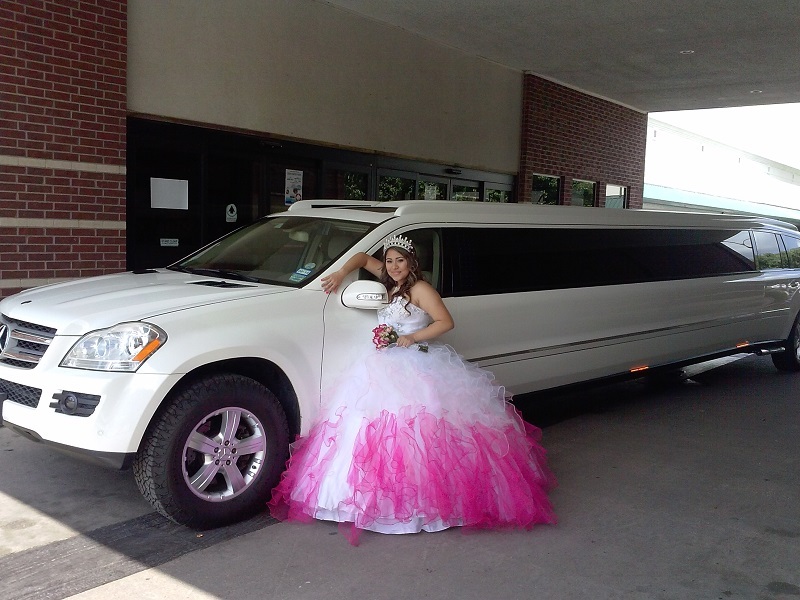 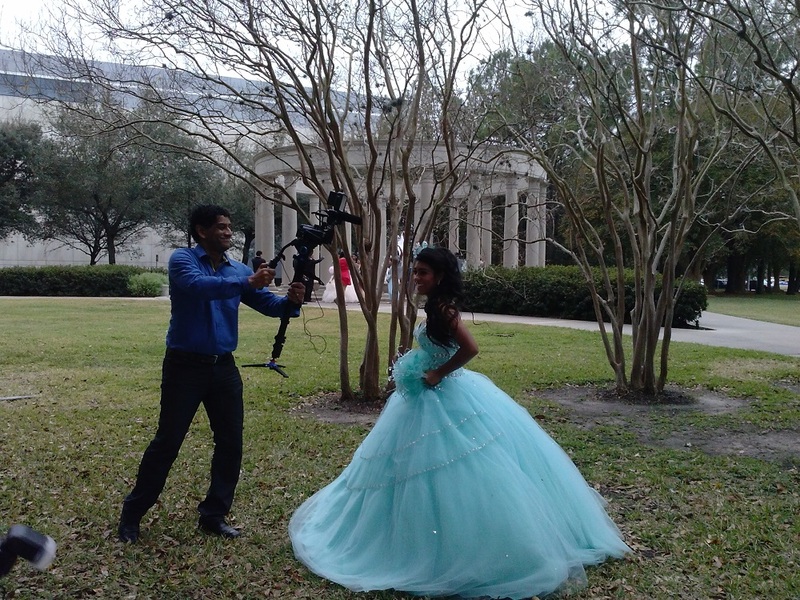 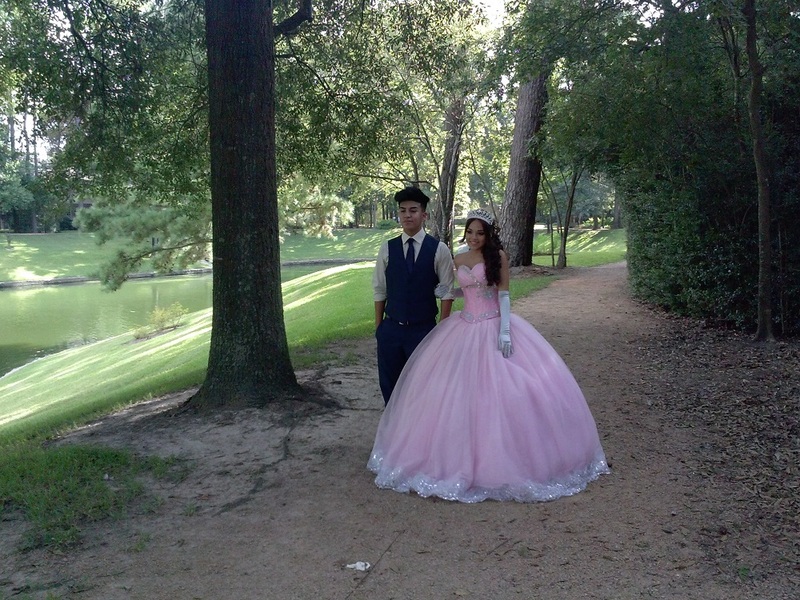 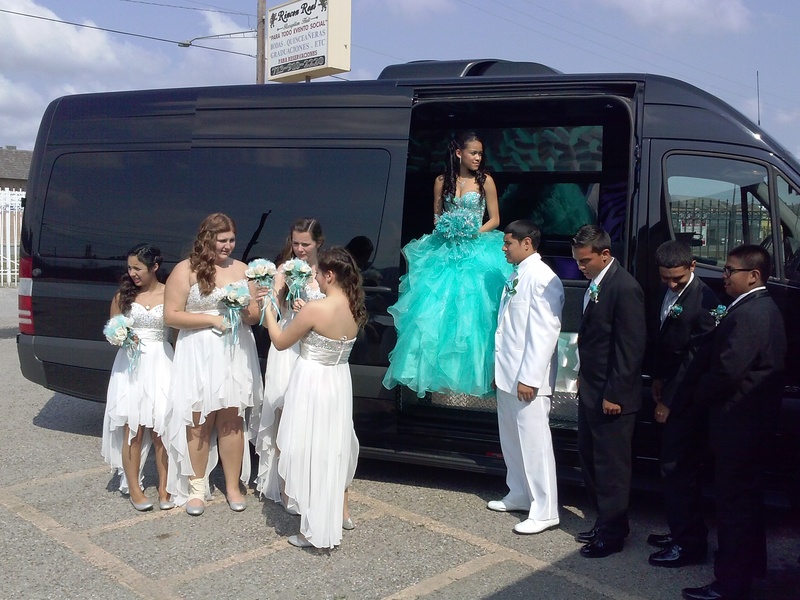 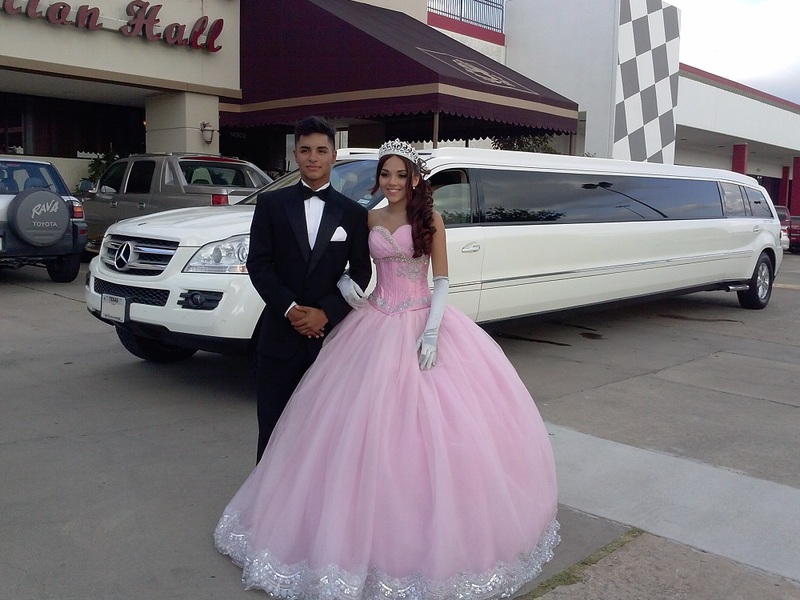 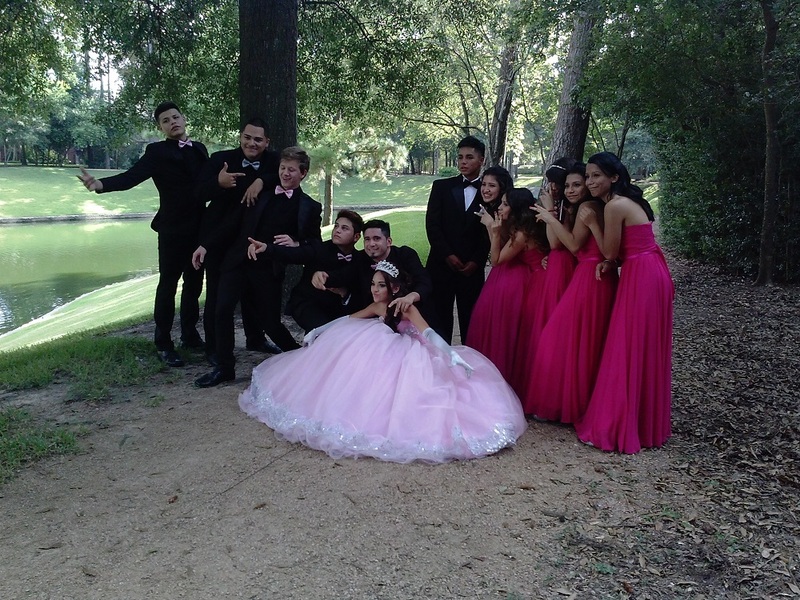 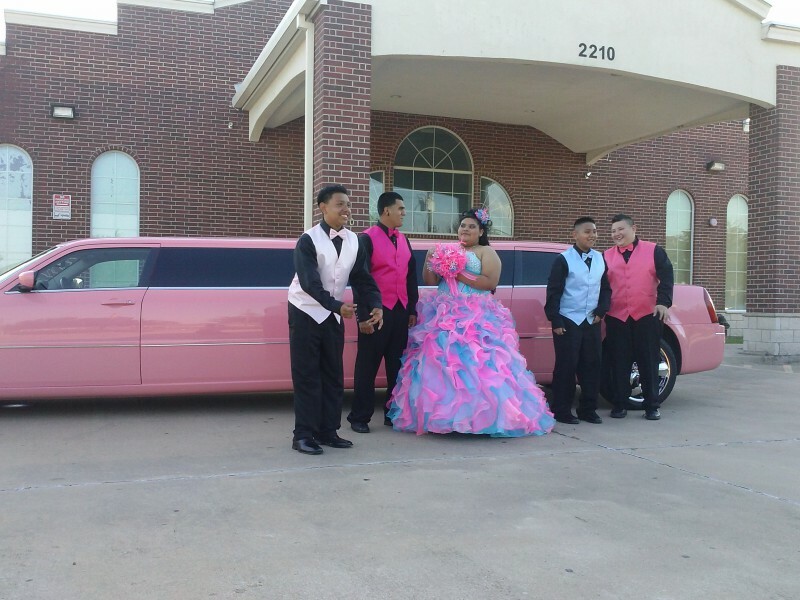 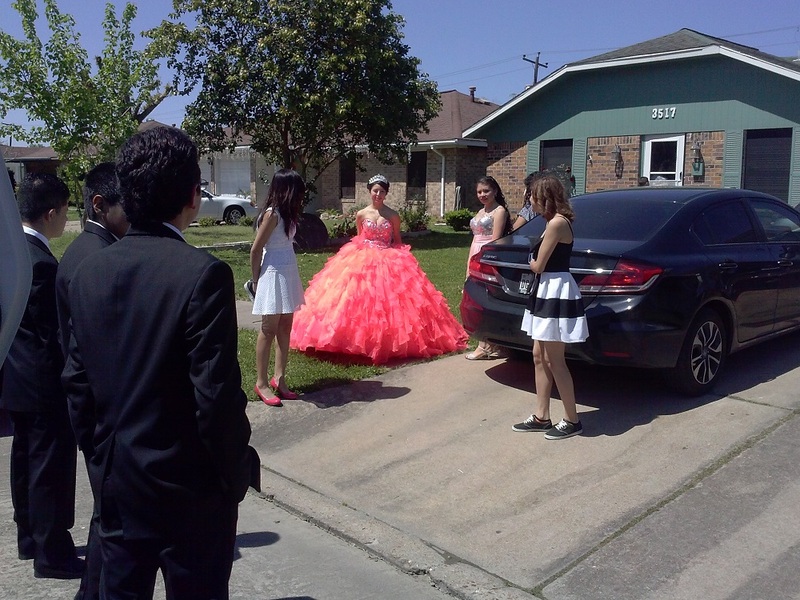 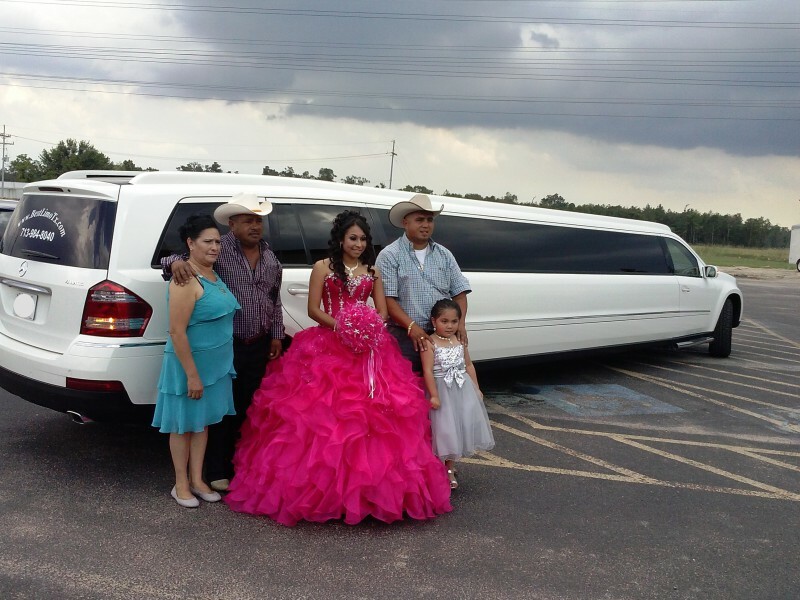 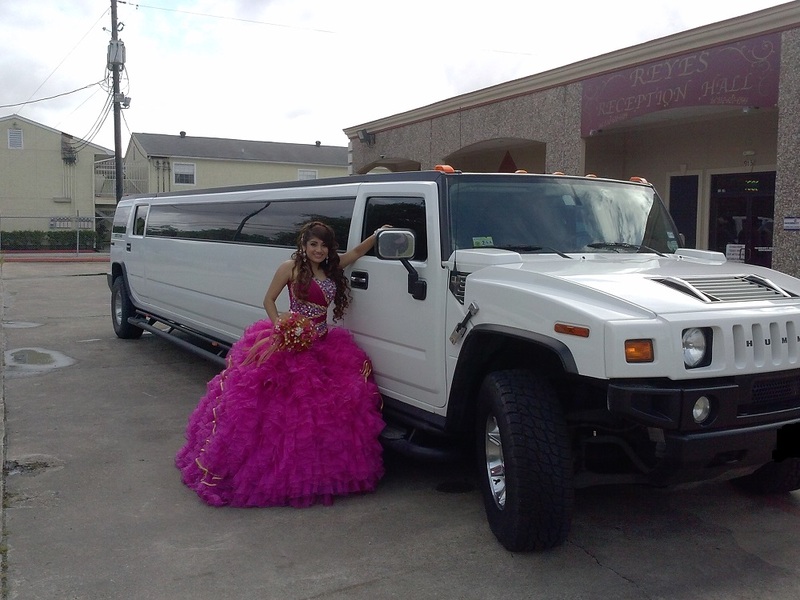 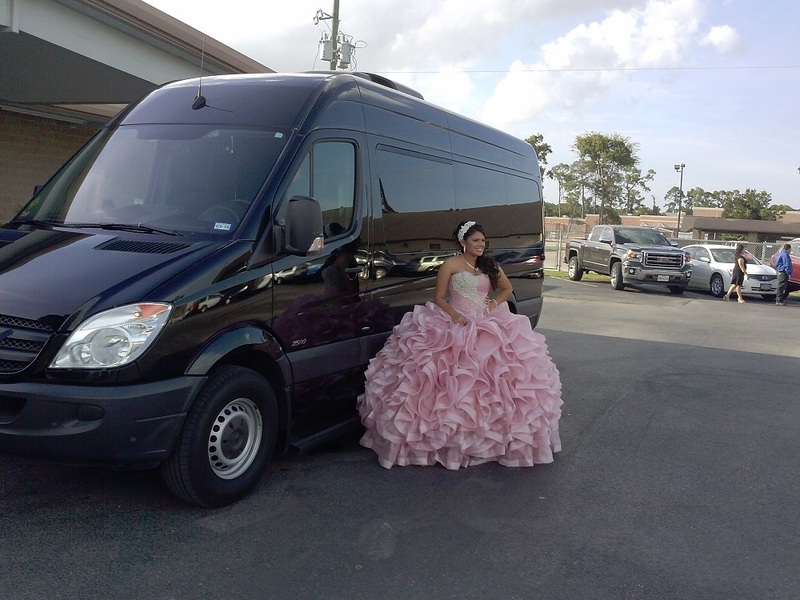 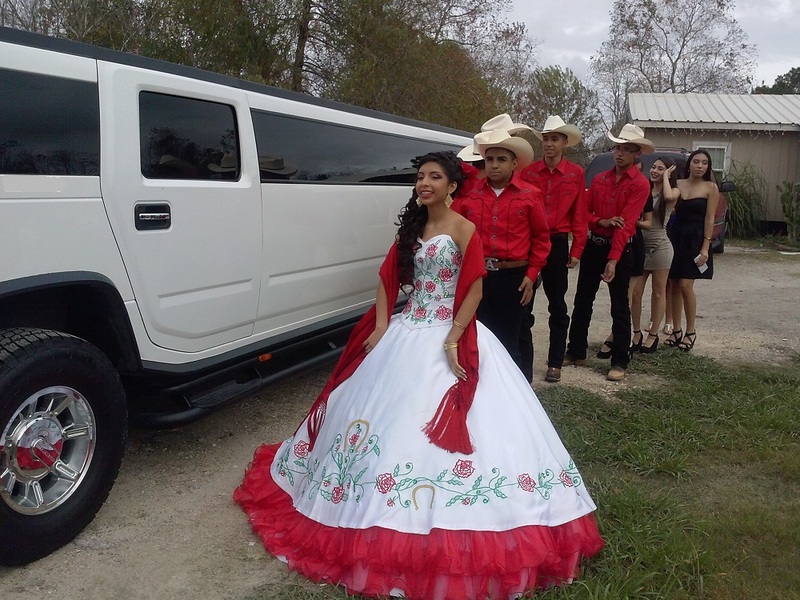 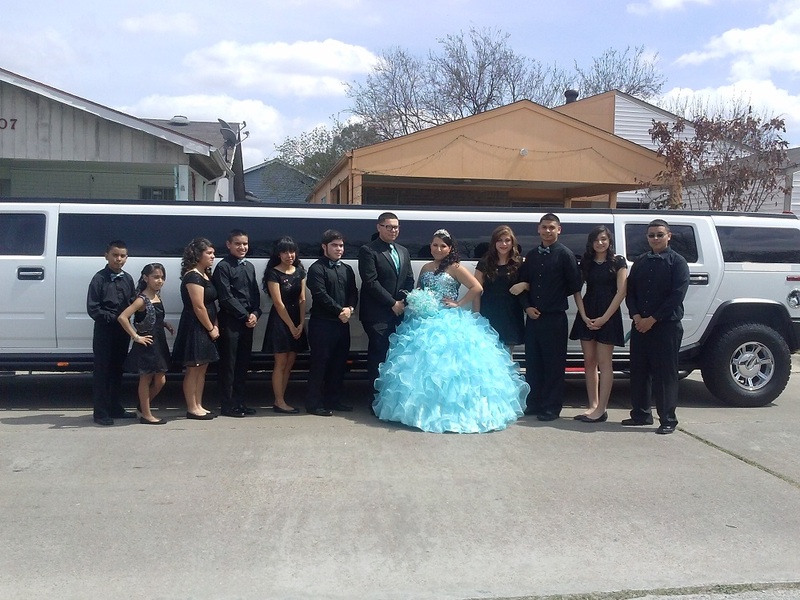 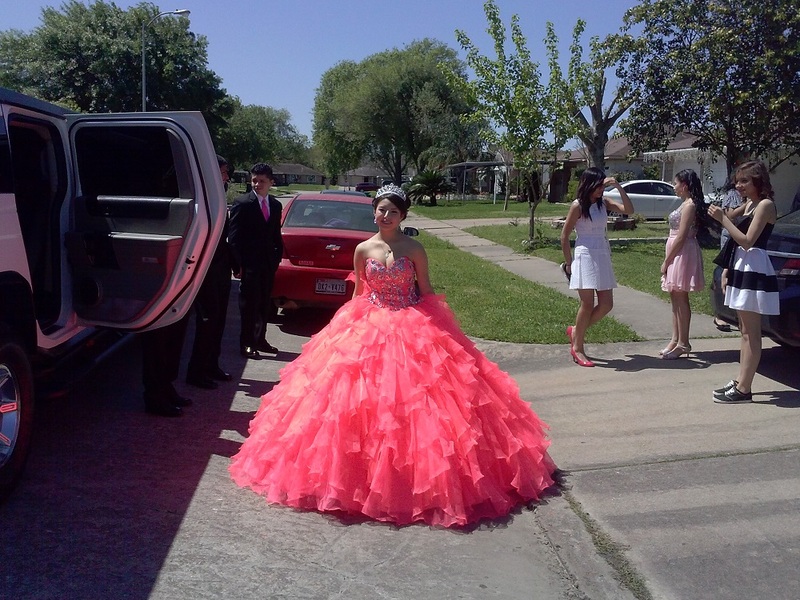 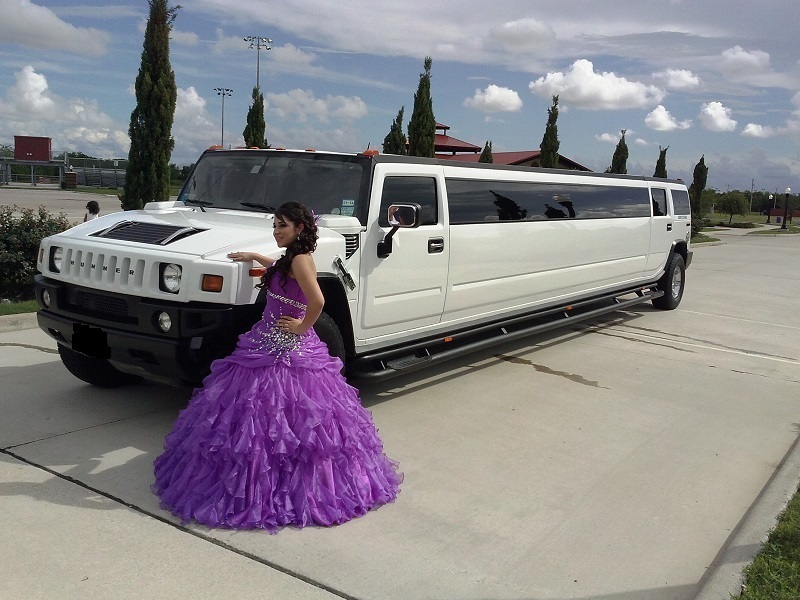 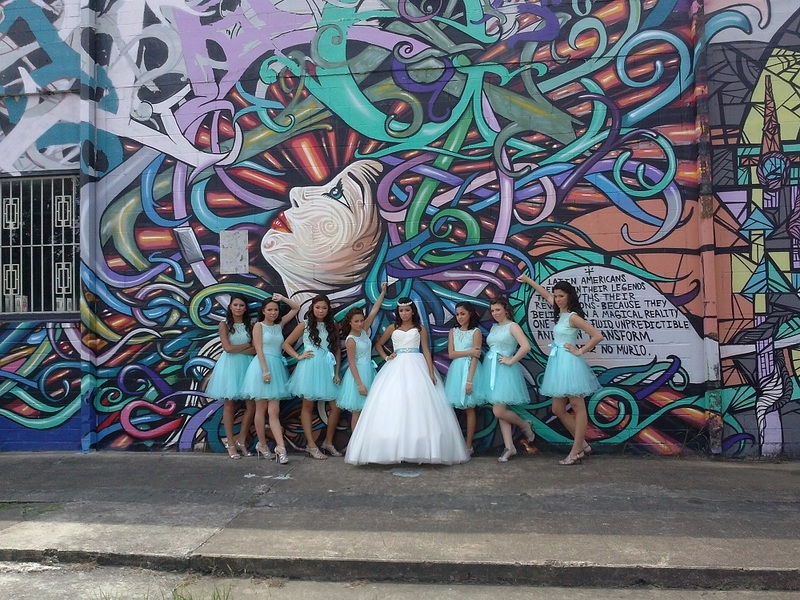 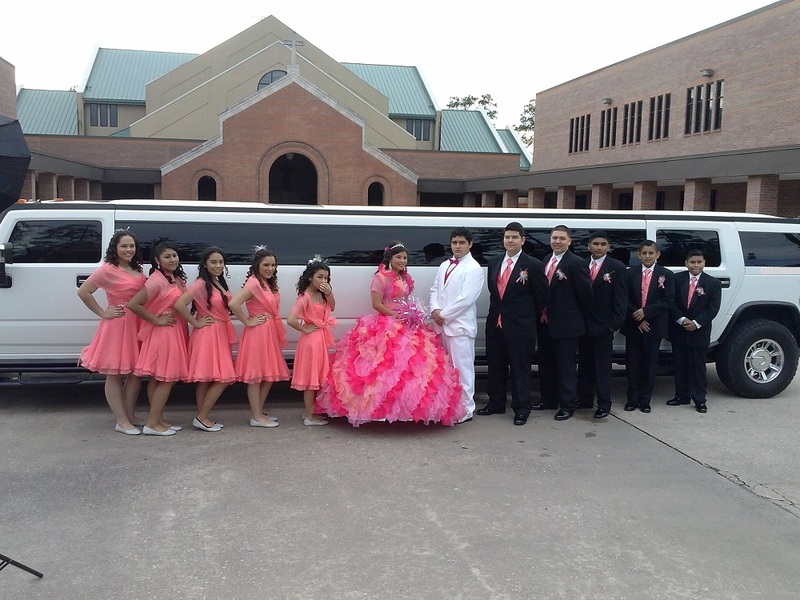 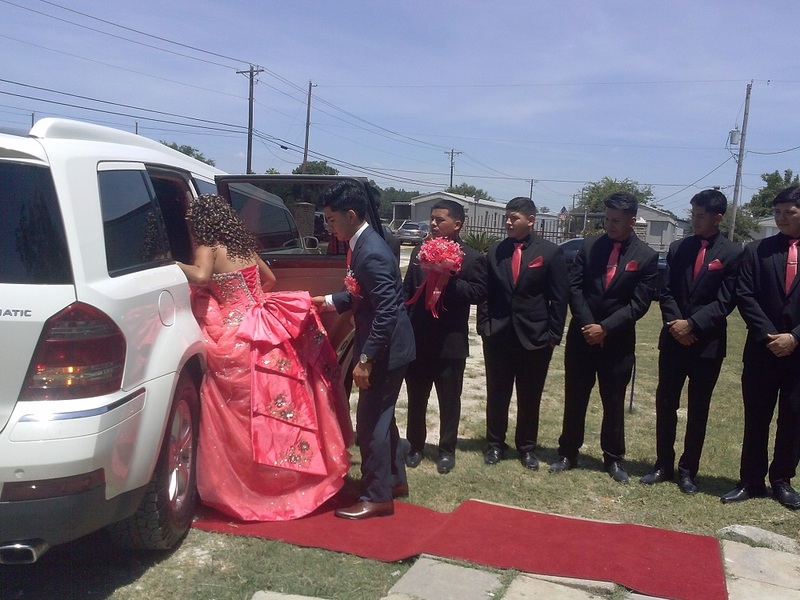 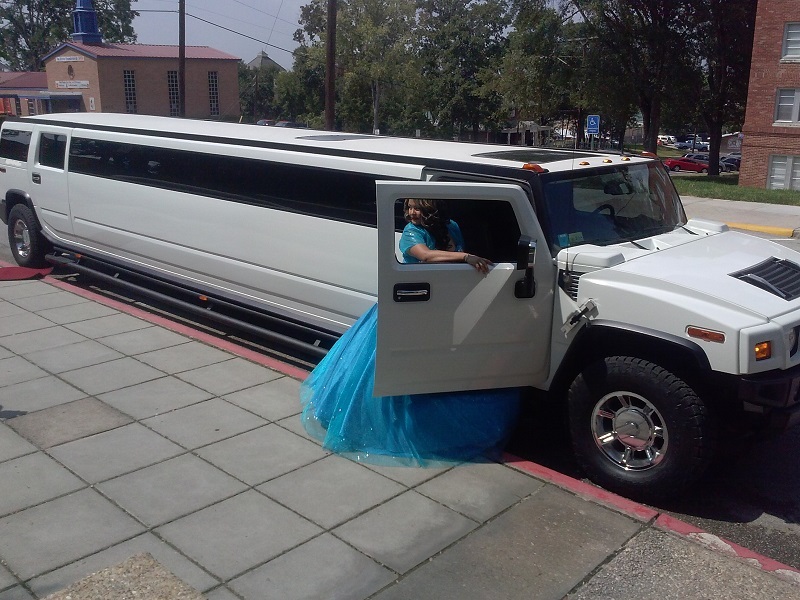 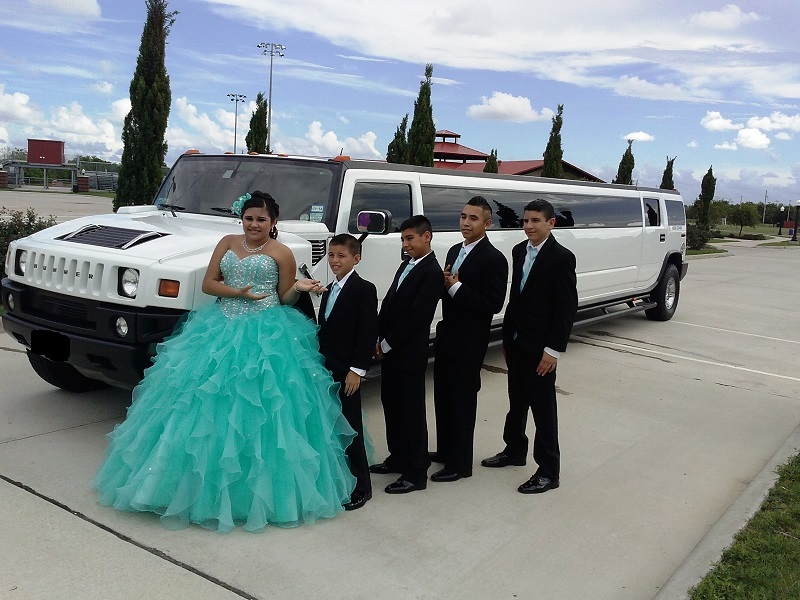 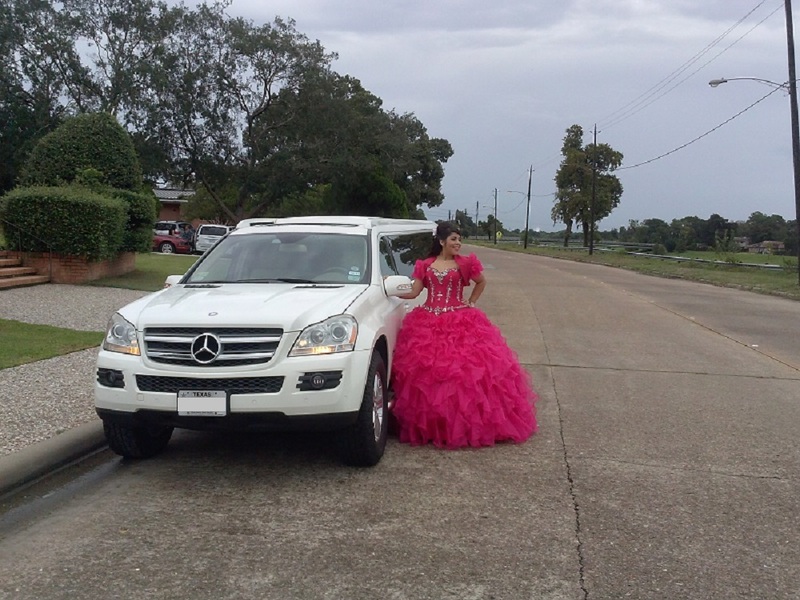 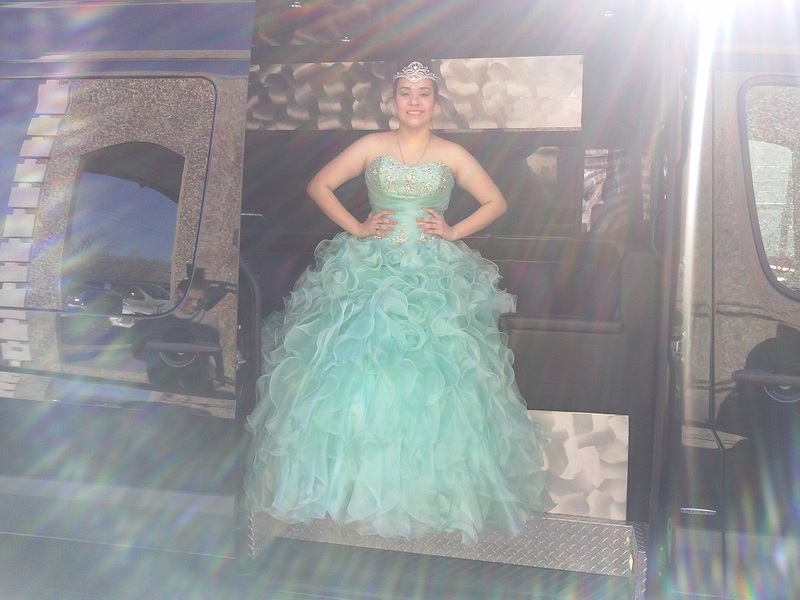 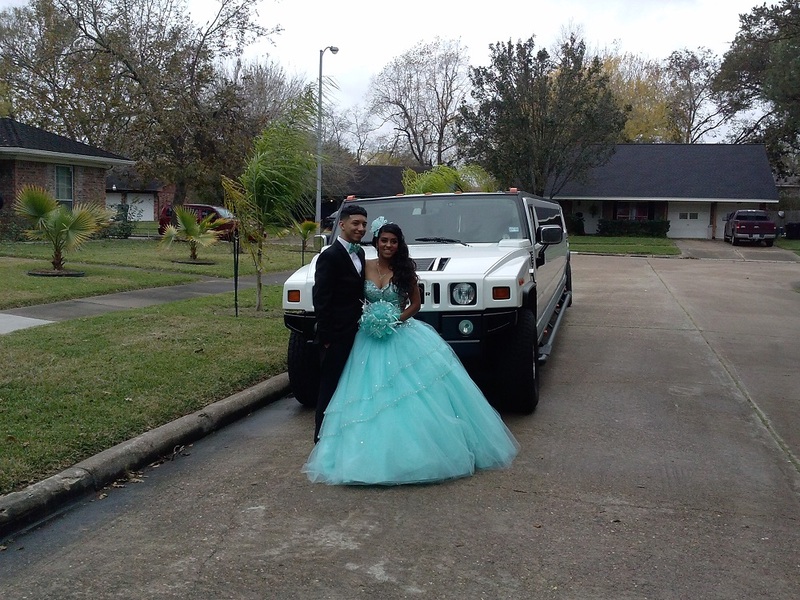 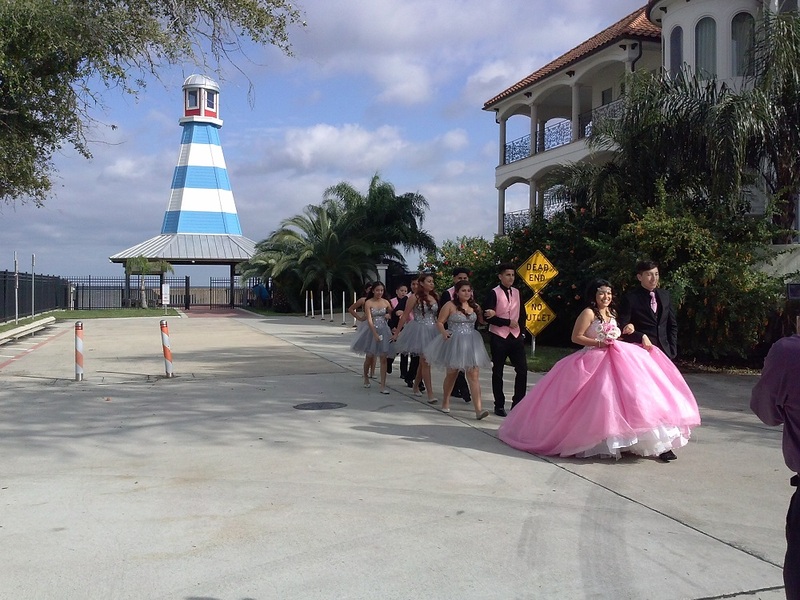 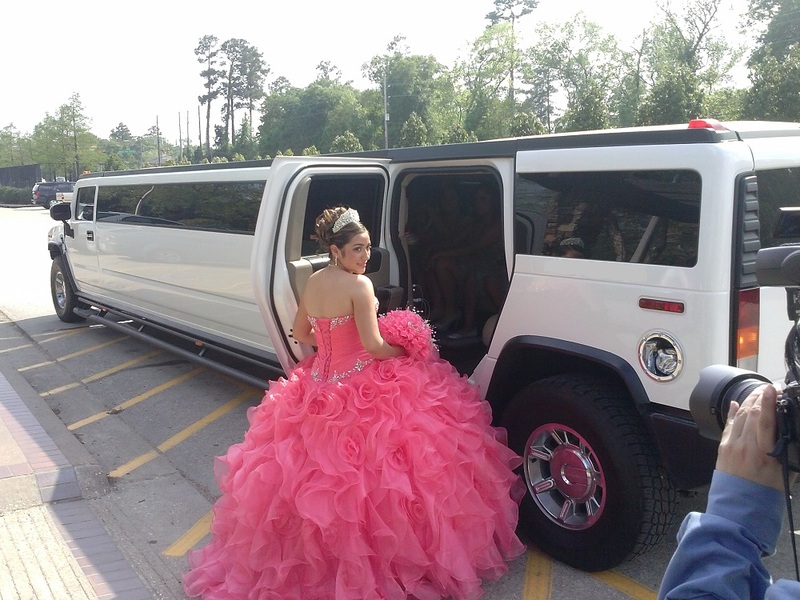 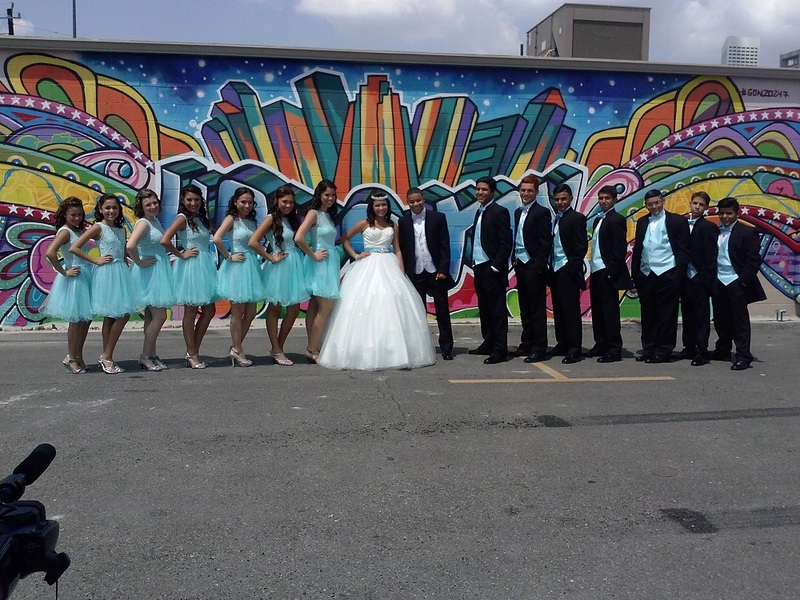 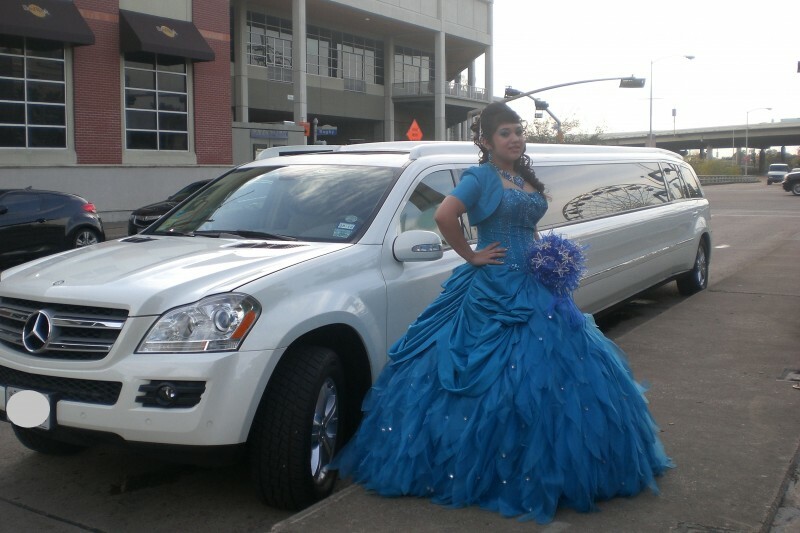 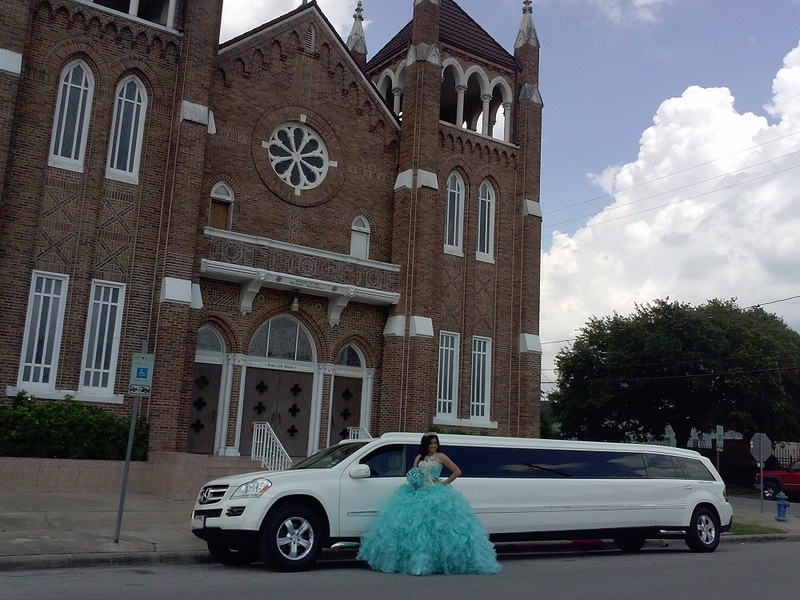 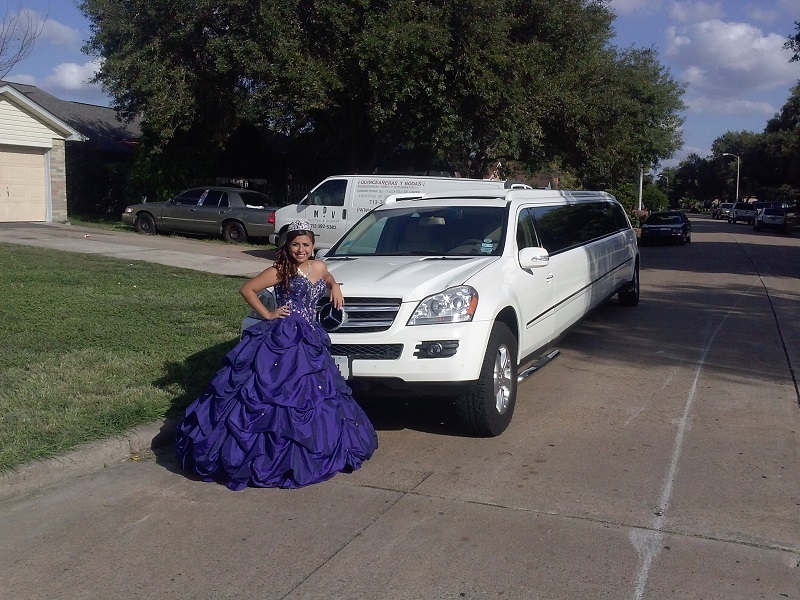 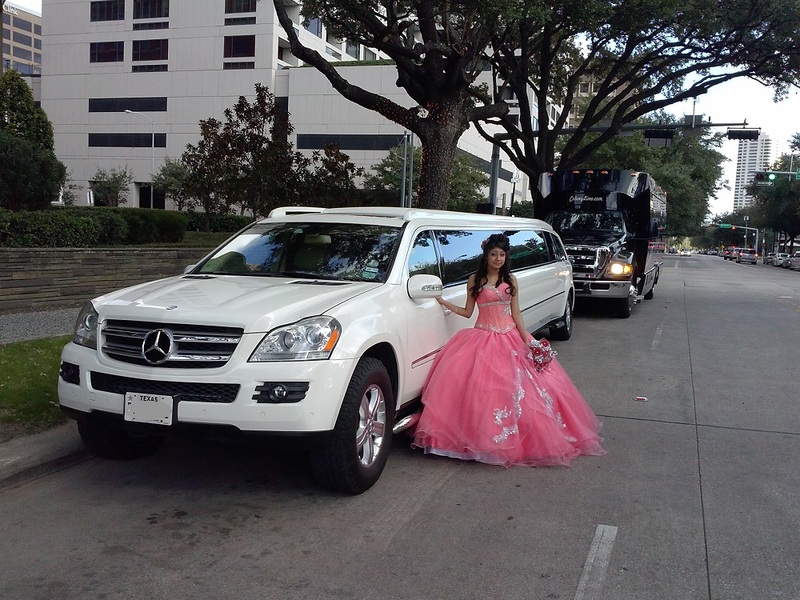 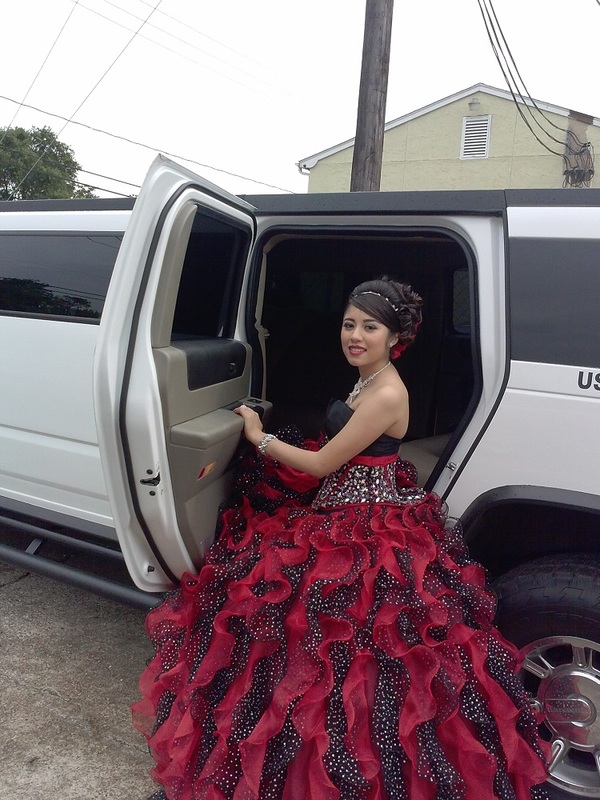 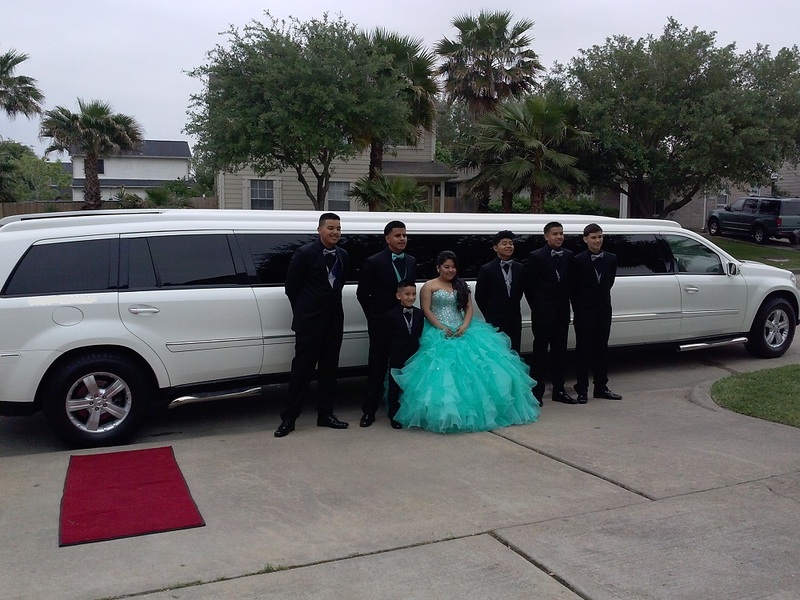 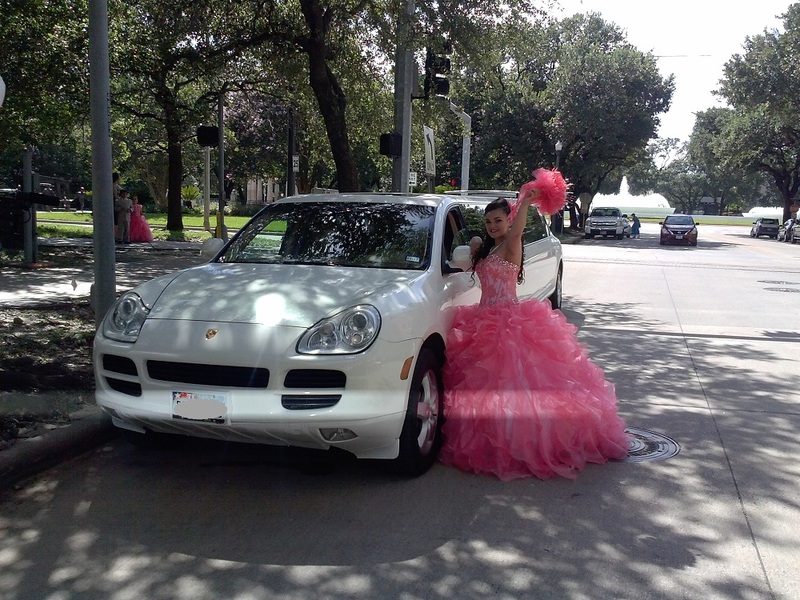 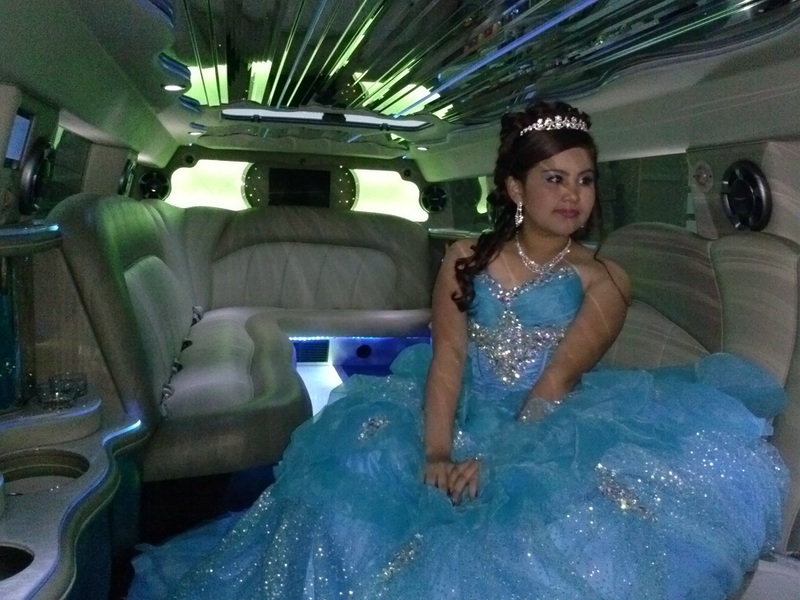 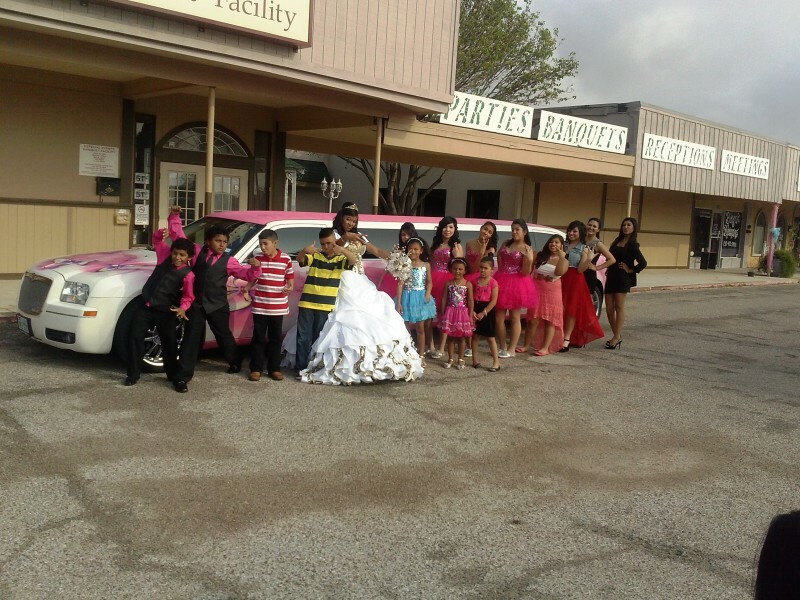 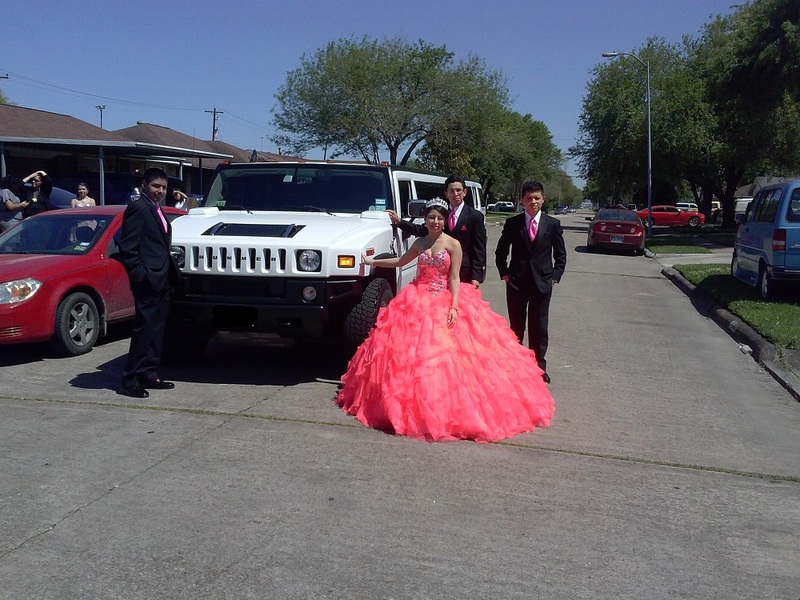 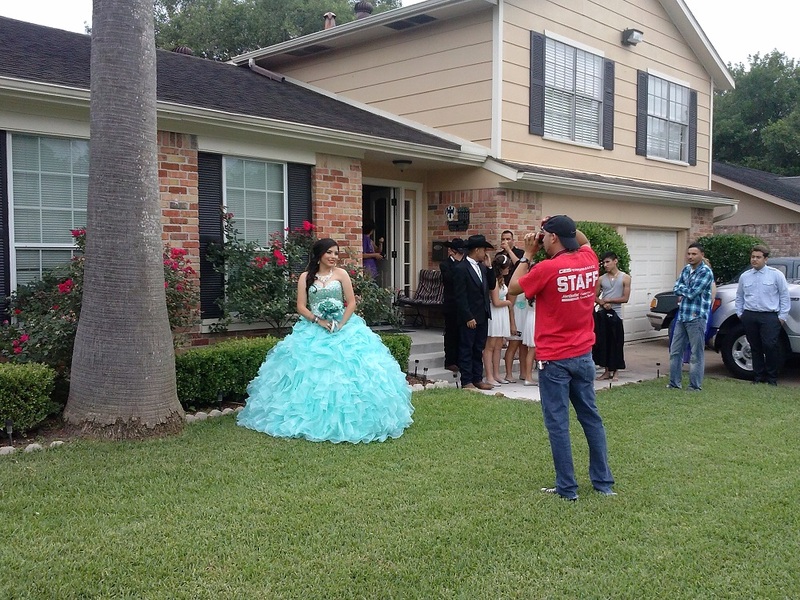 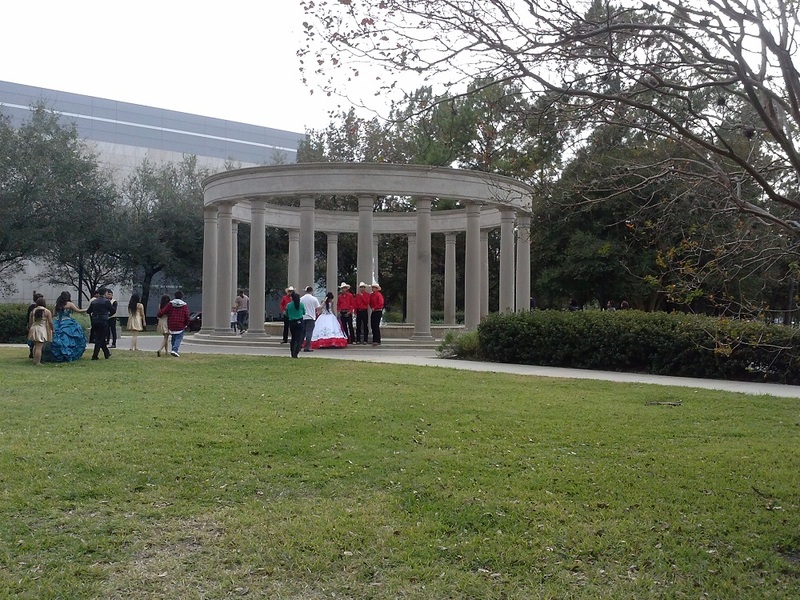 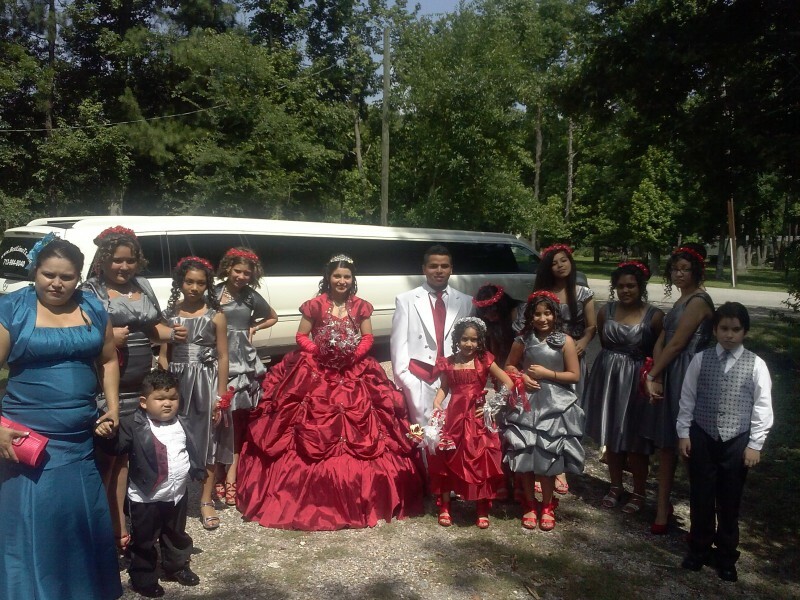 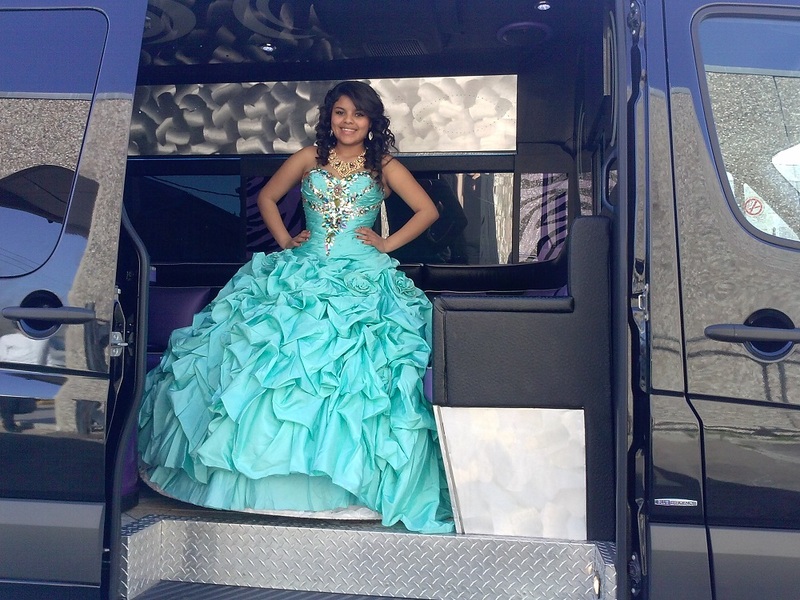 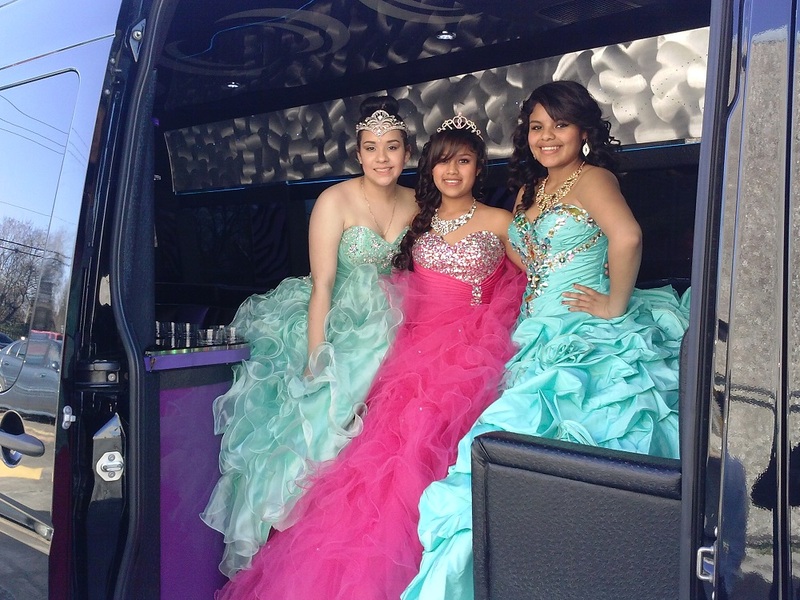 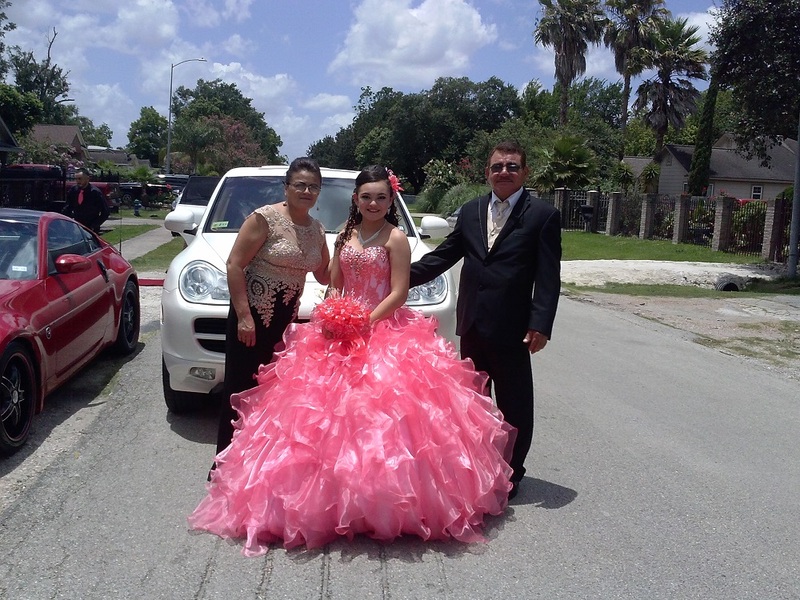 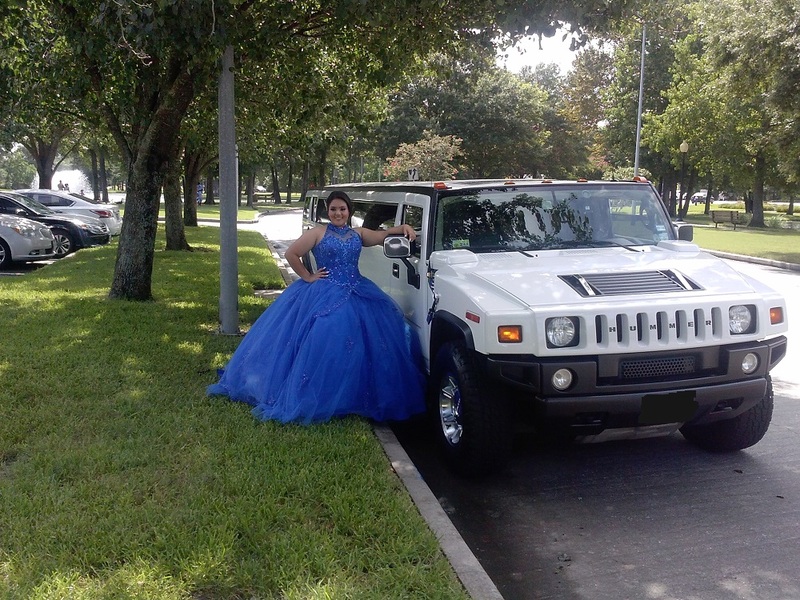 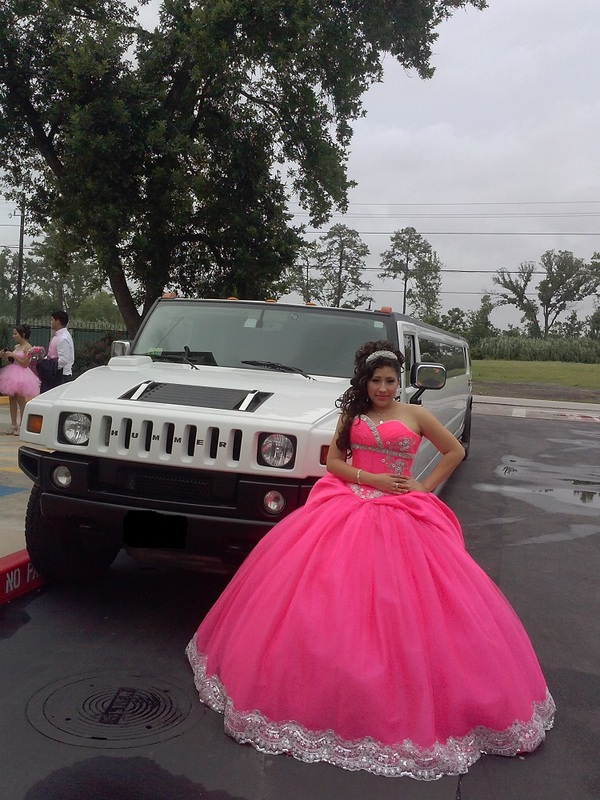 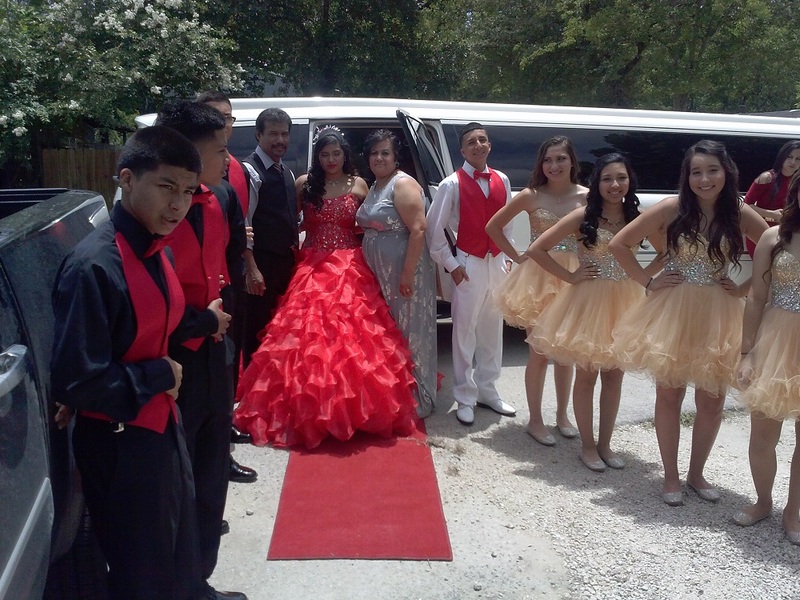 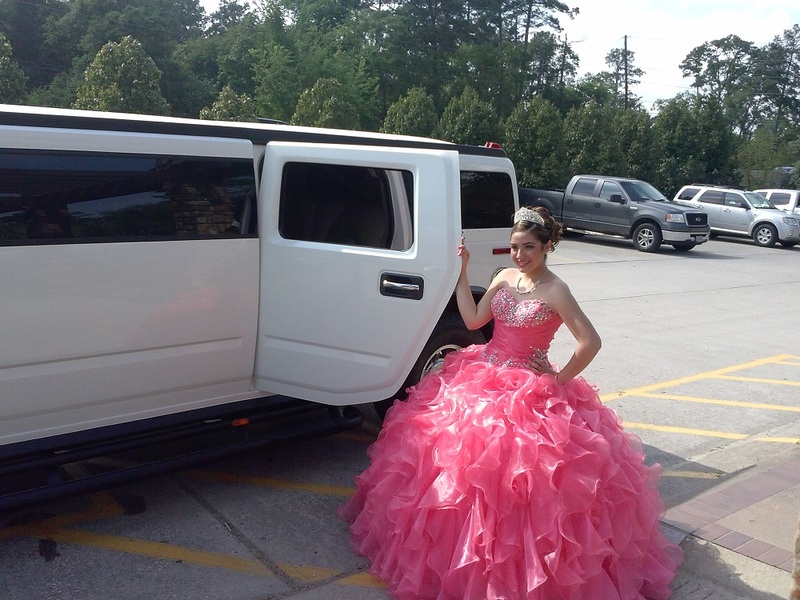 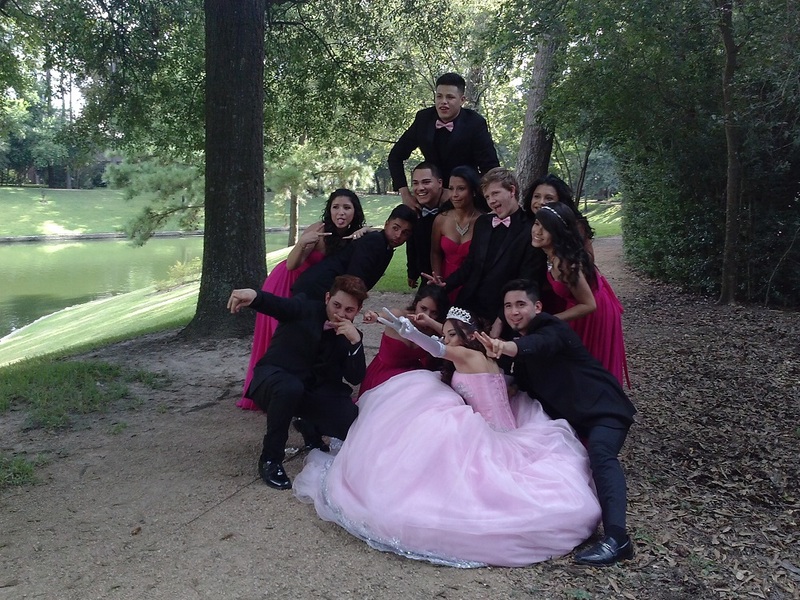 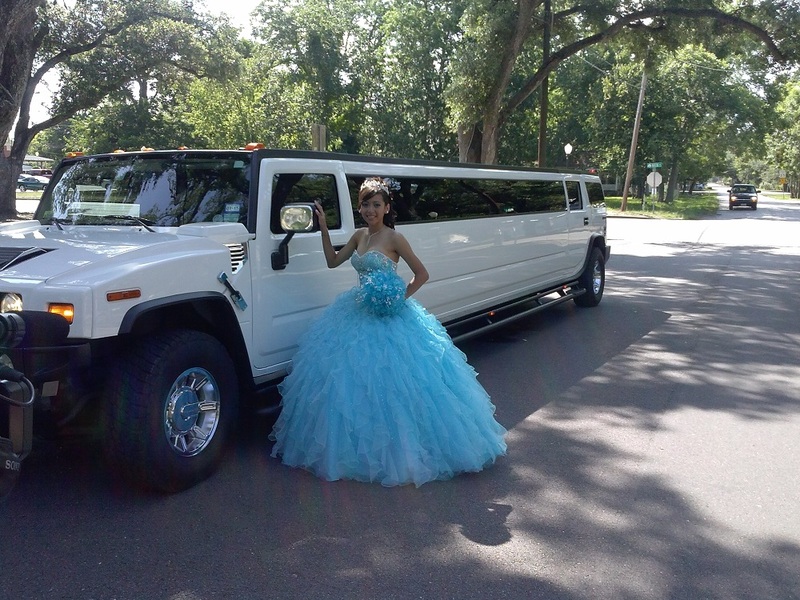 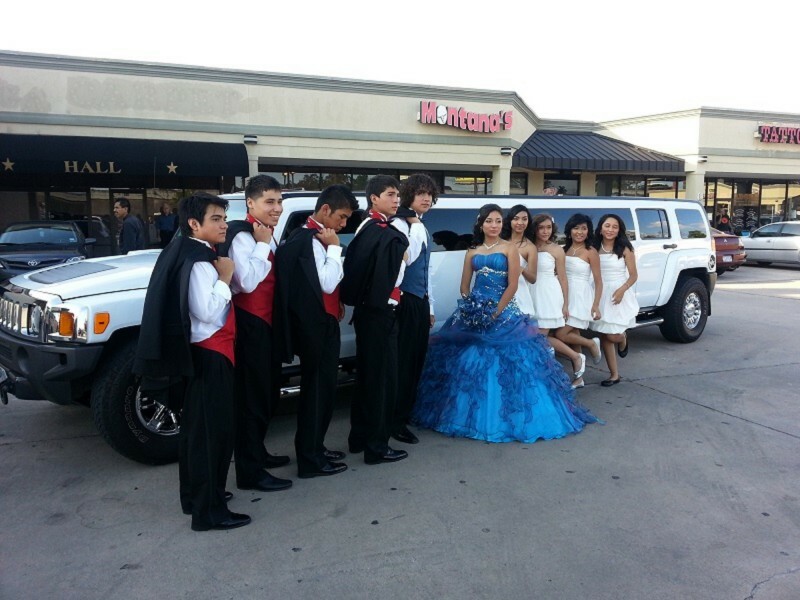 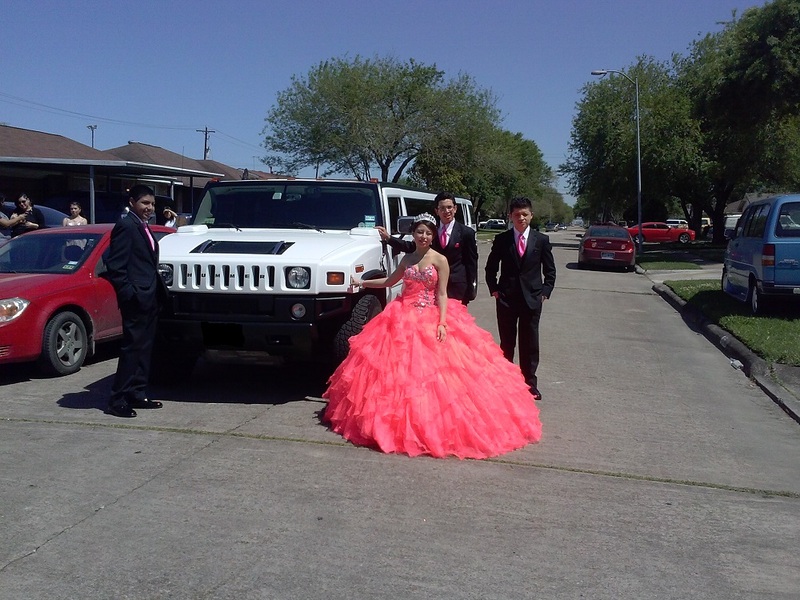 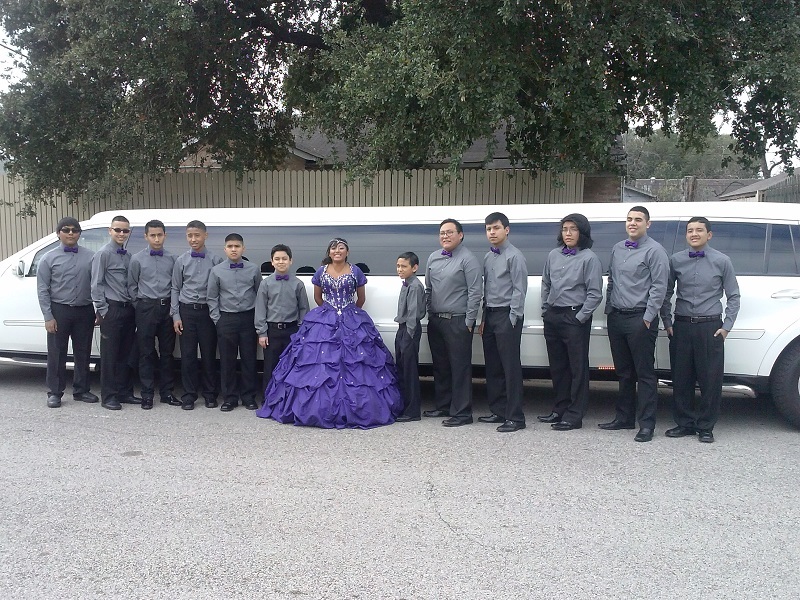 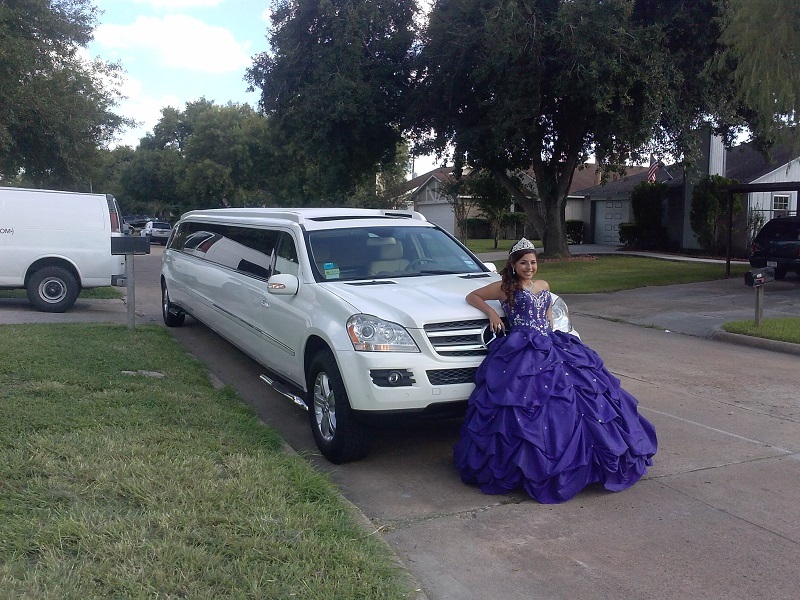 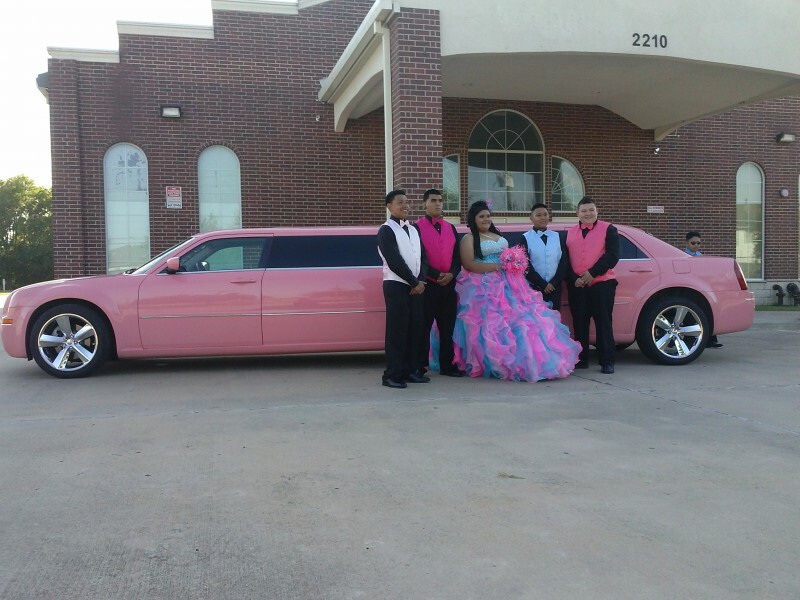 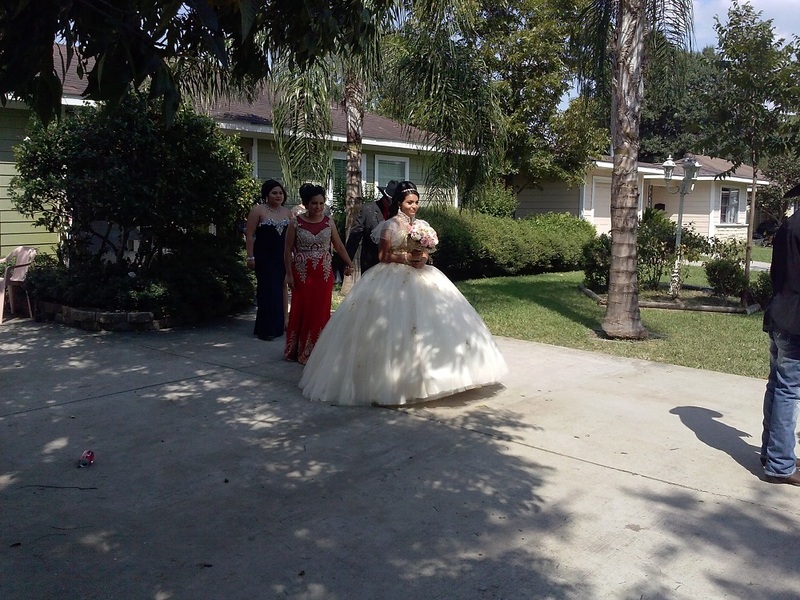 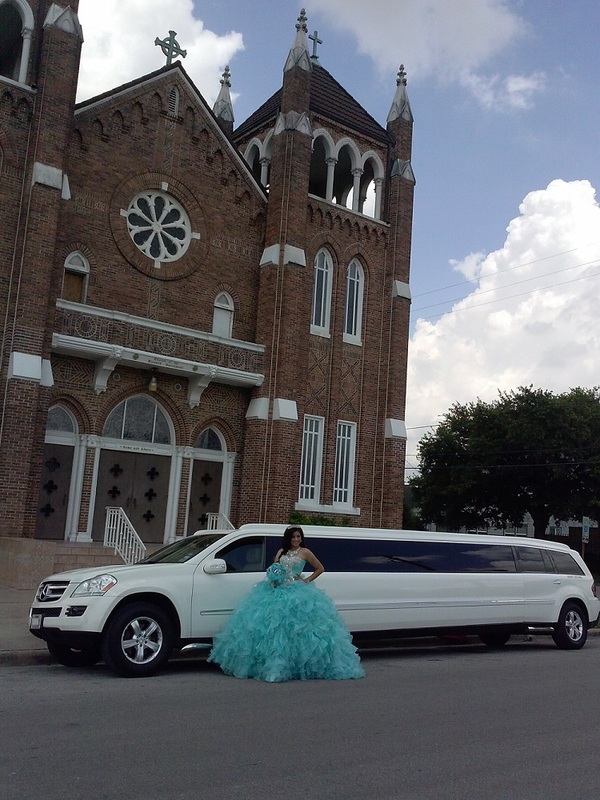 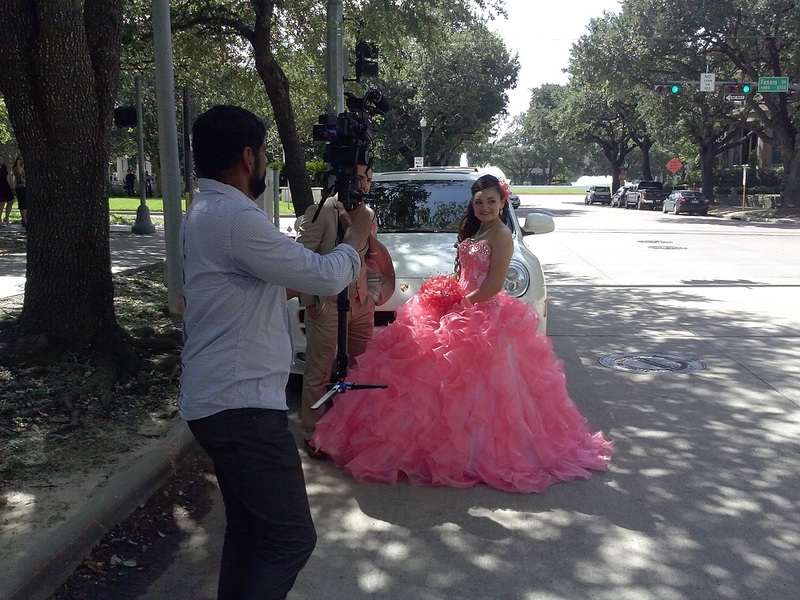 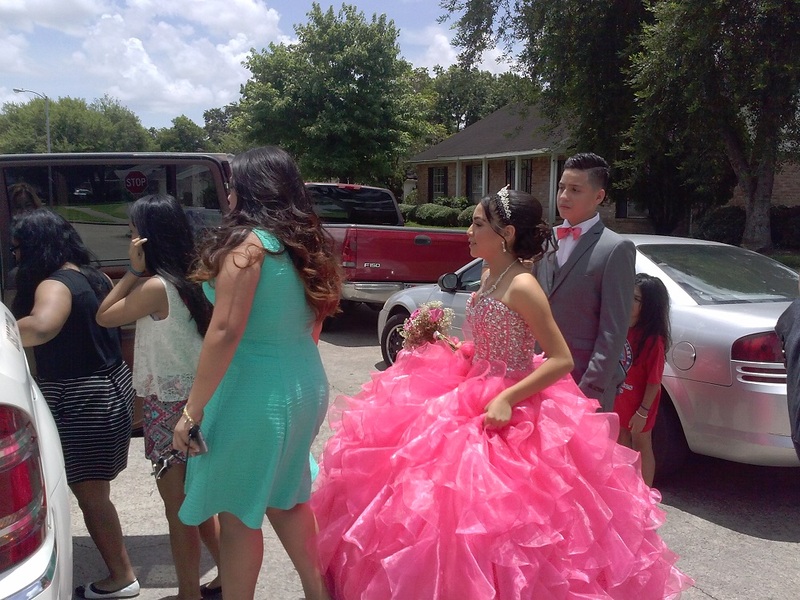 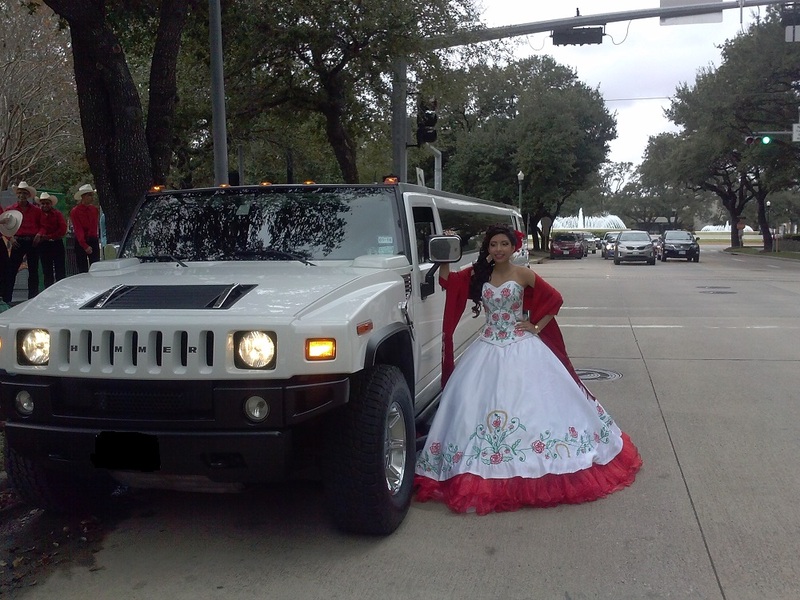 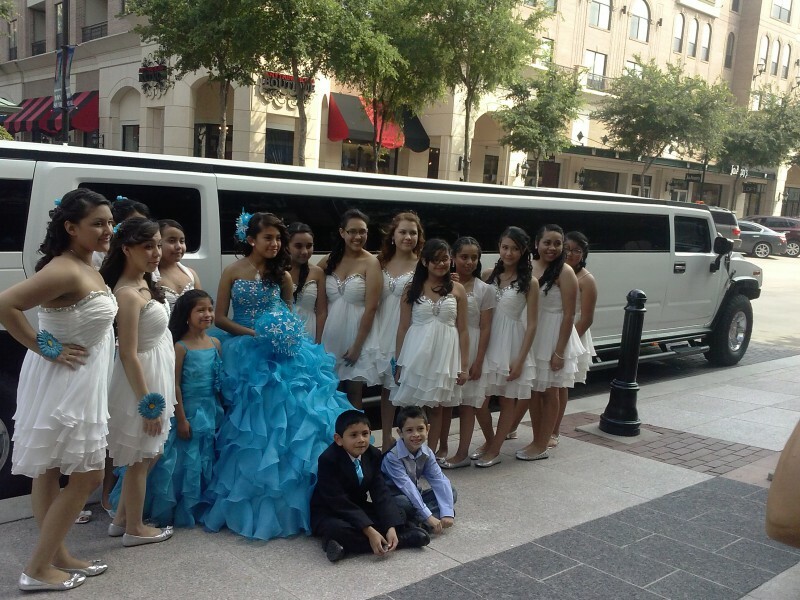 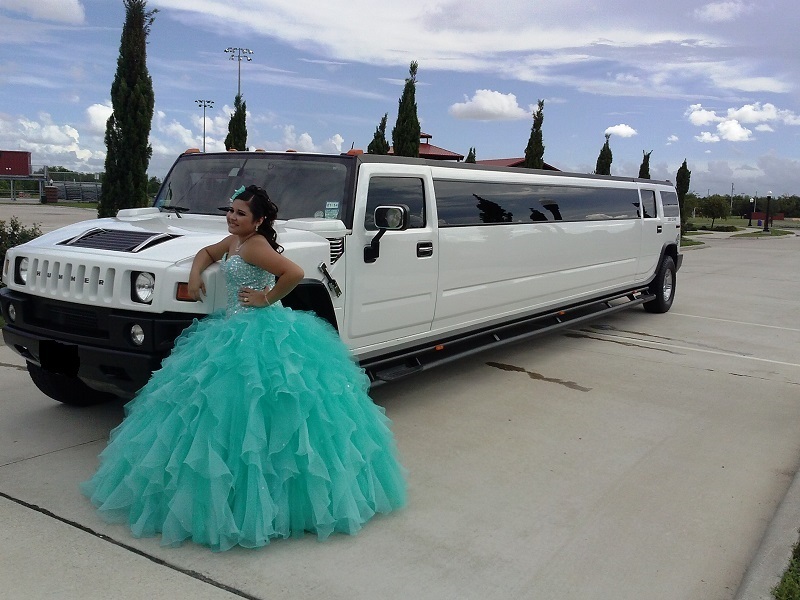 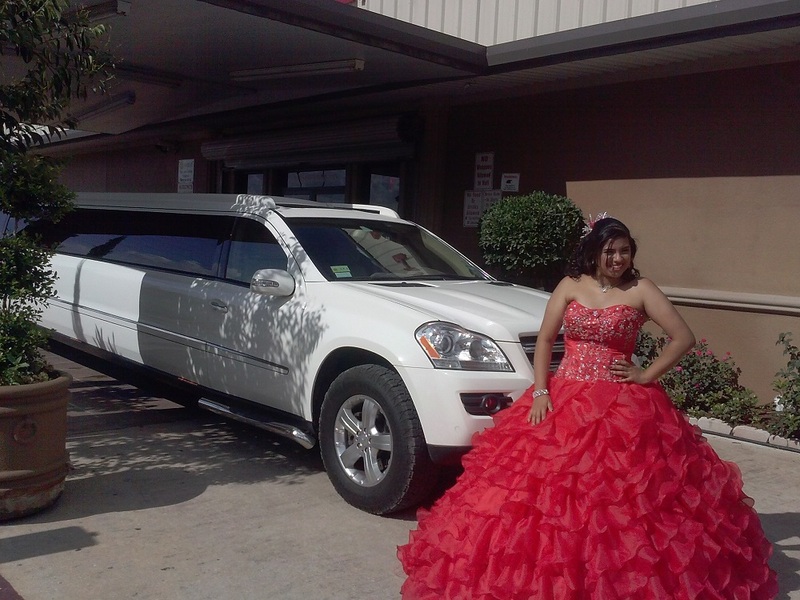 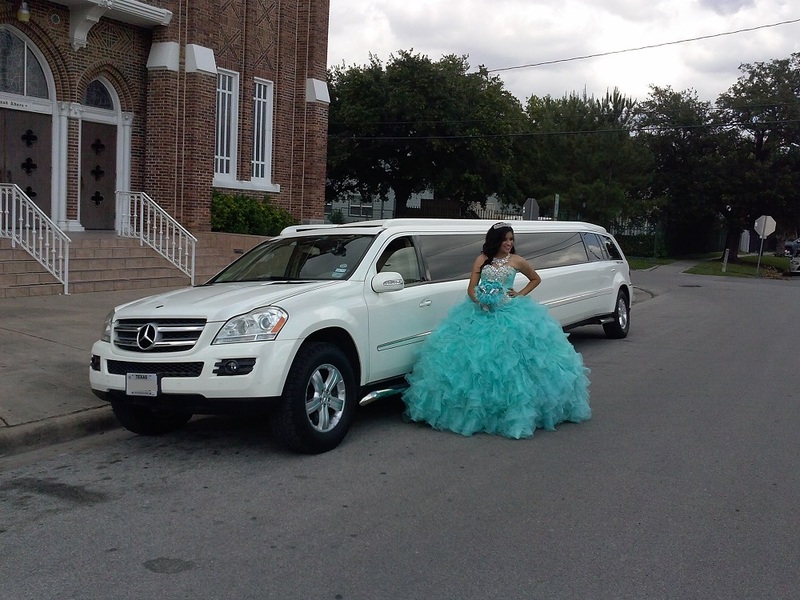 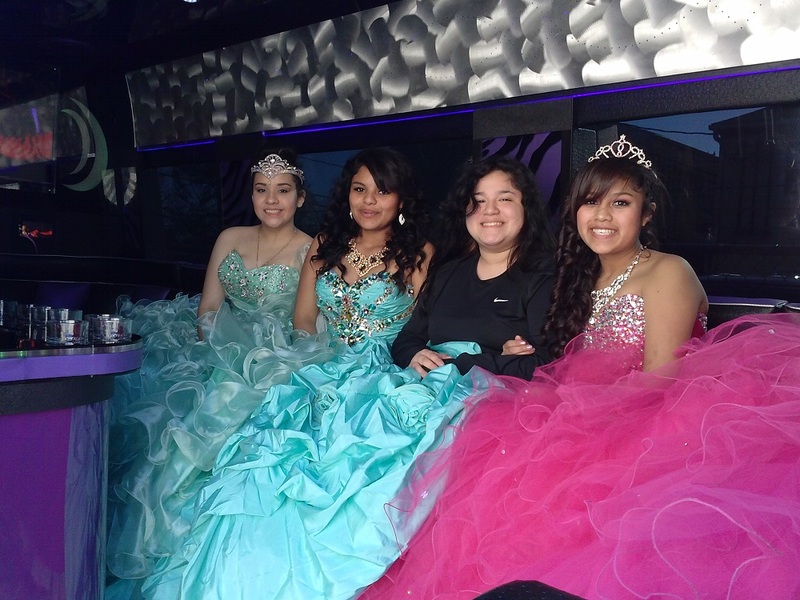 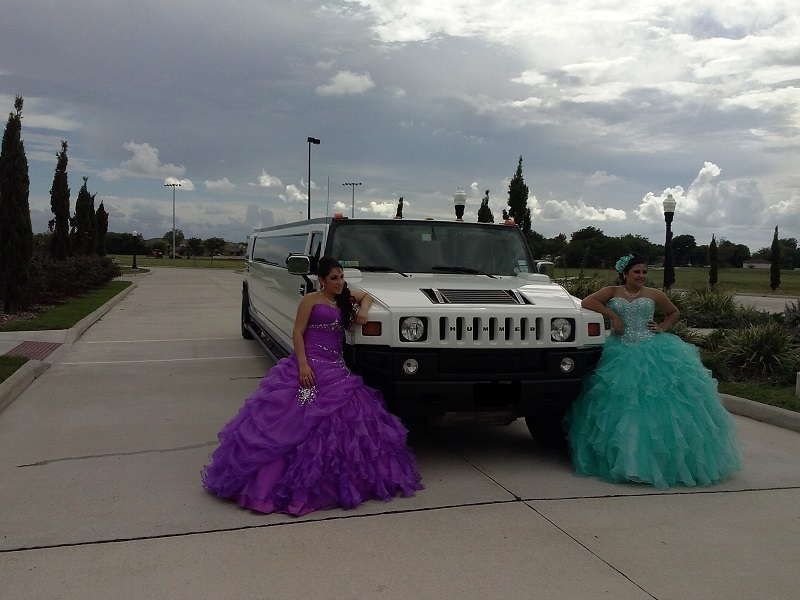 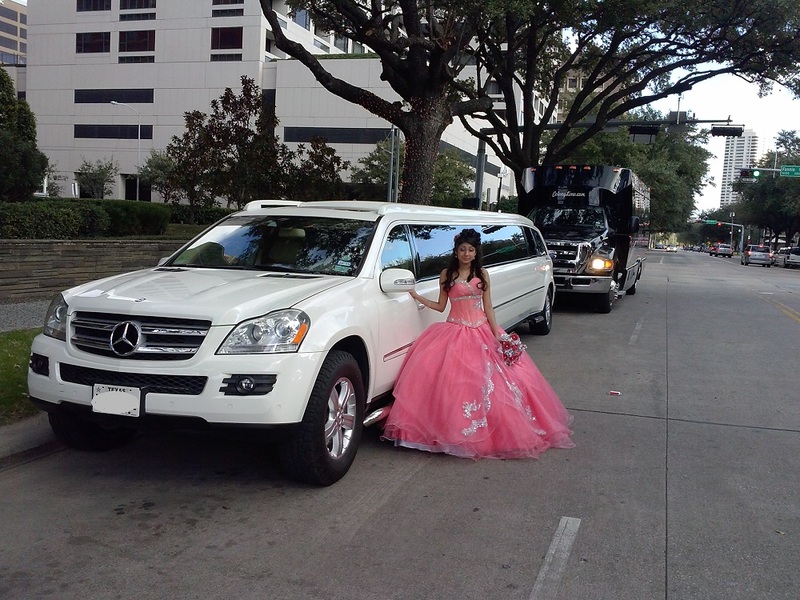 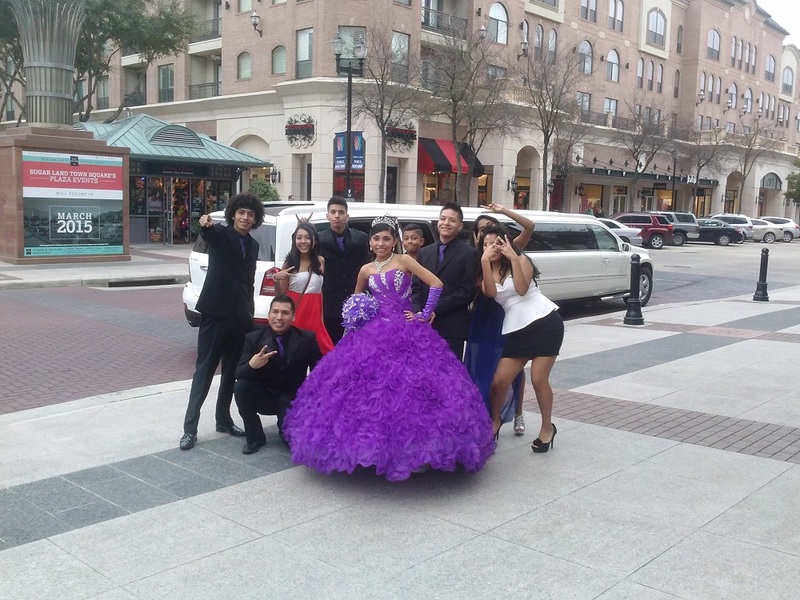 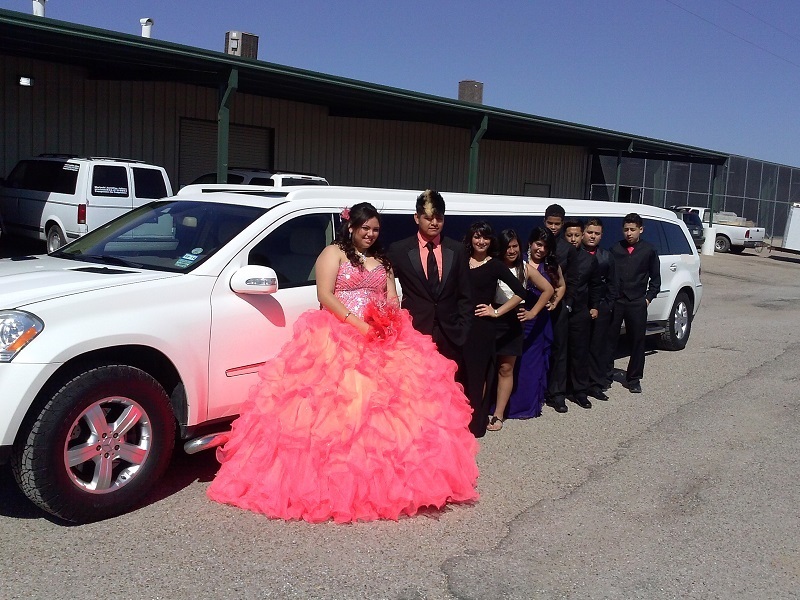 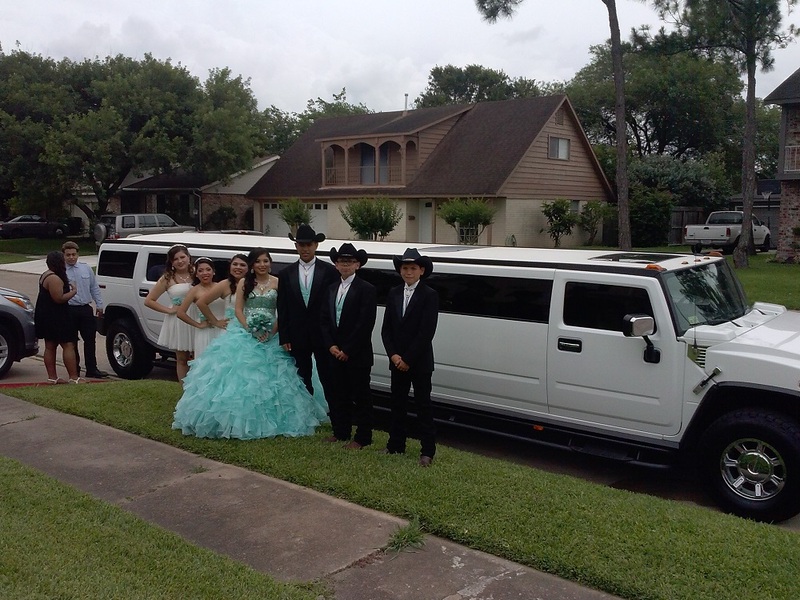 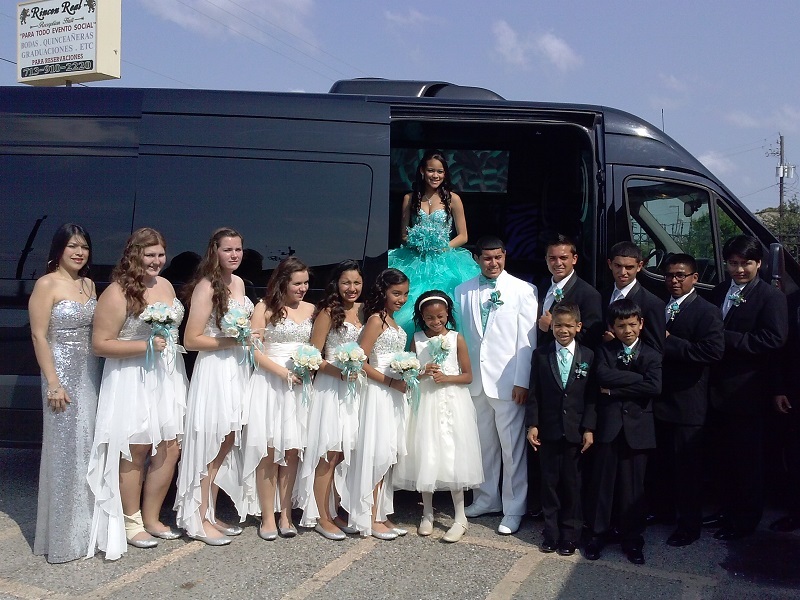 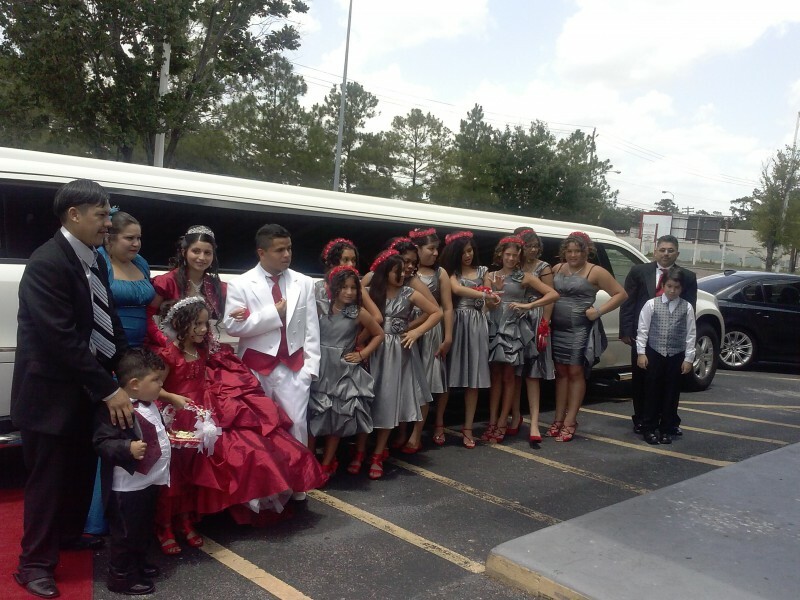 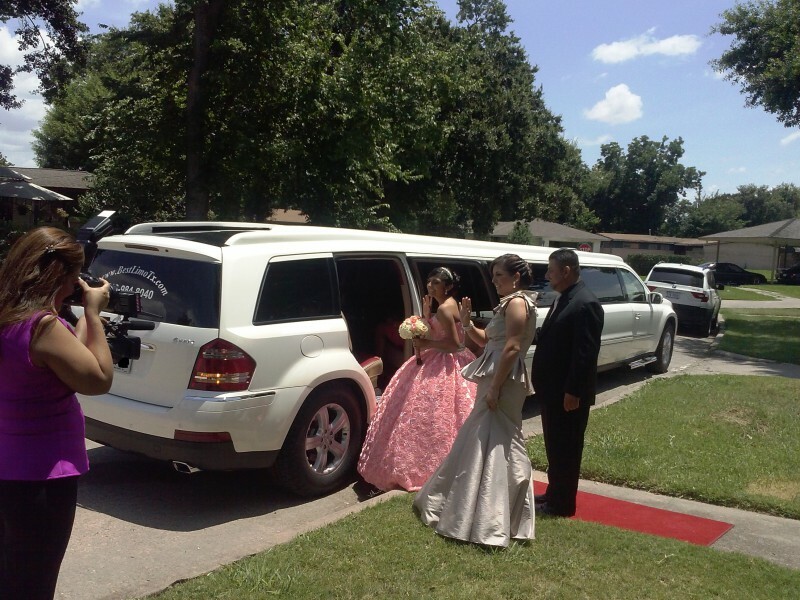 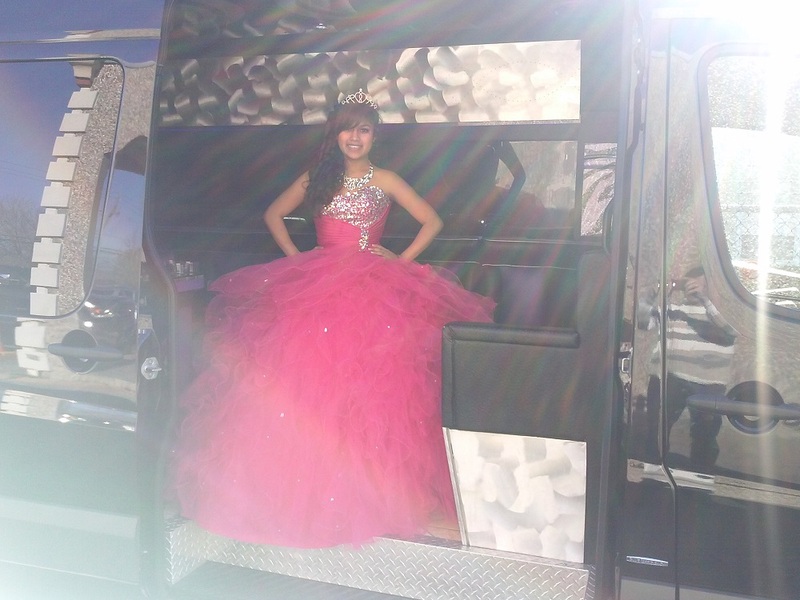 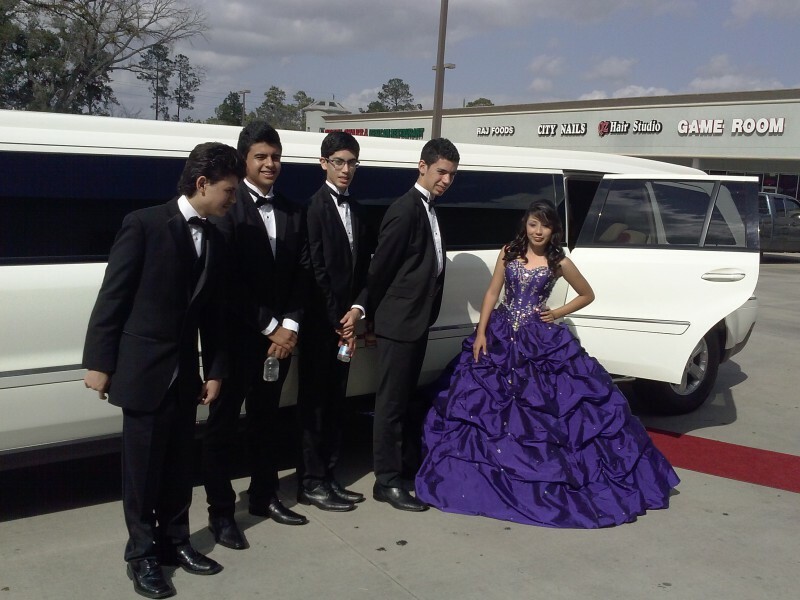 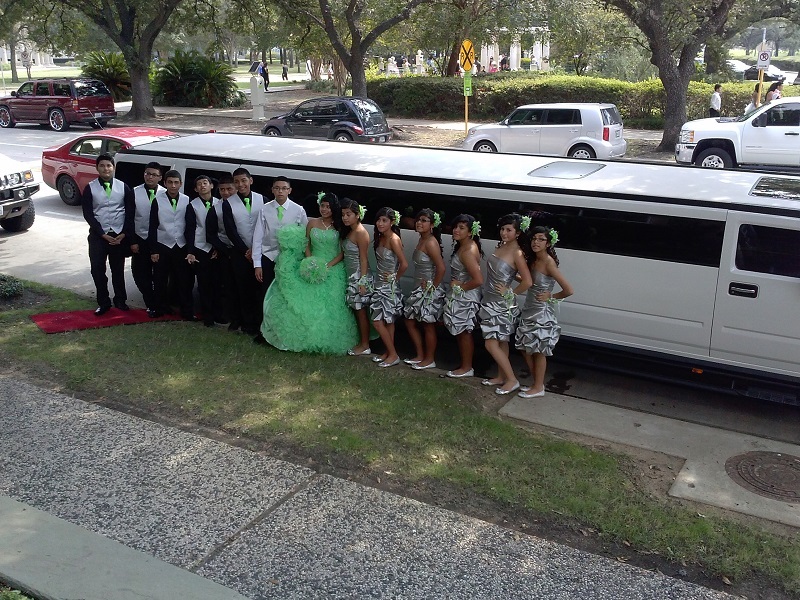 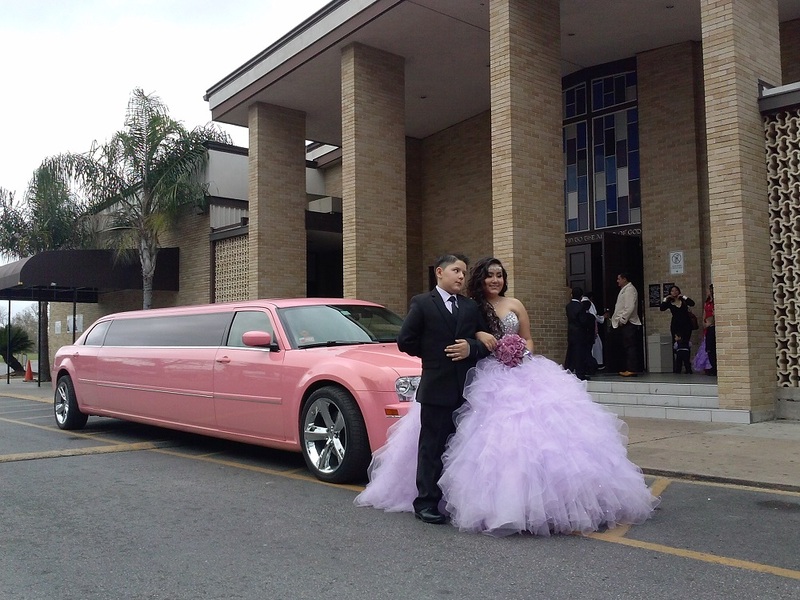 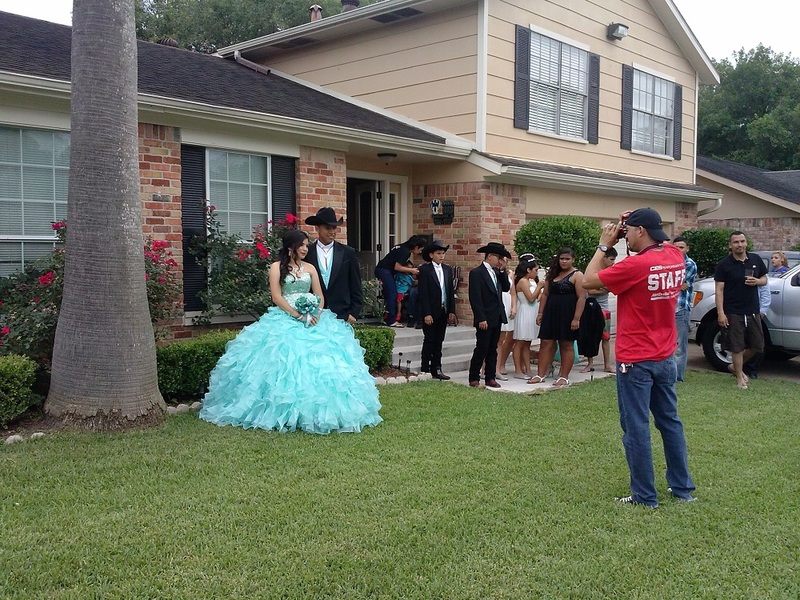 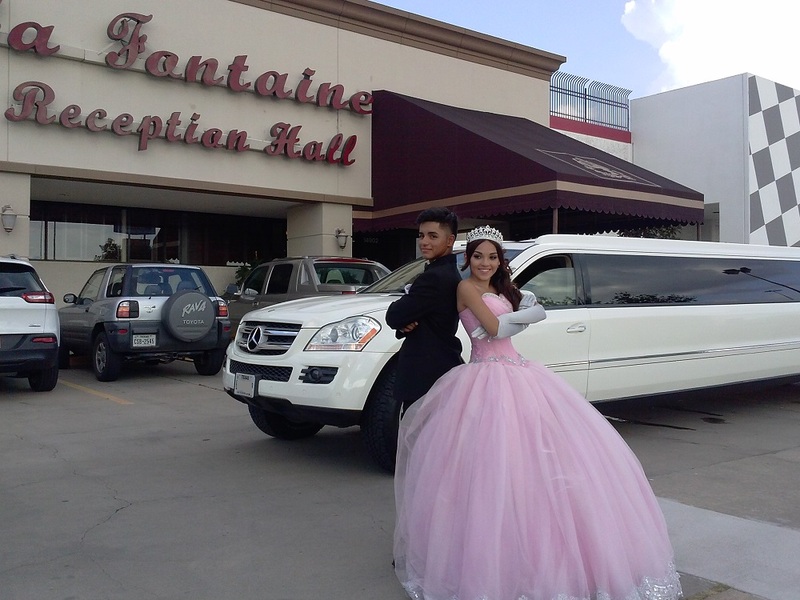 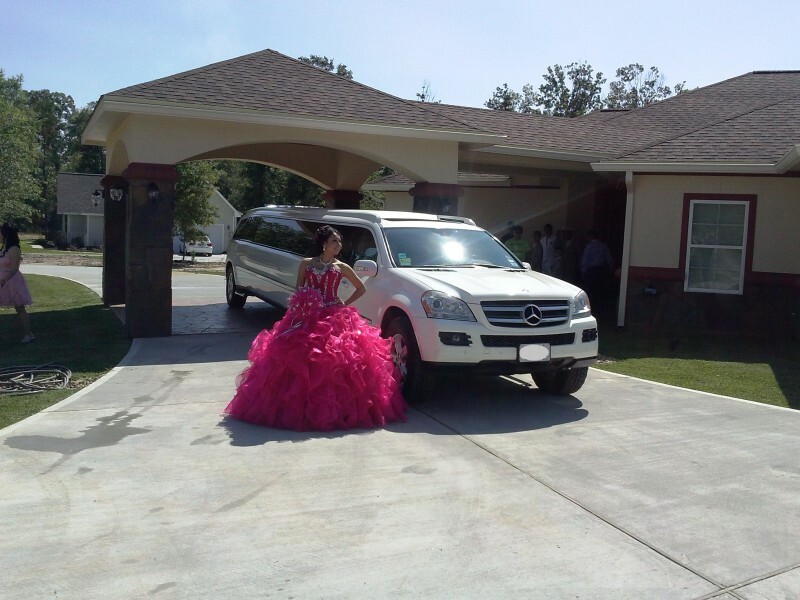 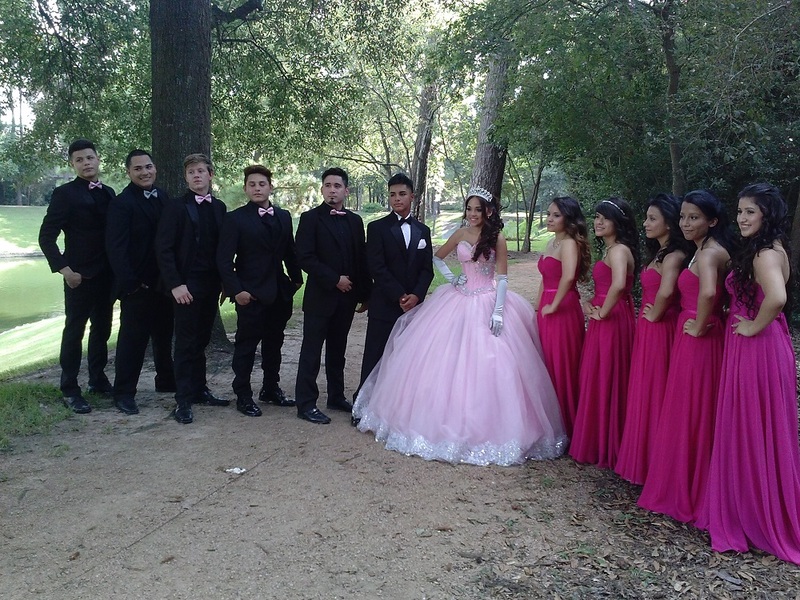 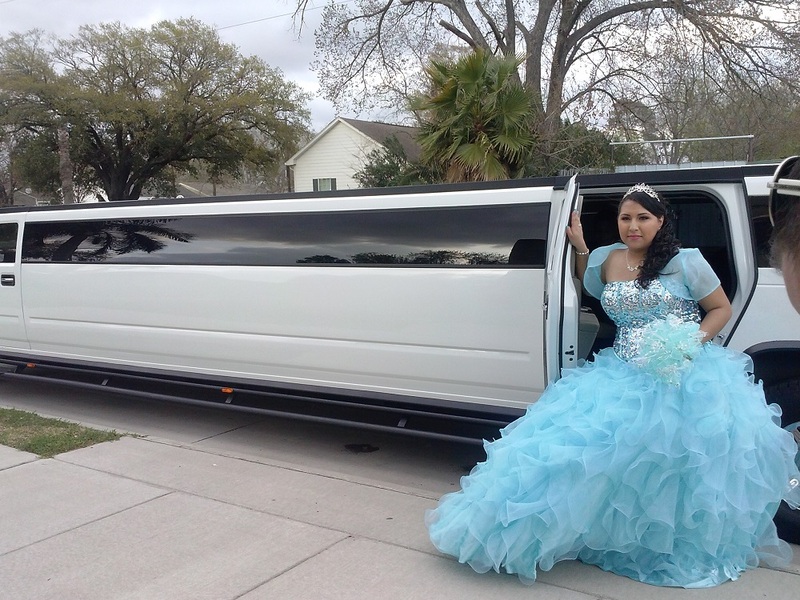 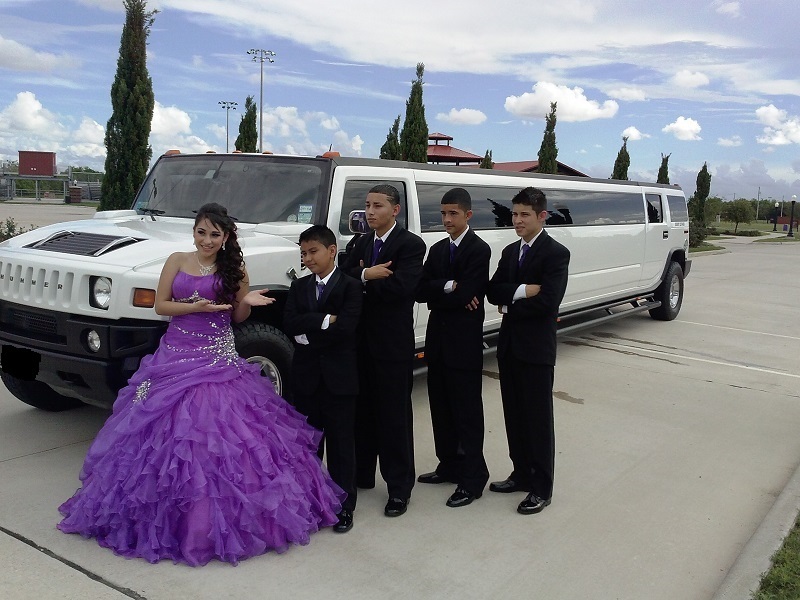 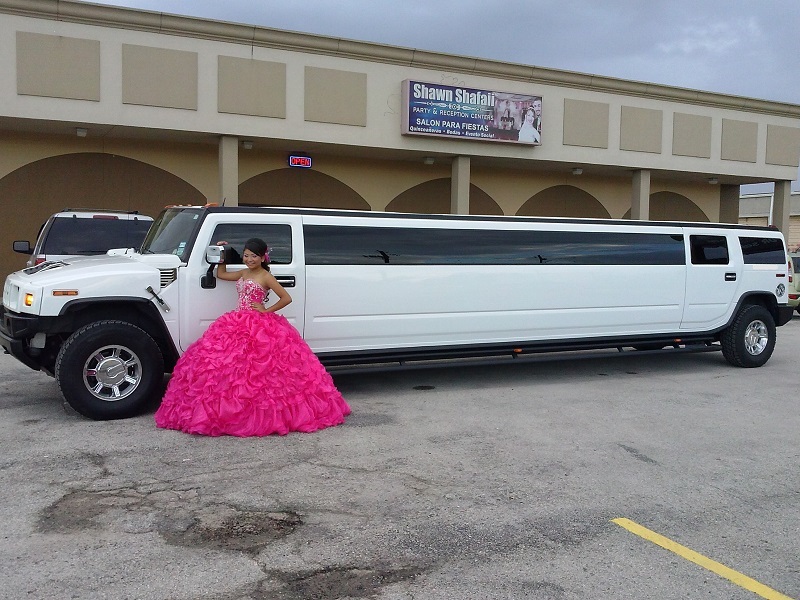 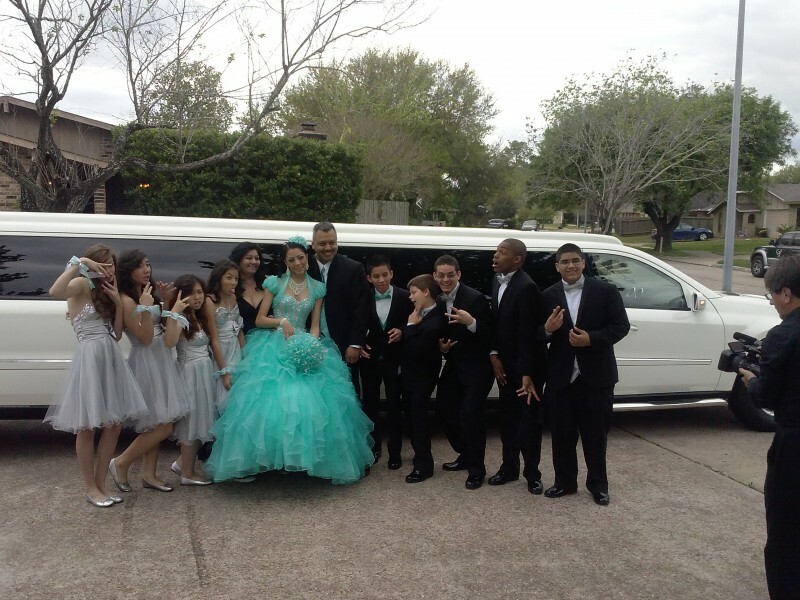 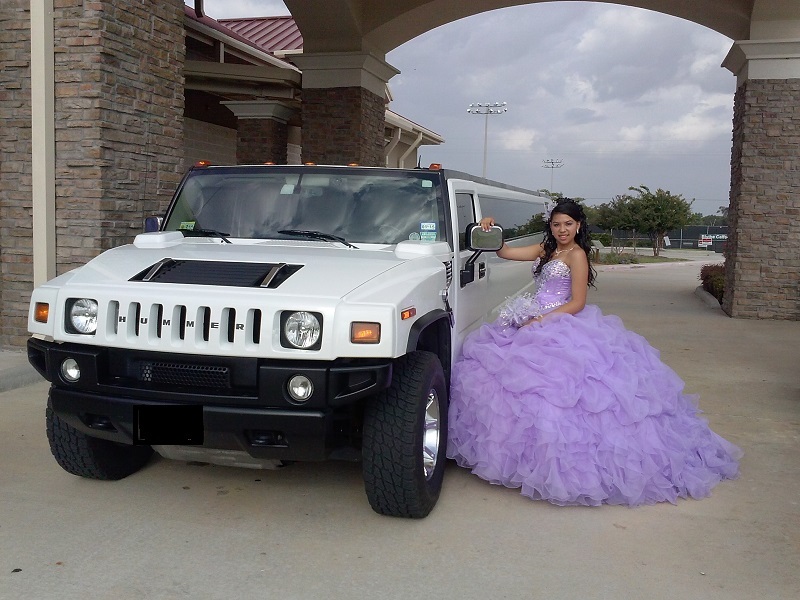 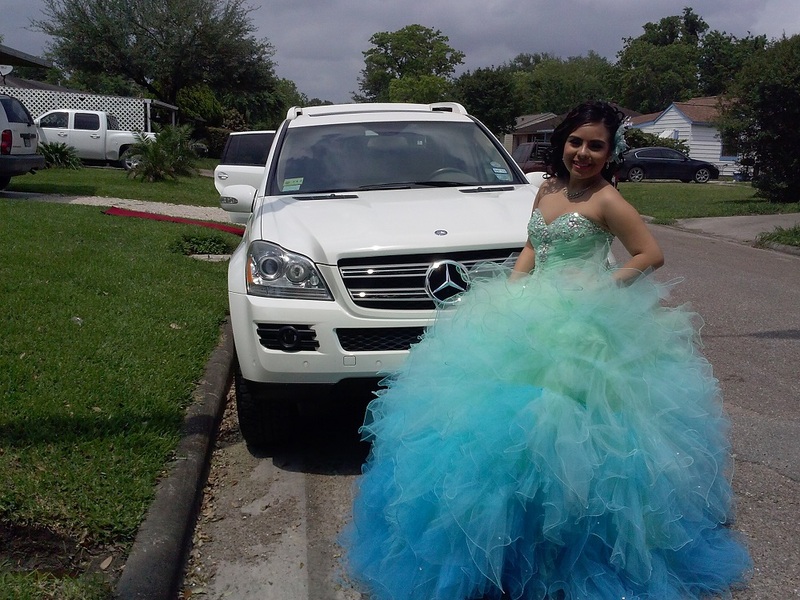 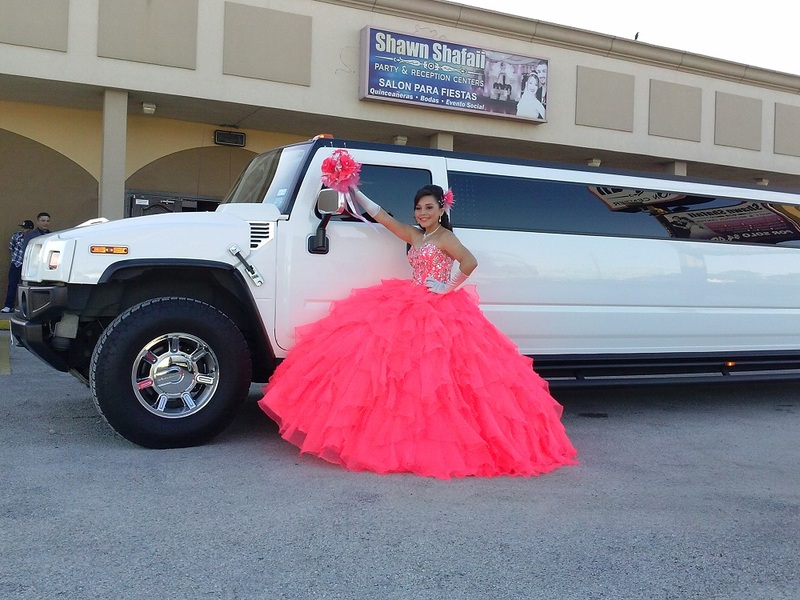 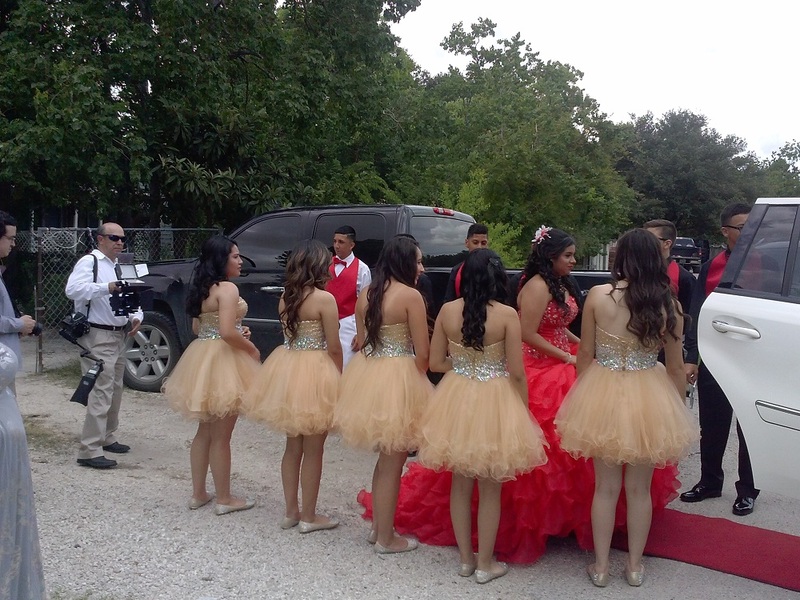 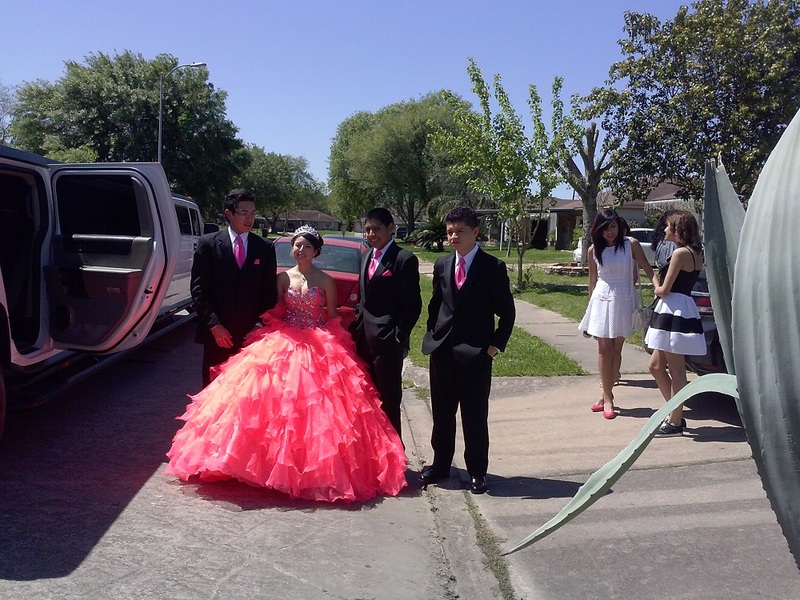 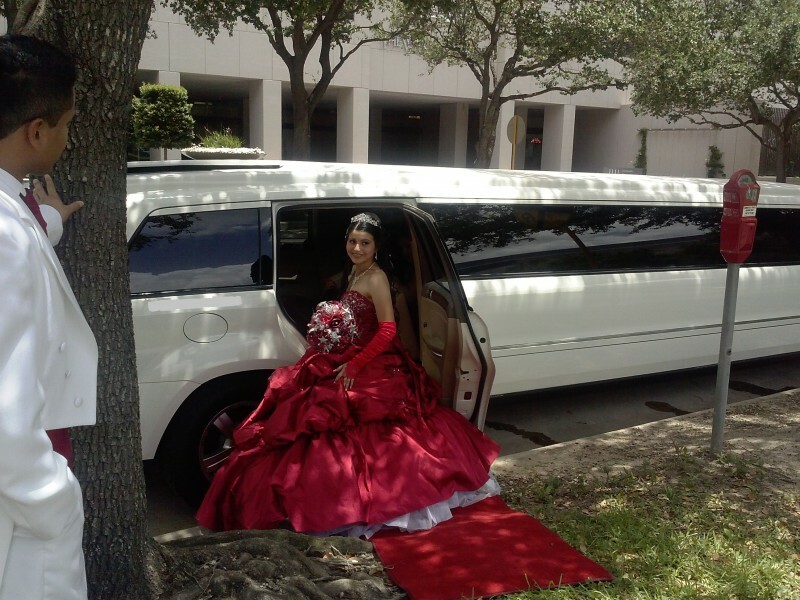 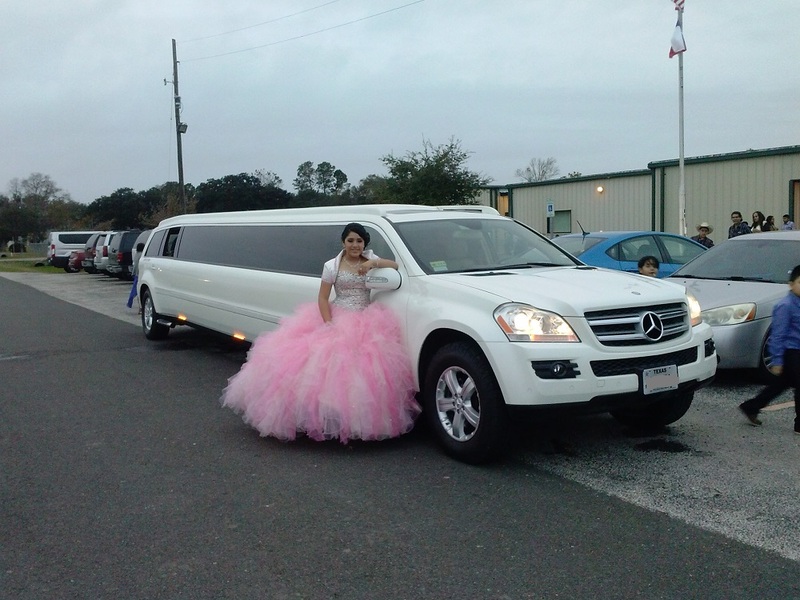 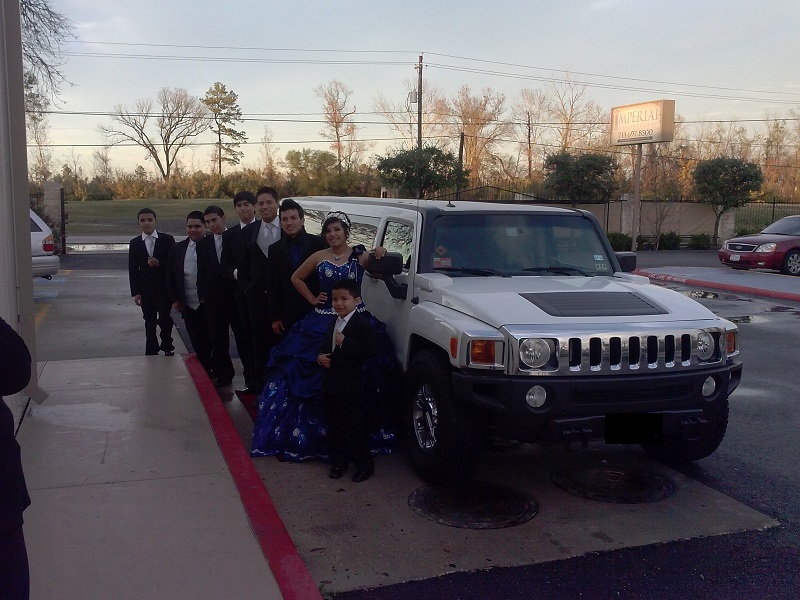 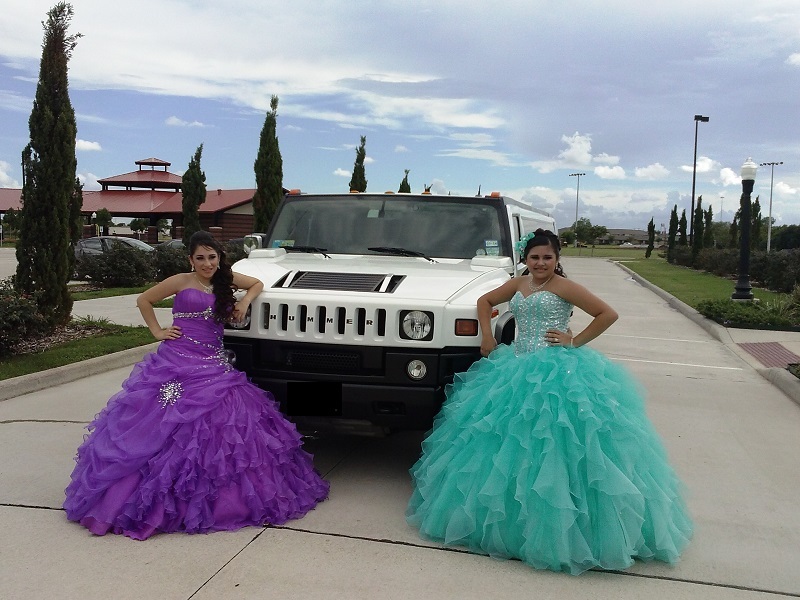 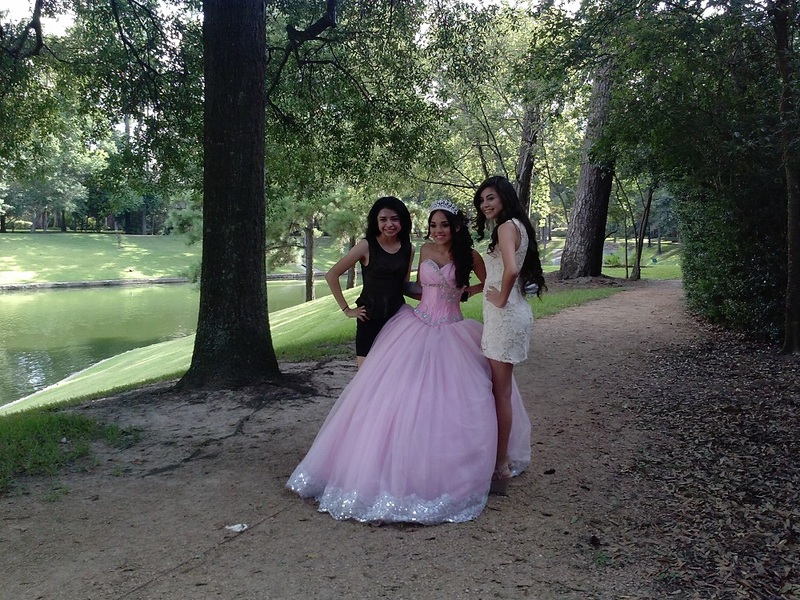 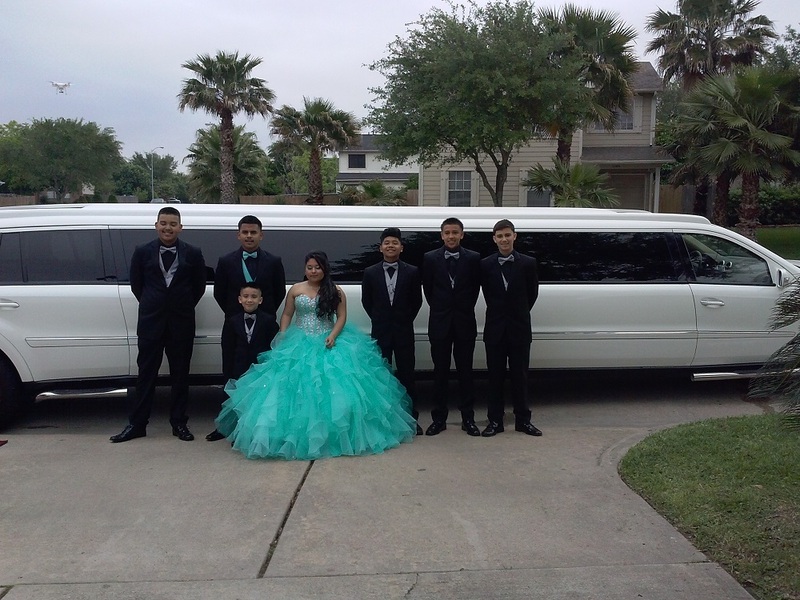 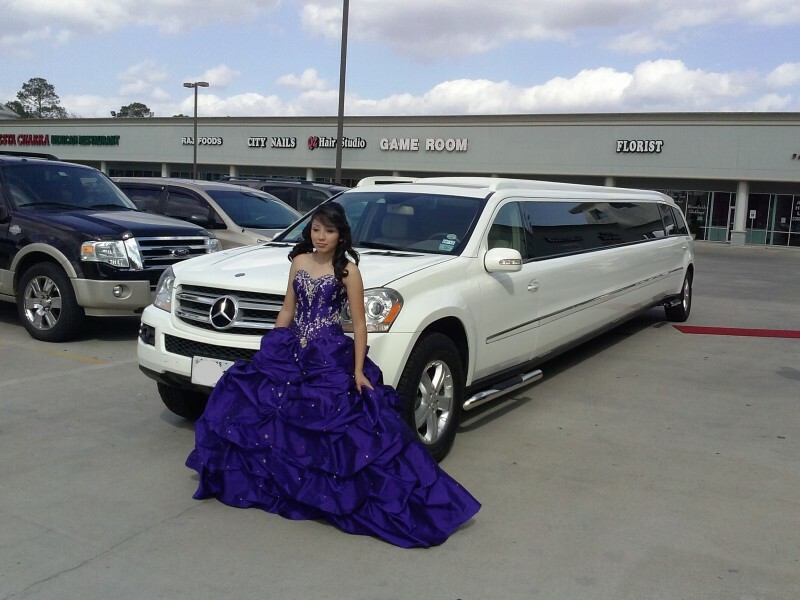 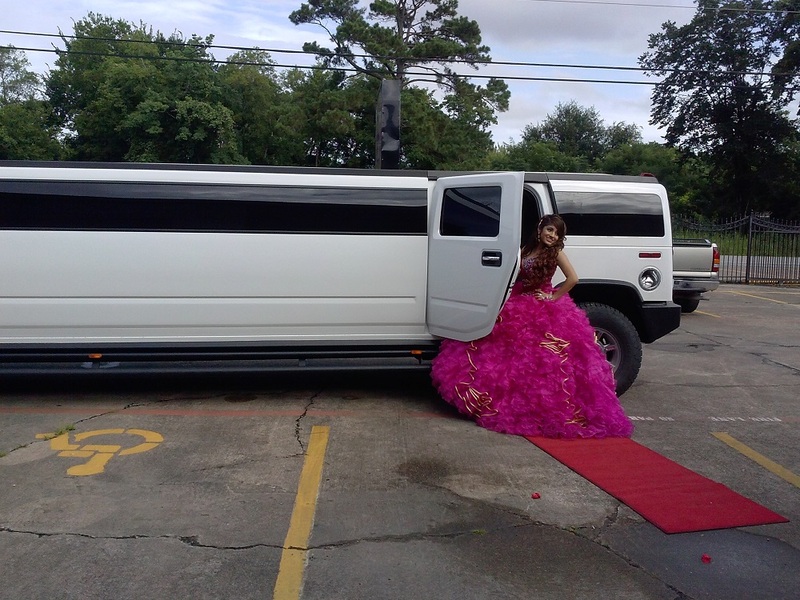 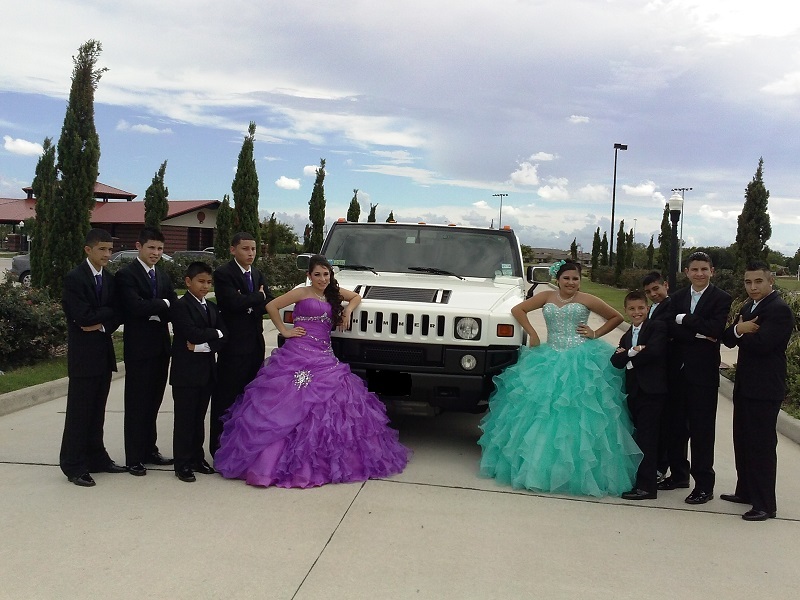 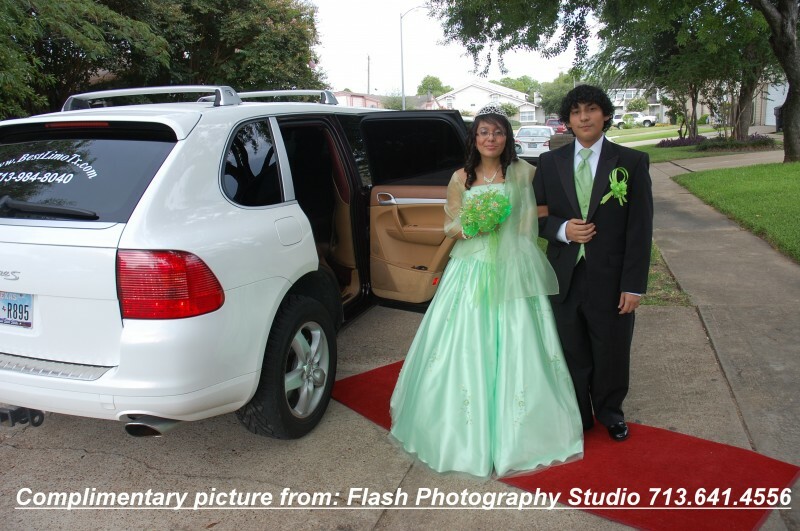 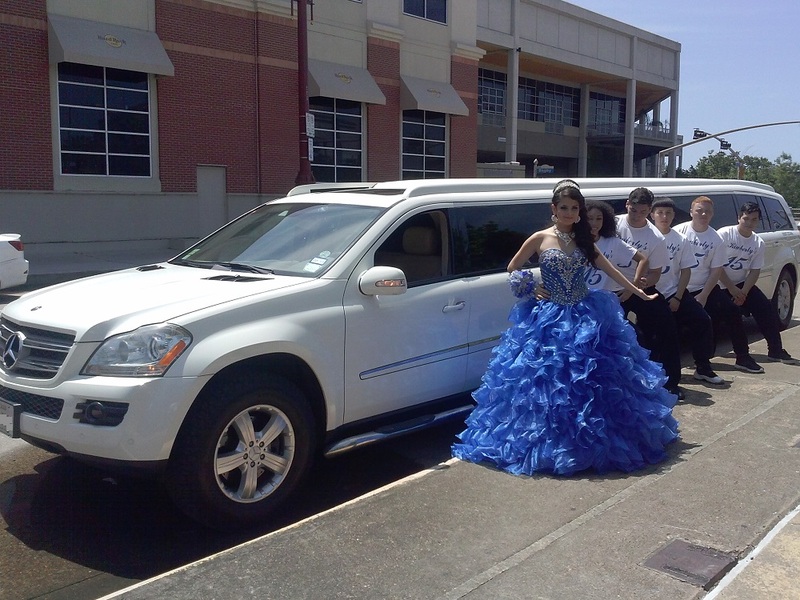 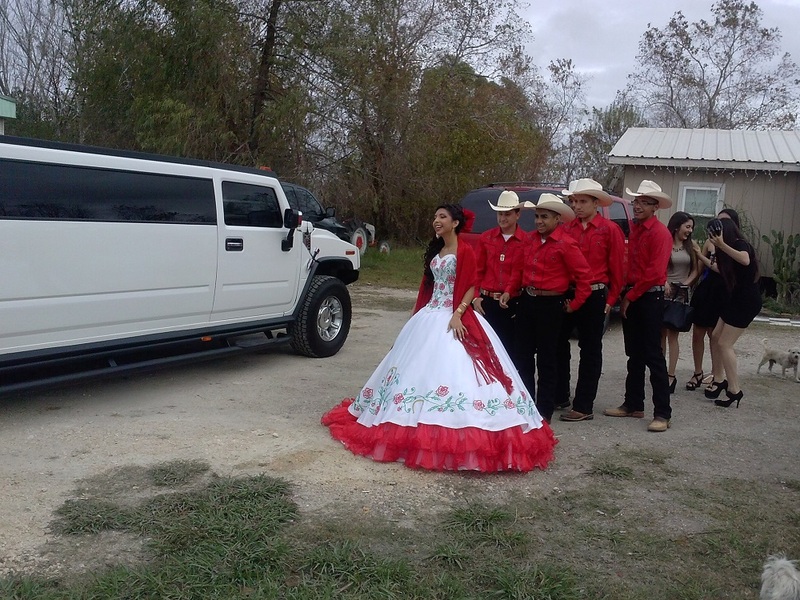 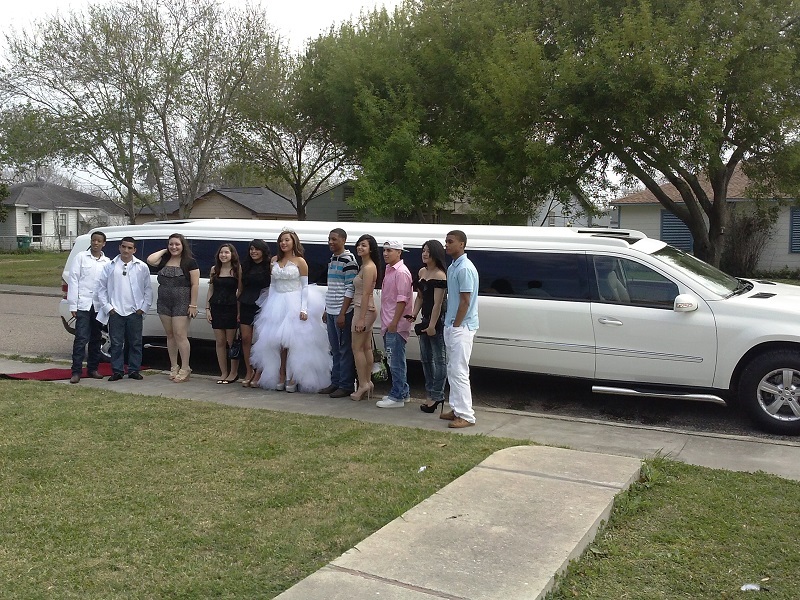 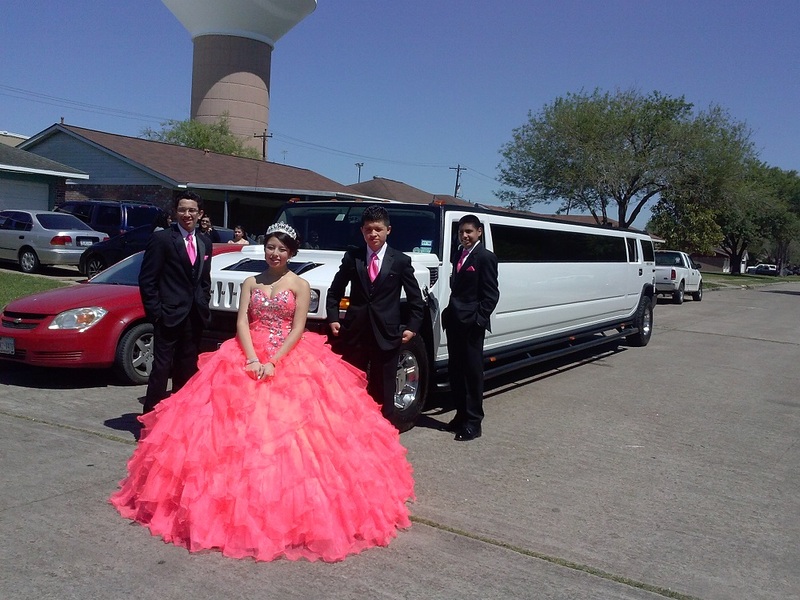 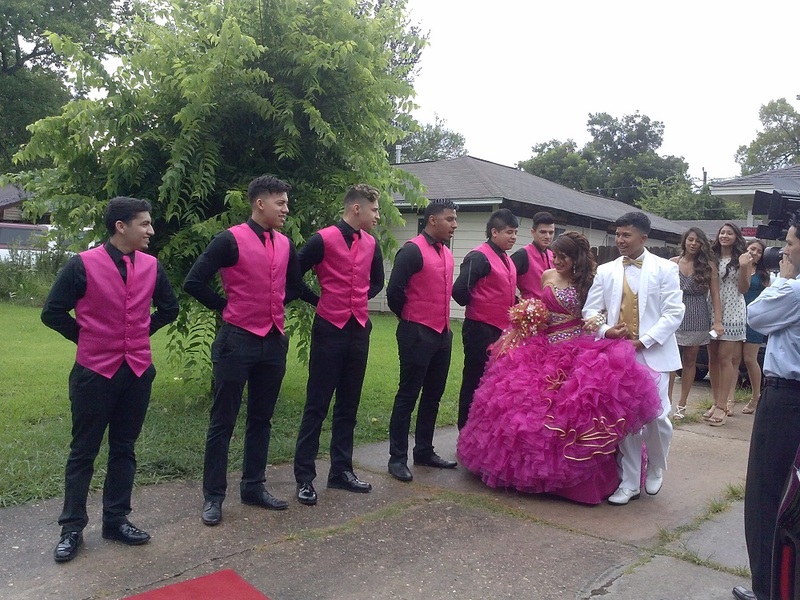 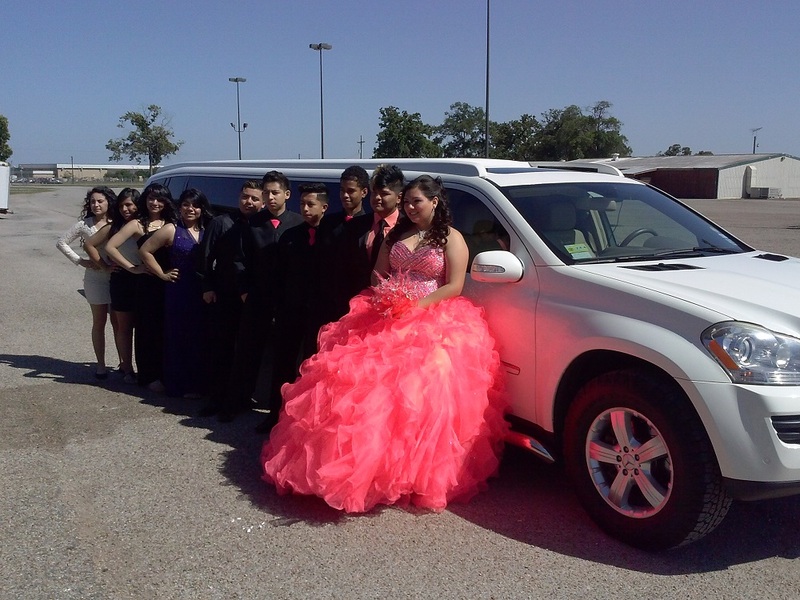 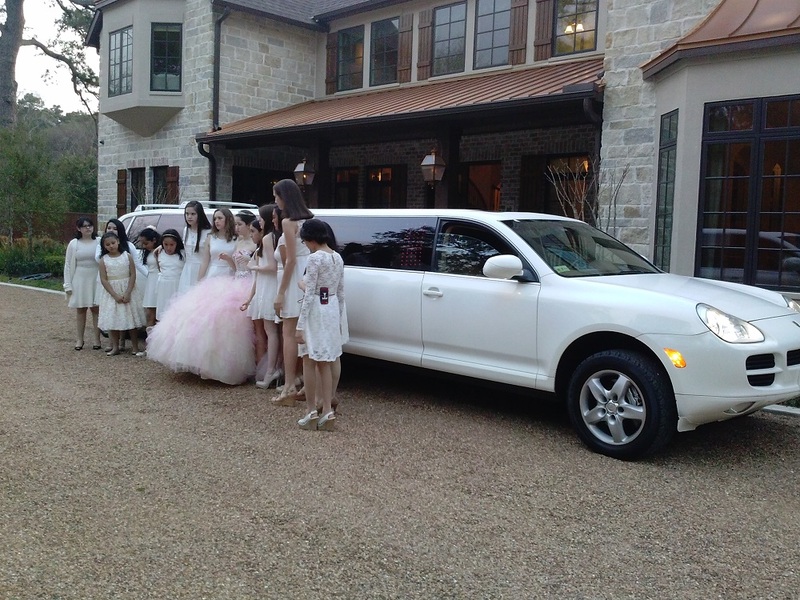 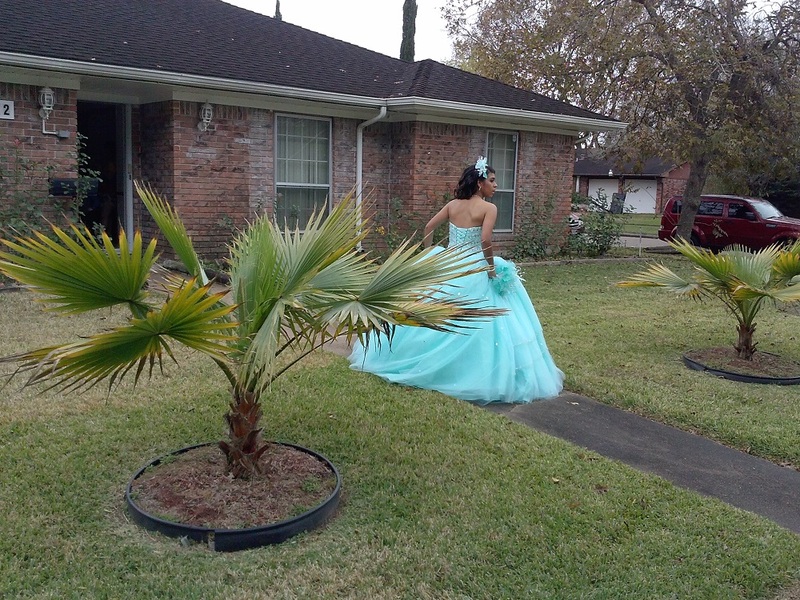 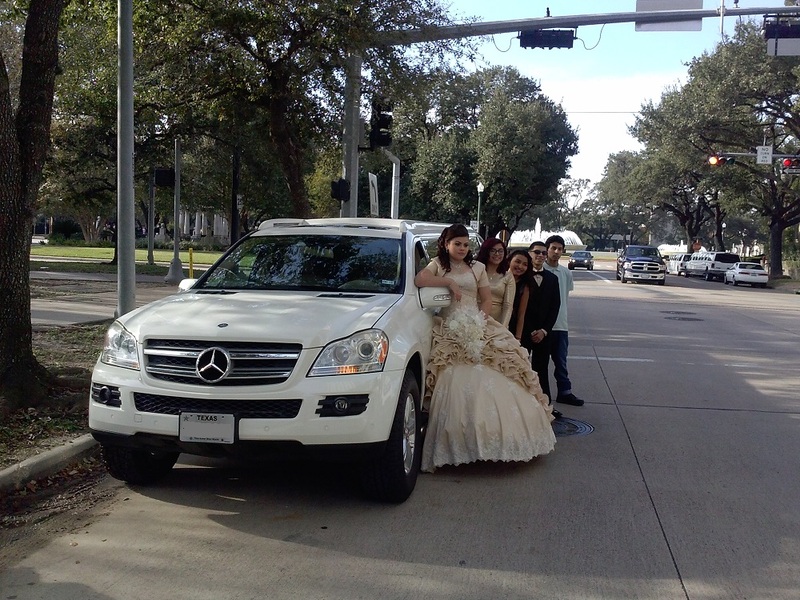 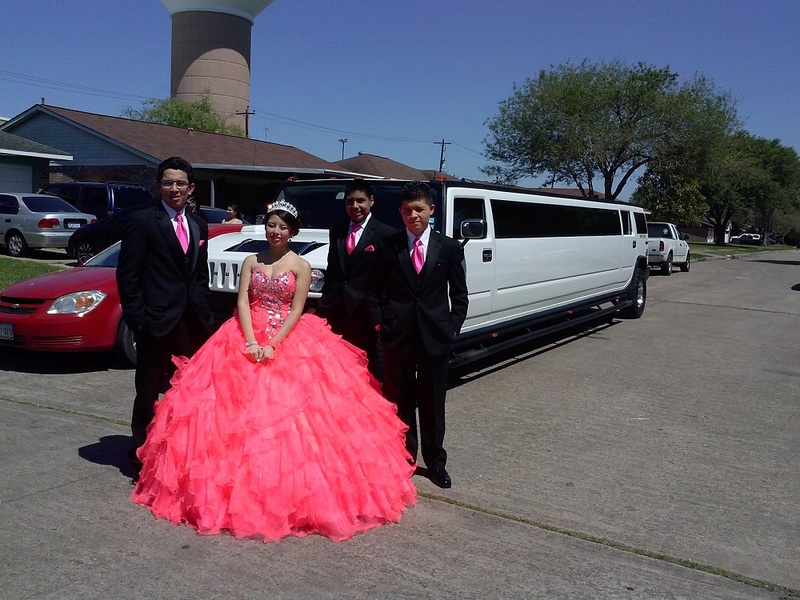 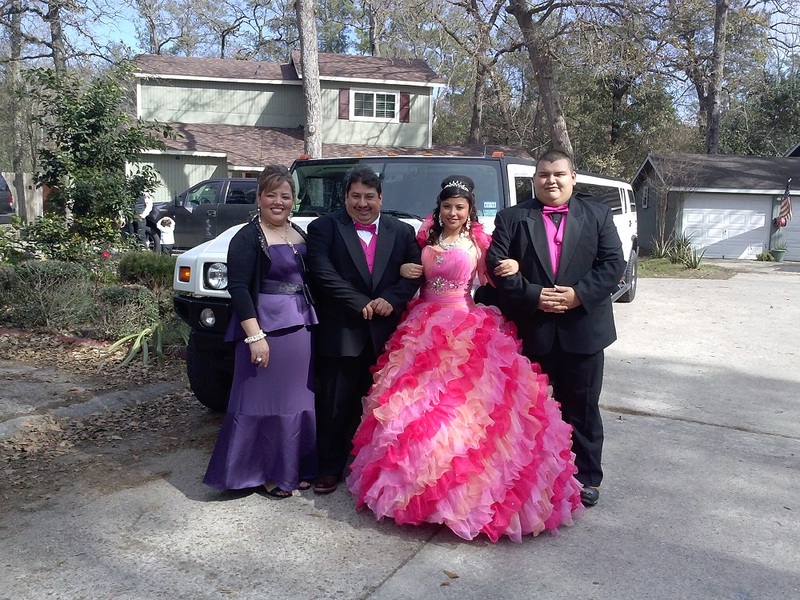 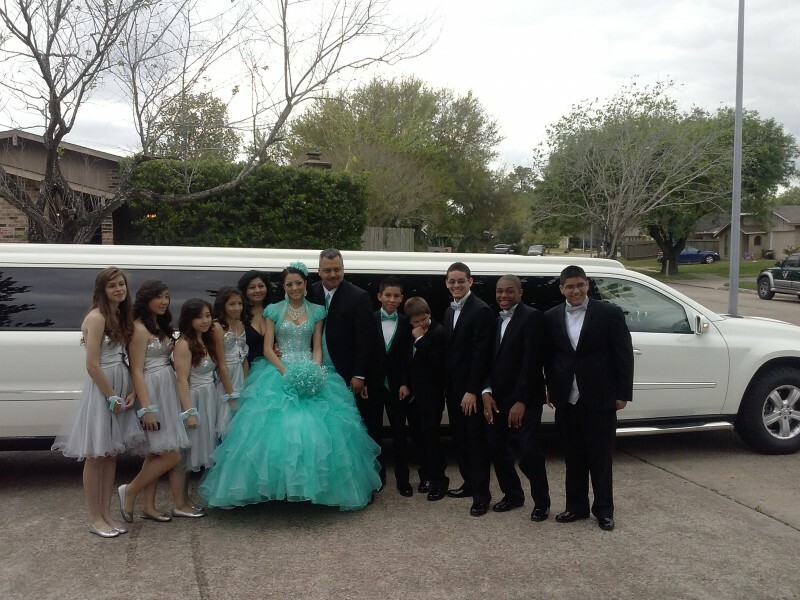 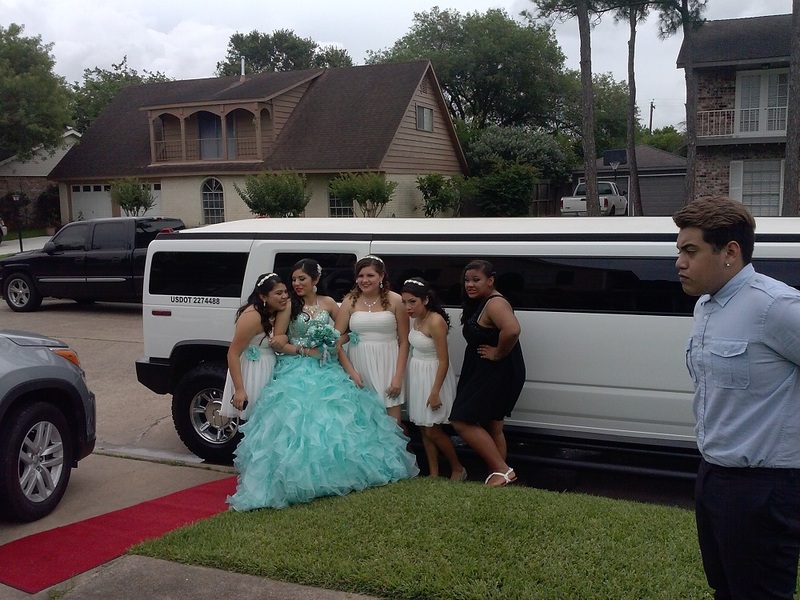 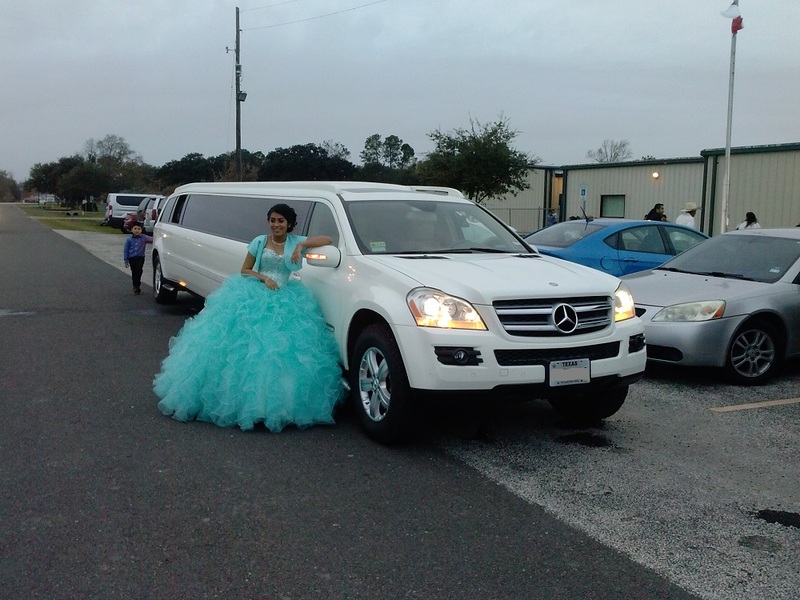 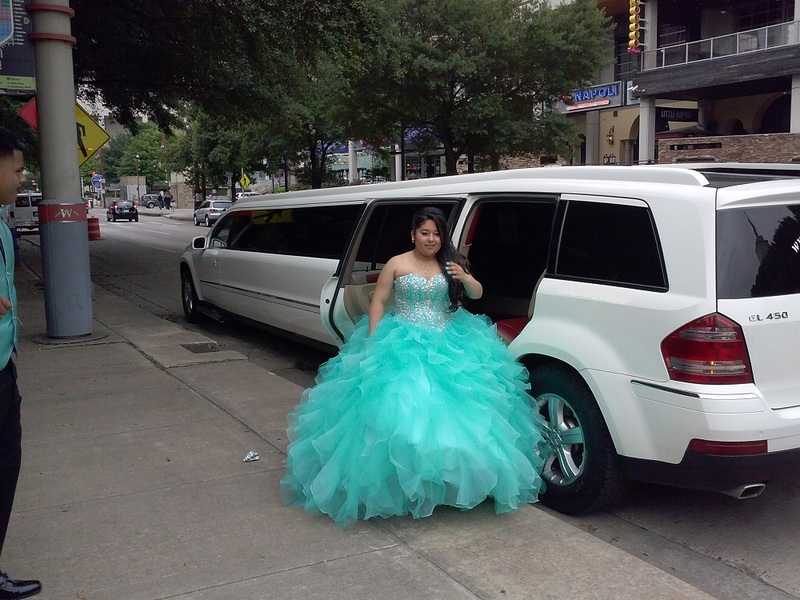 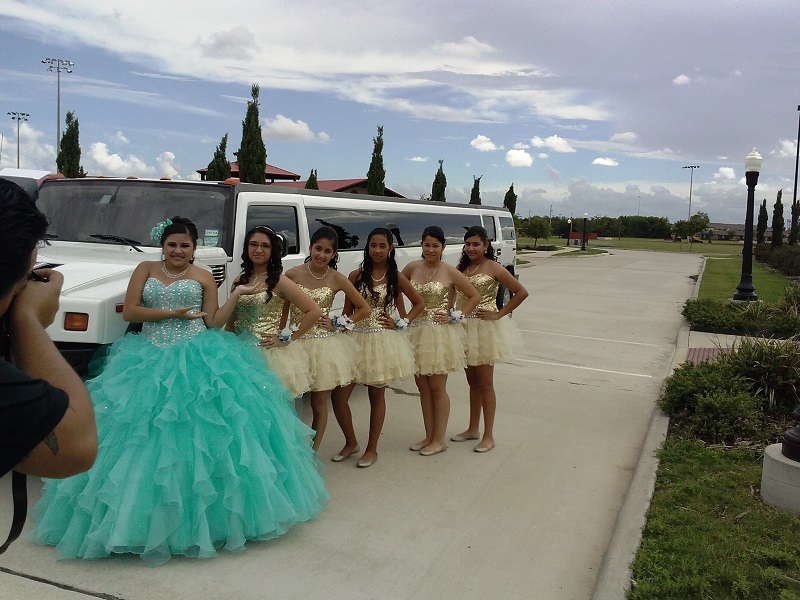 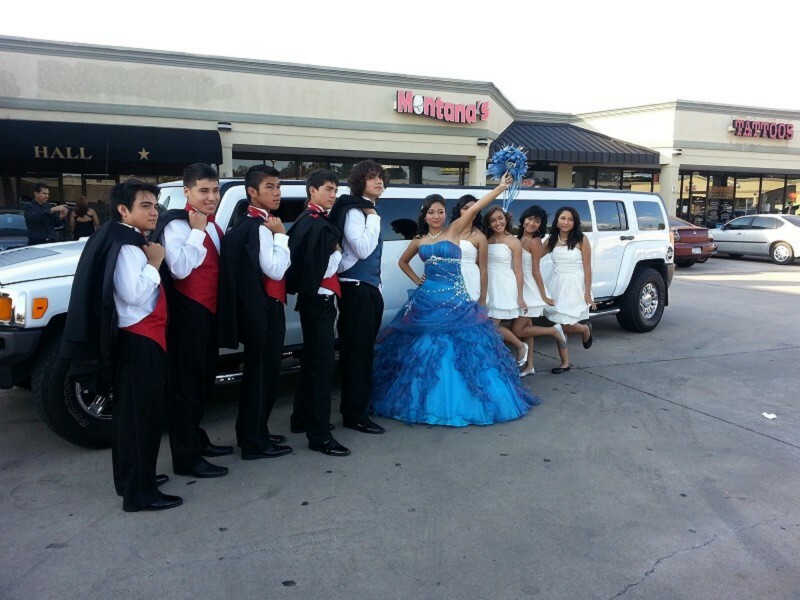 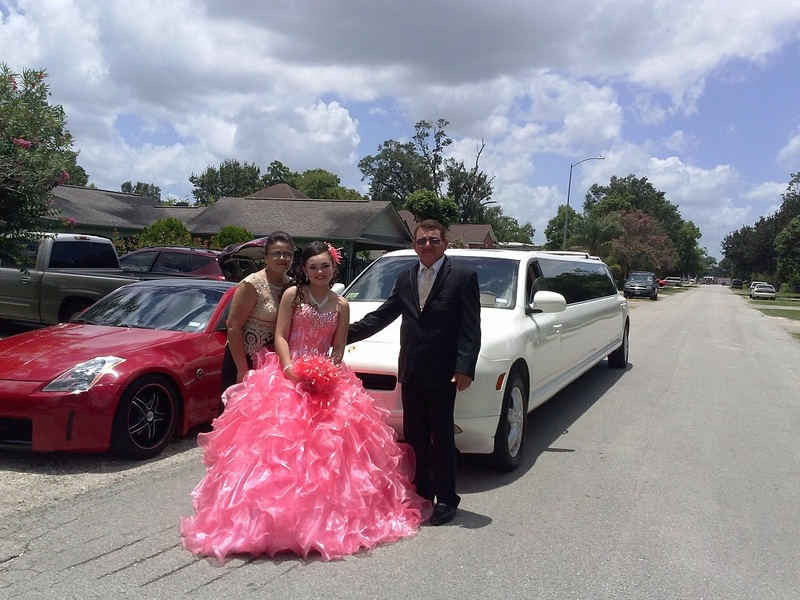 Call 281-459-0817 to make you Quinceanera limousine reservation and make your party most stylish in Houston. 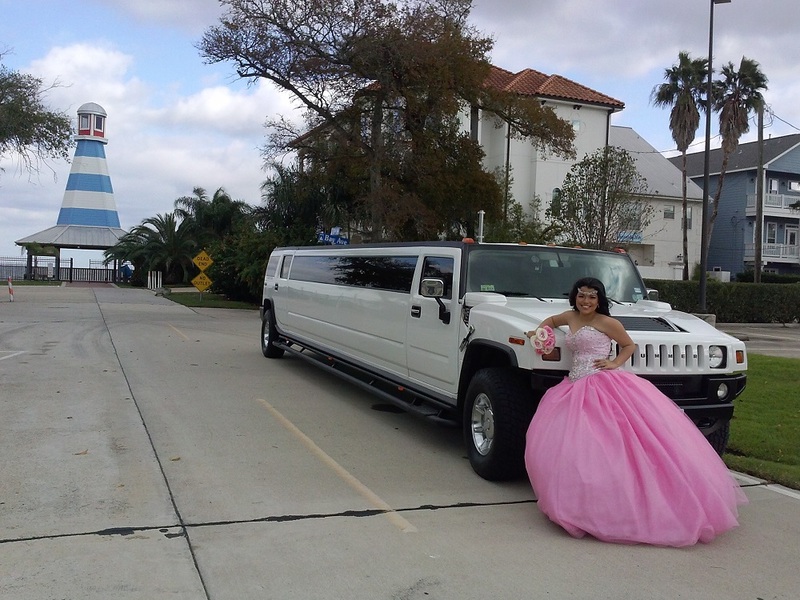 Imagine your photographer taking your picture along with your friends in front of Beautiful “Pink Dream” or “Pink Orchid” Limos. 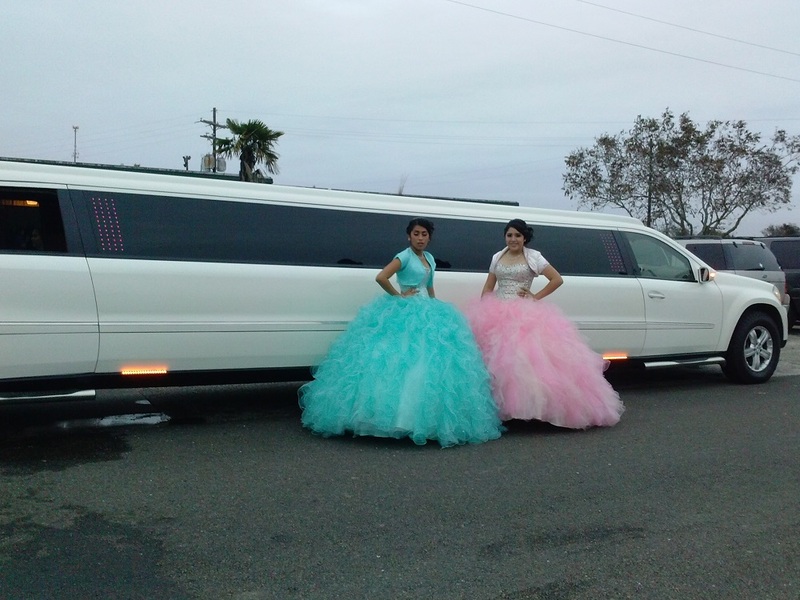 Better yet inside of all Quinceanera limousines you will see disco floors and bars full of free drinks. 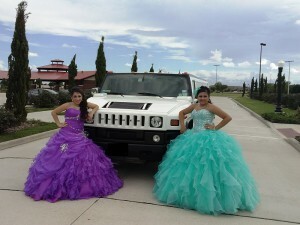 You got to have it all Gold, Pink, Burgundy, Blue, Purple or Orange the dip reach party colors!! 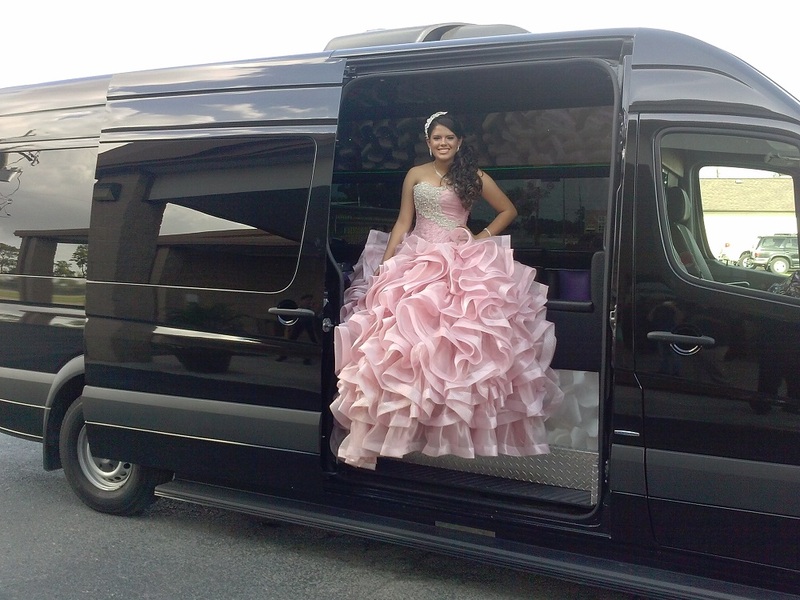 And with Quinceanera limo services you will have it all! 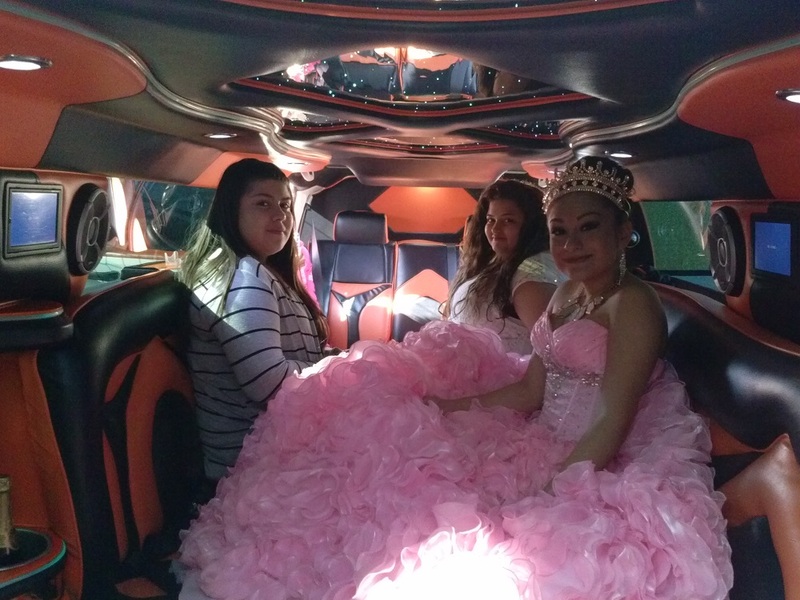 Quinceanera limousines have most colorful seats, ceilings and interiors. 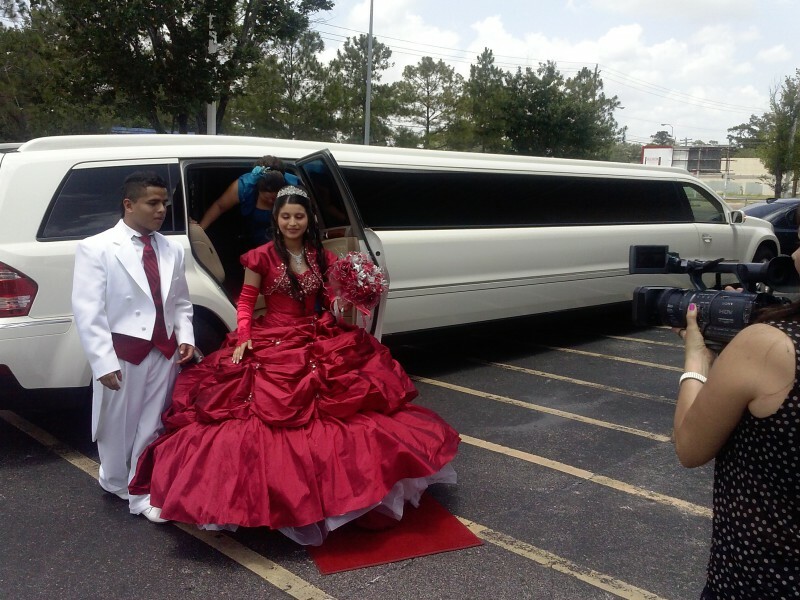 All what you have to make sure your photographer take pictures of you inside of your Quinceanera limousine !!! 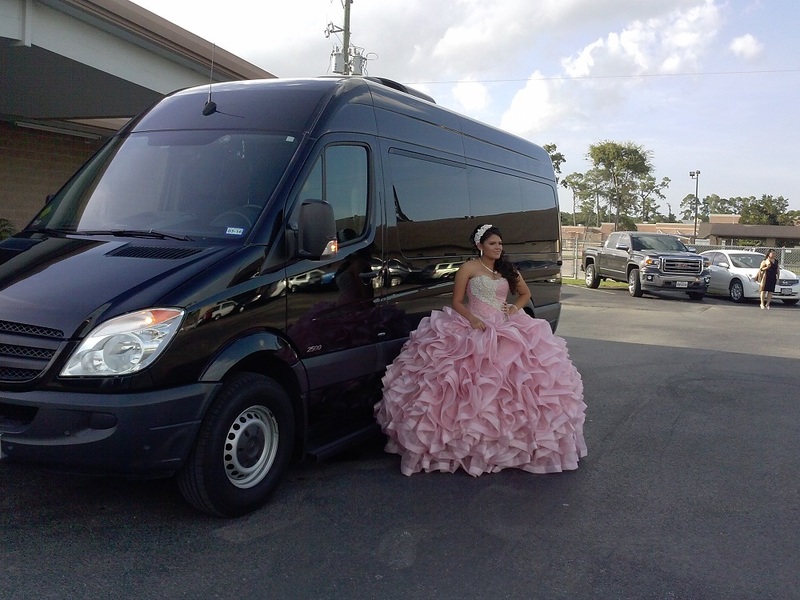 This will hold a long standing memory about your Quinceanera party and about your limousine. 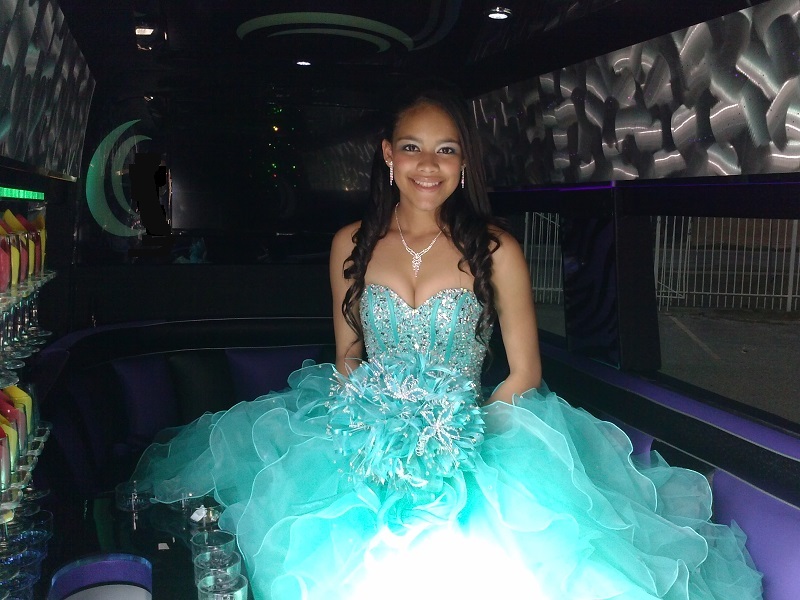 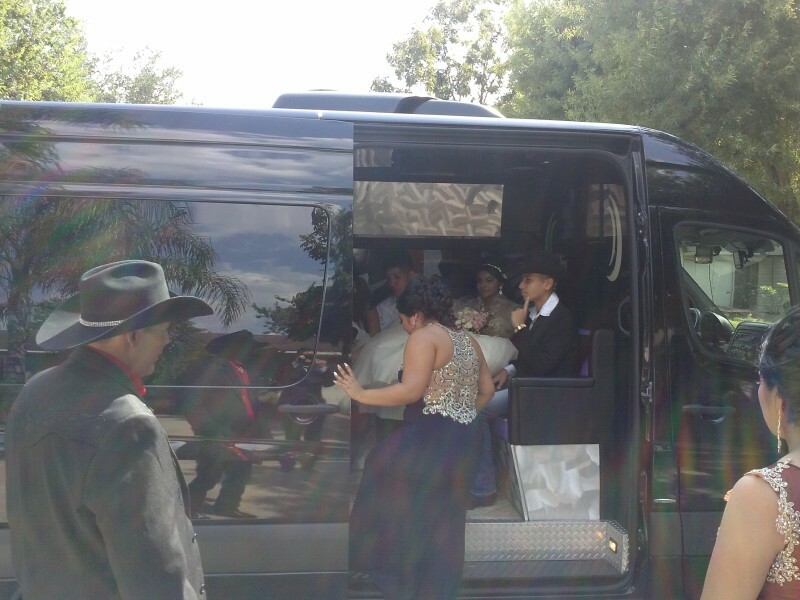 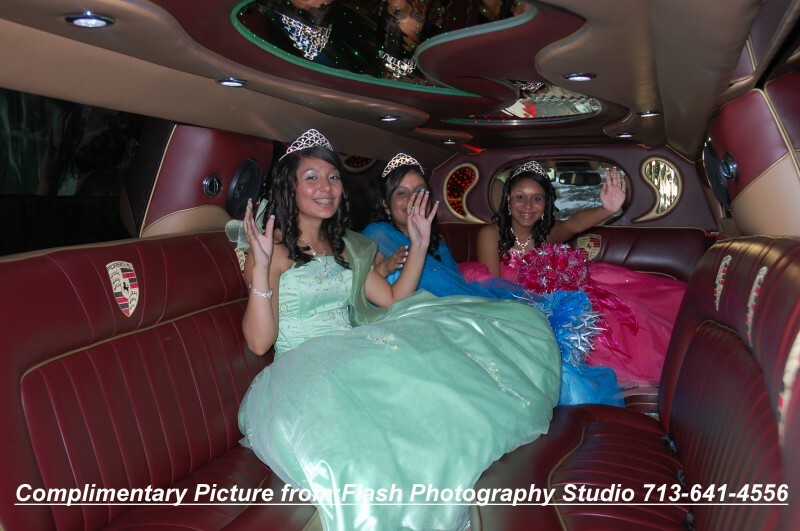 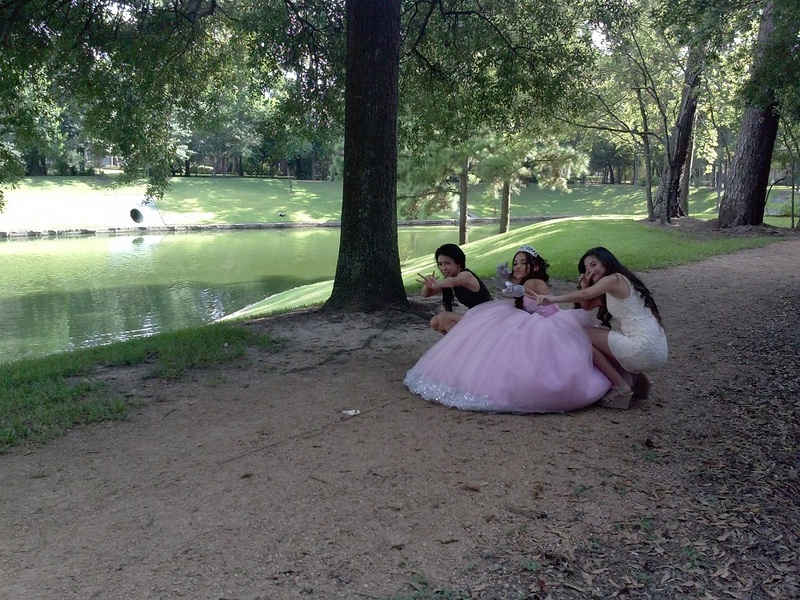 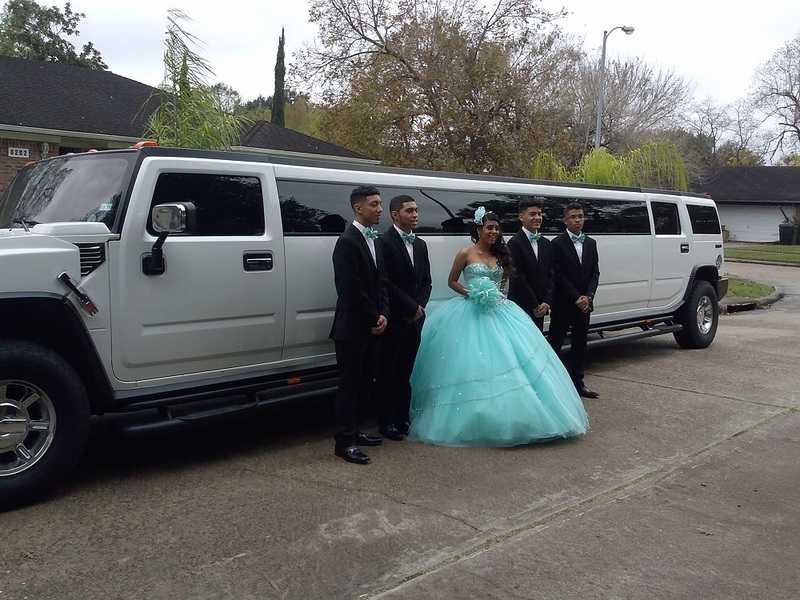 Yes your pictures will be with you for a life time and each time you turn the page you will see, how much fun all of you have during Quinceanera limo ride in plash and flashy Quinceanera limousines. 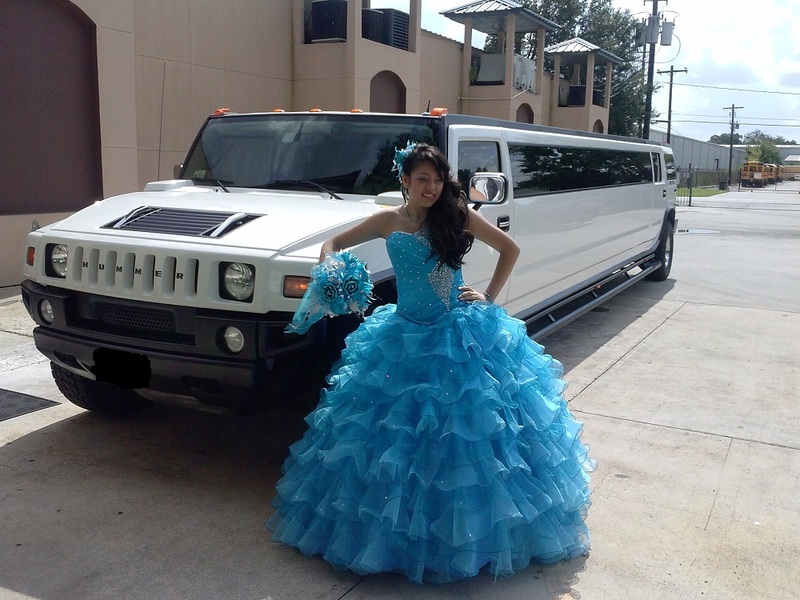 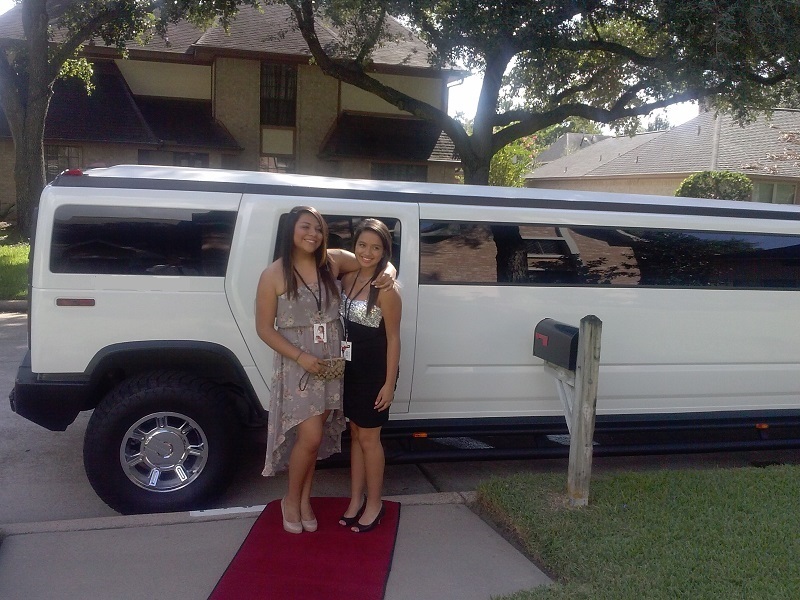 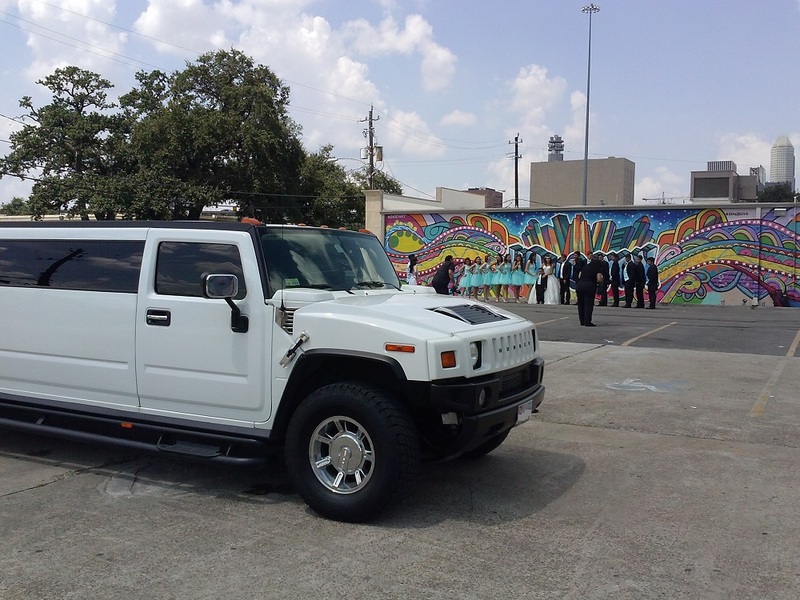 The Houston limos from www.bestlimotx.com is Specifically design to reflect Colorful and Bright atmosphere of your Quinceanera party. 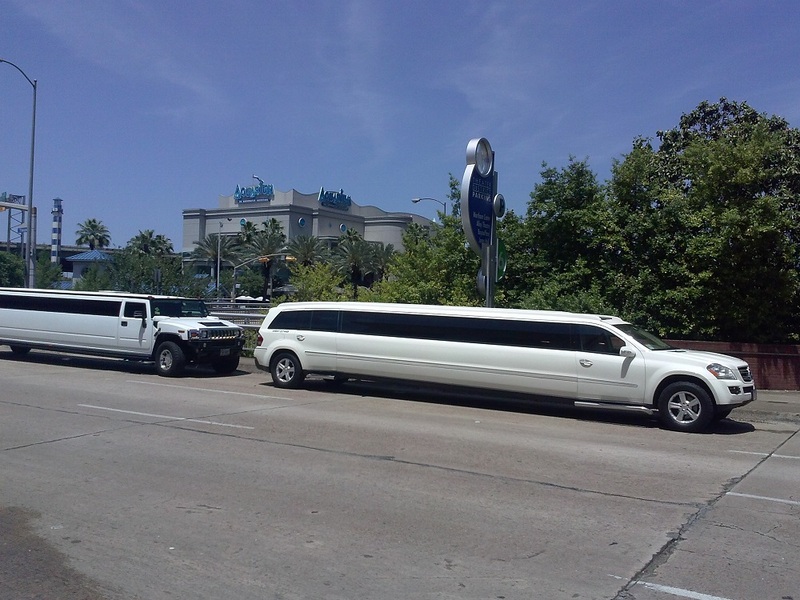 Think that At compatible price you can have the best possible limousines. 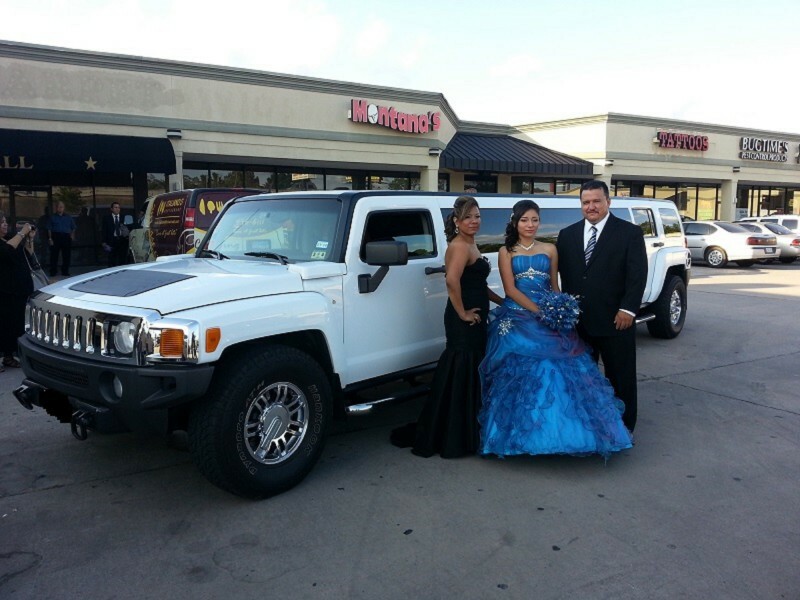 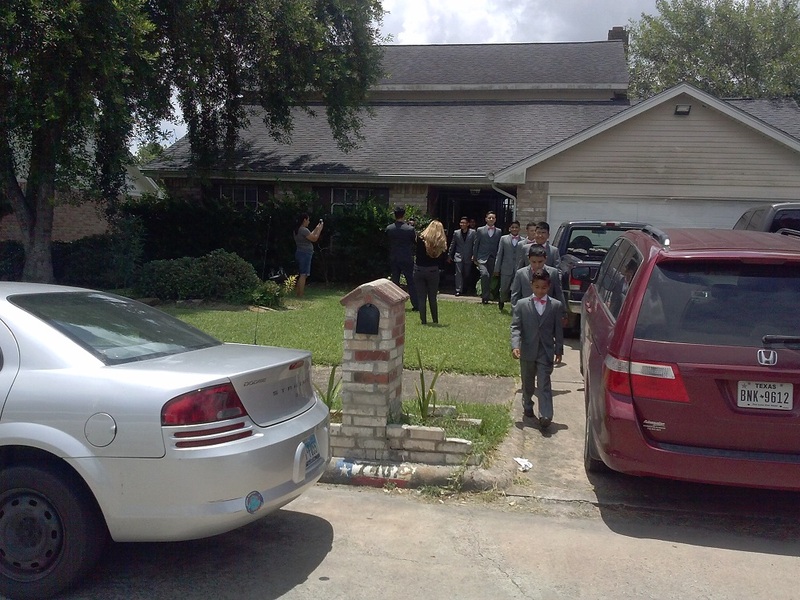 Call us at 281-459-0817 and get Rent limousine of your choice for as little as 3 or 4 hours. 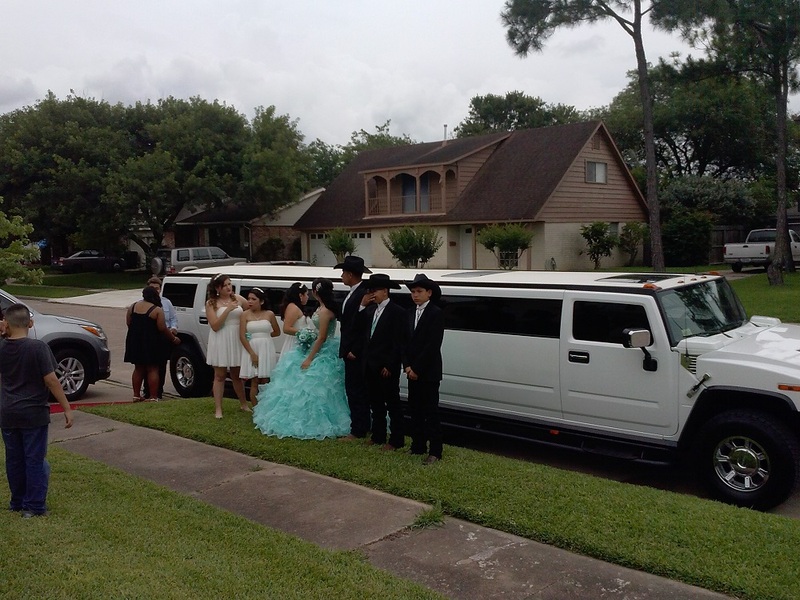 We provide limo service in Houston, Katy, Cypress TX, Humble TX, The Woodlands, Tomball TX, Springs TX, Conroe TX, Sugar Land TX, Pearland Tx, Friendswood tx, Pasadena TX, La Porte TX, Baytown TX, Bay City TX, Angelton TX, Dickinson TX, Manvel, TX, Alvin TX, Highlands TX, Chennelview TX, West Columbia TX, Columbus TX, Bellville TX, Lake Jackson TX, Galveston, Missouri City TX, Seabrook TX, Your friends will be speechless and you will be happy to see yourself inside of the Houston Quinceanera best limousines,that you have selected for your Houston Quinceanera party. 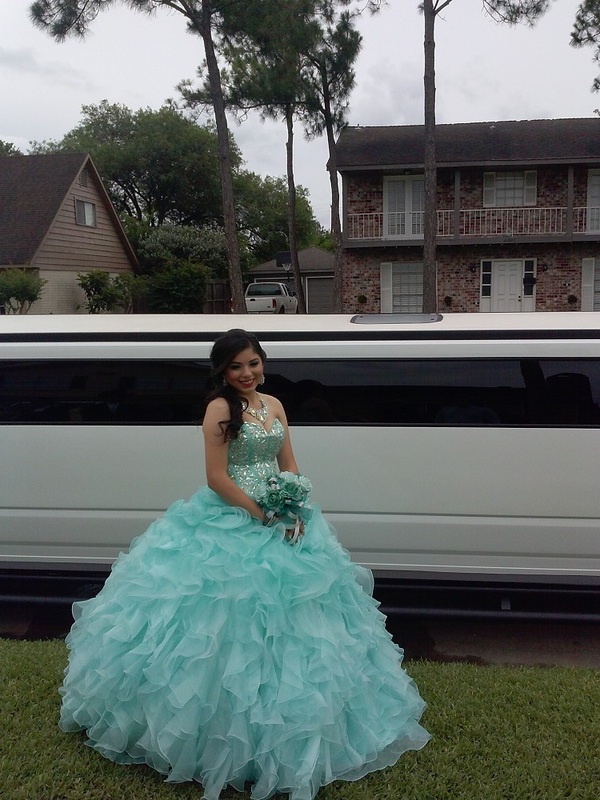 My sister grow up so fast. 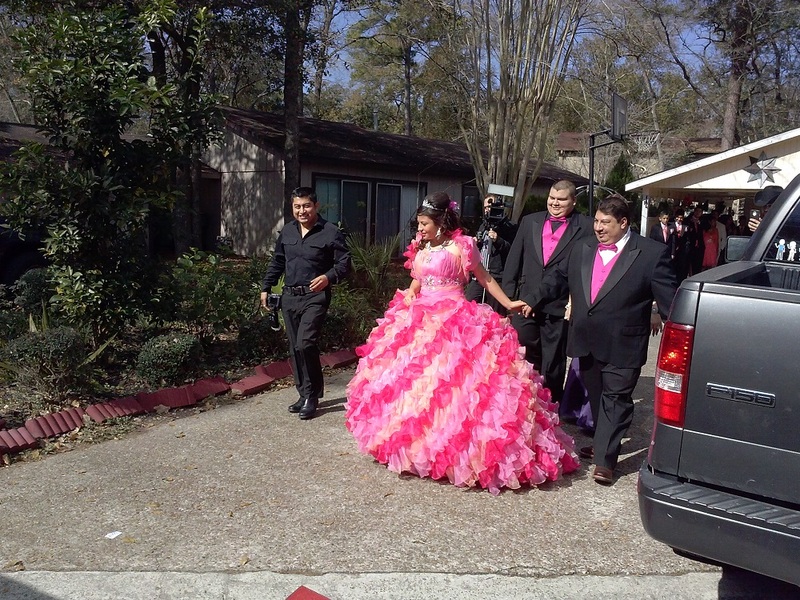 Now is her Quinceanera. 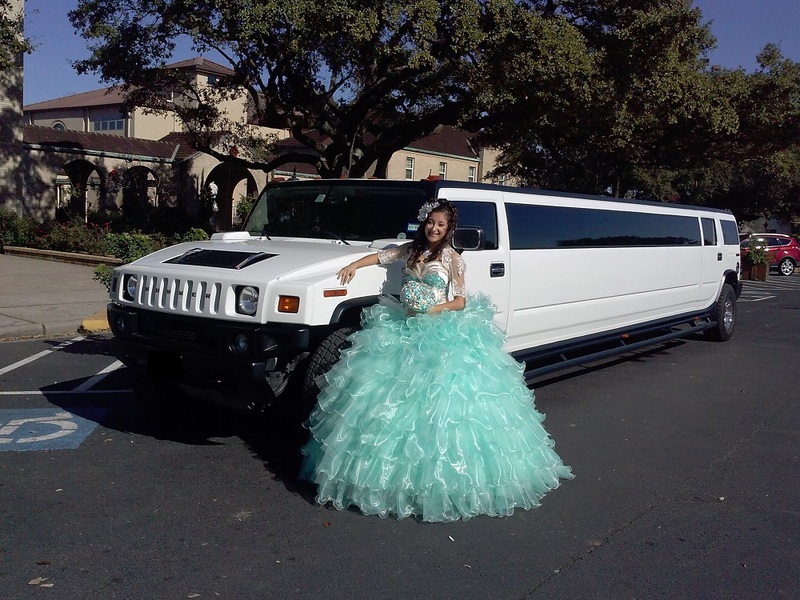 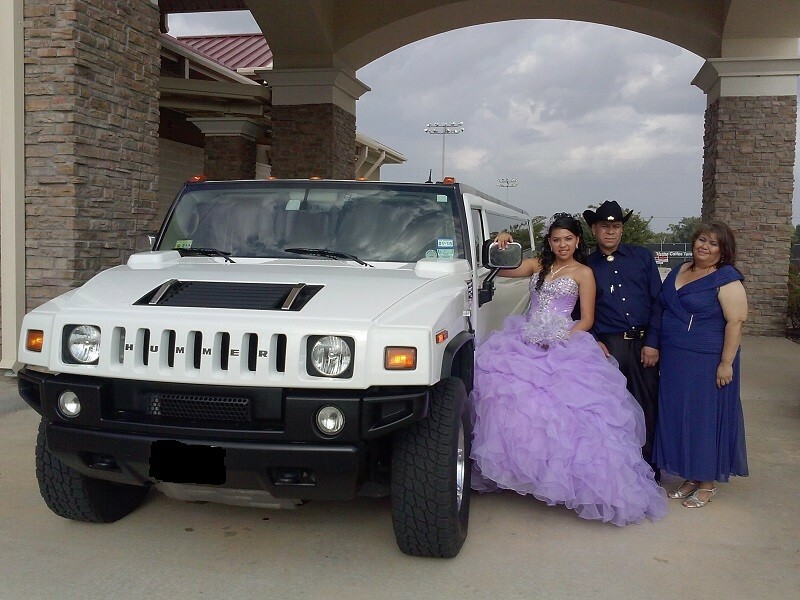 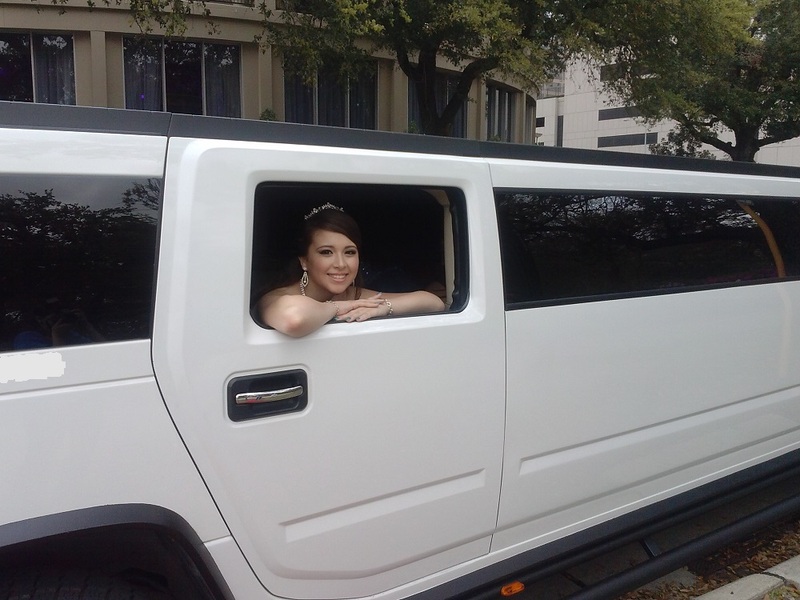 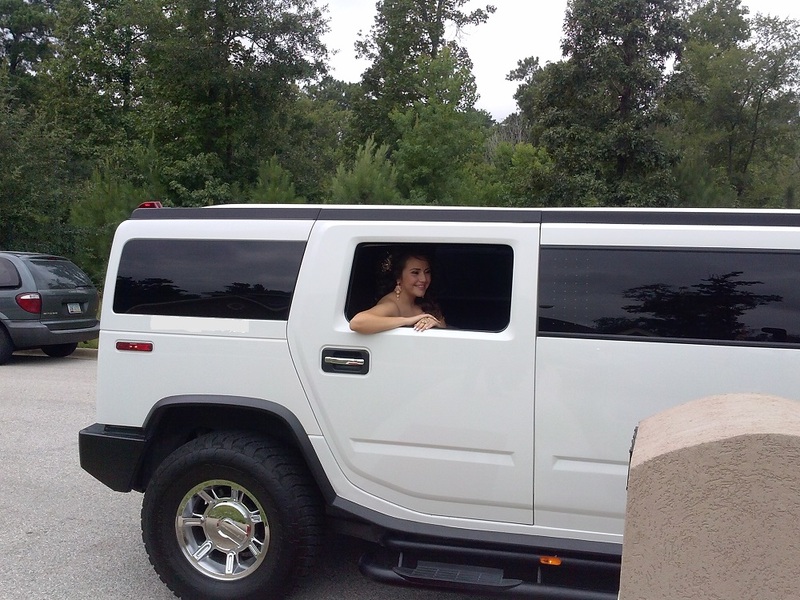 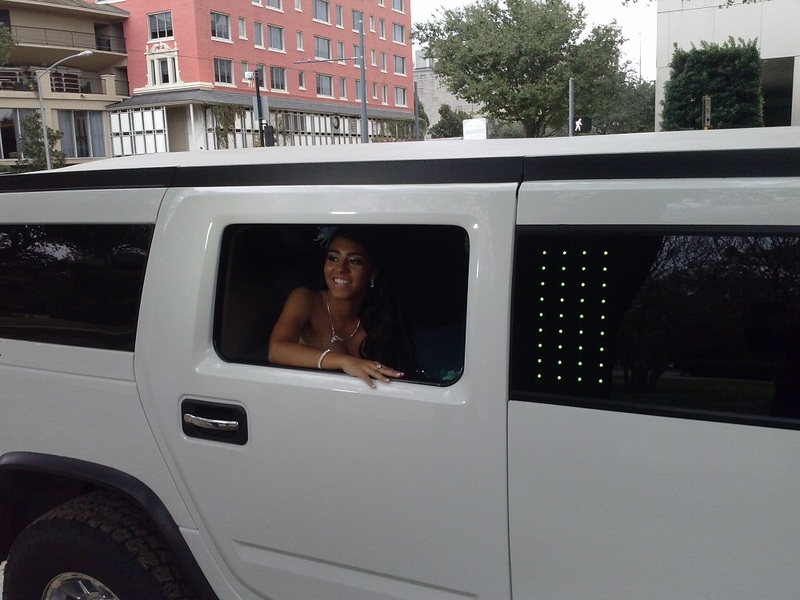 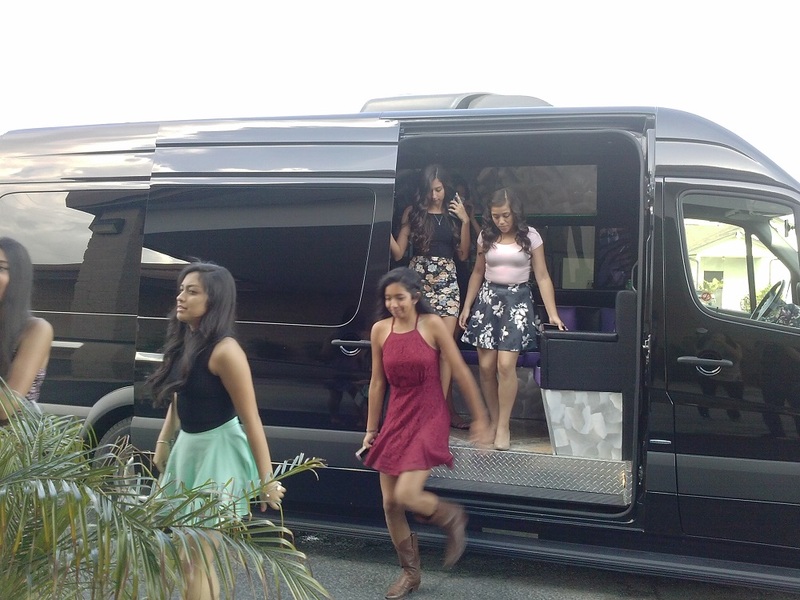 I’m celebrating my Quinceanera and had arrive to my reception in a Hummer H2 limousine. 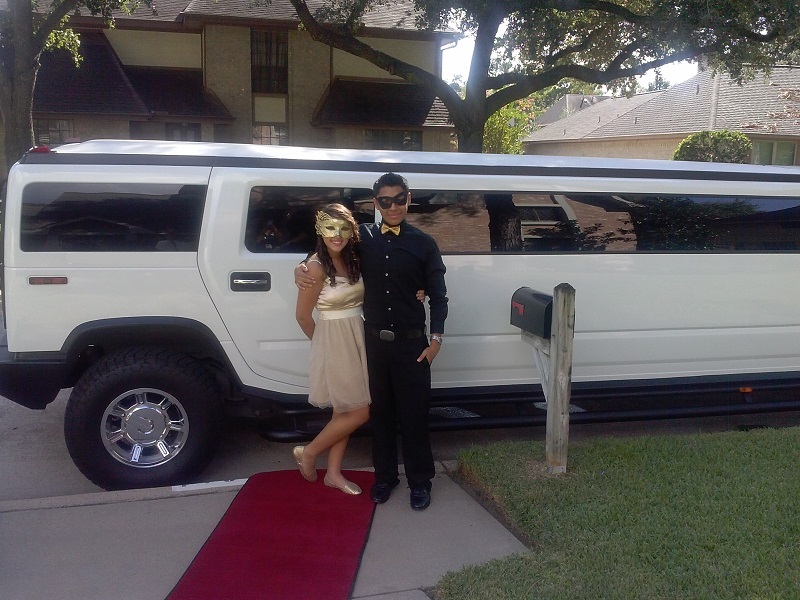 We love to take pictures in front of the Hammer limo. 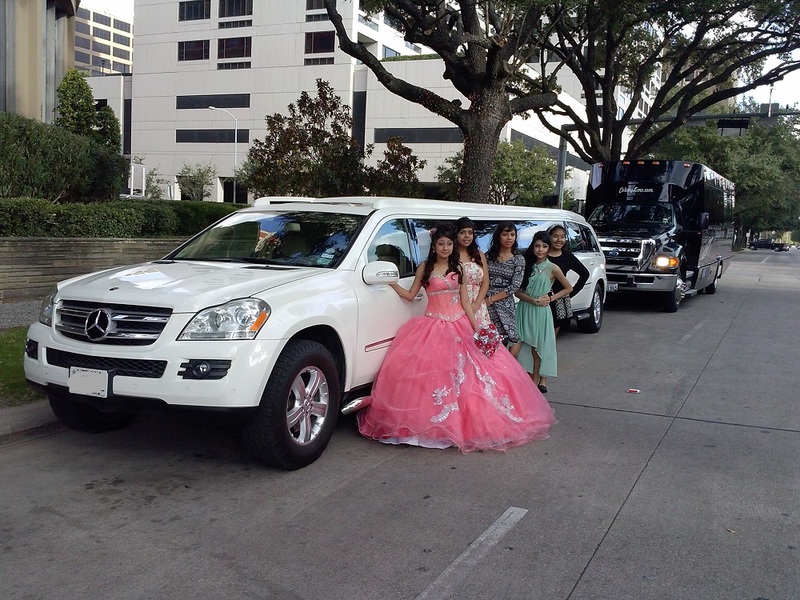 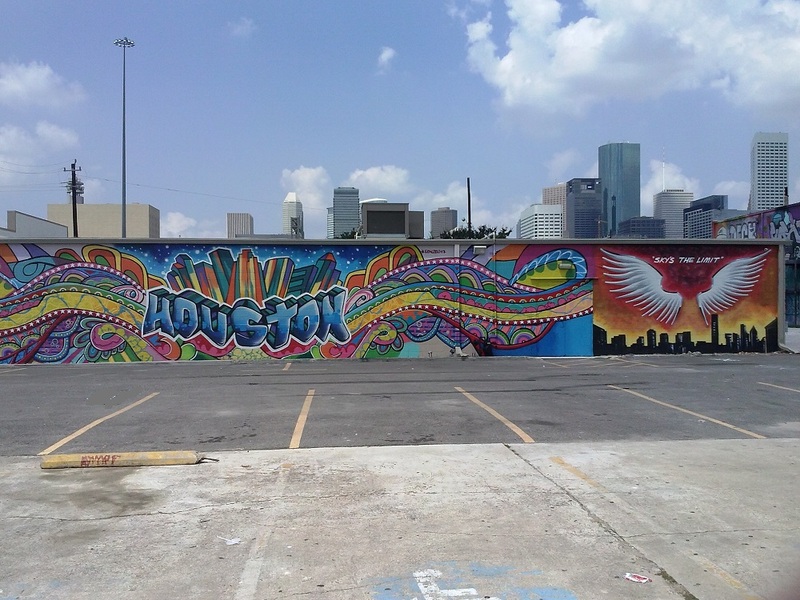 My Mercedes Limo take me to Houston down town.